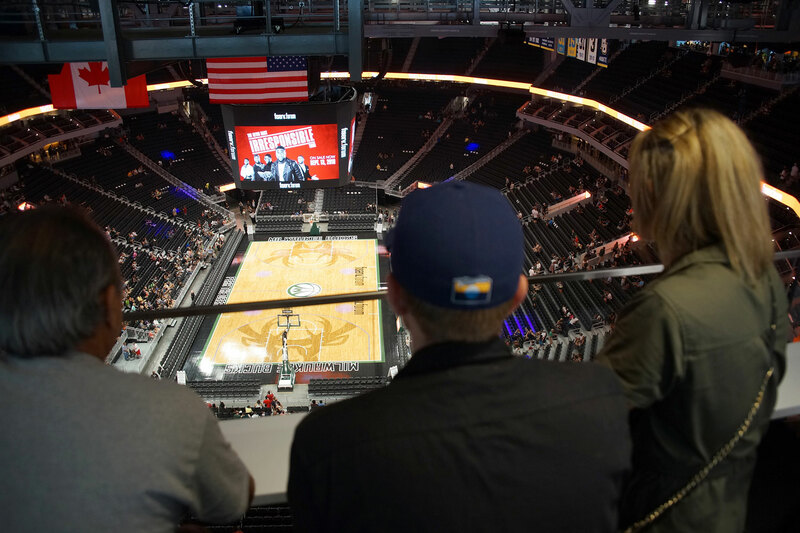 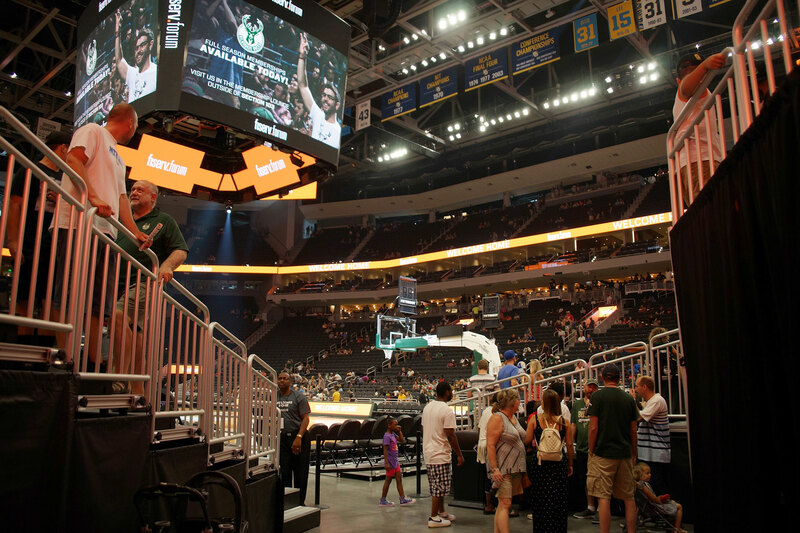 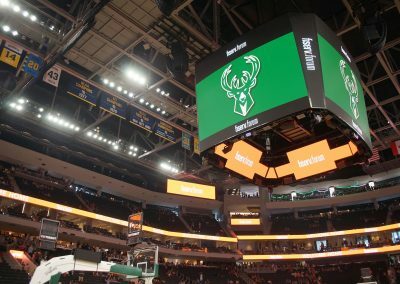 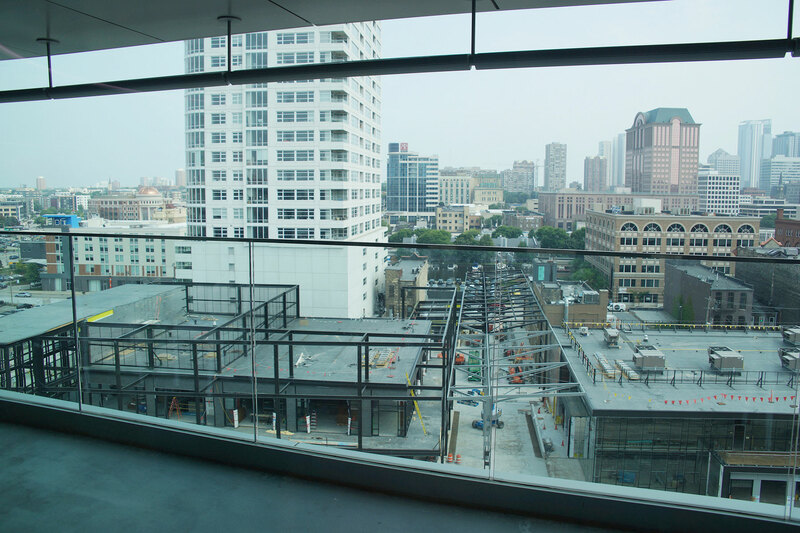 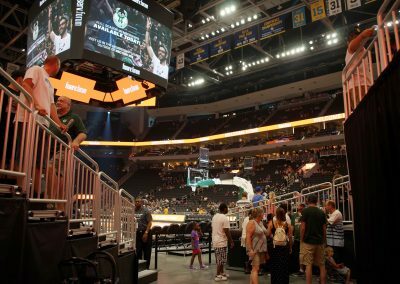 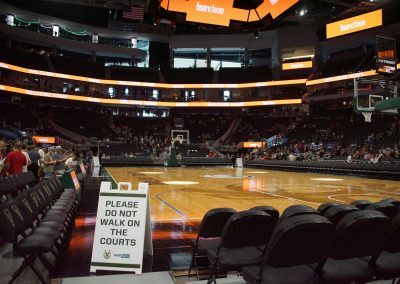 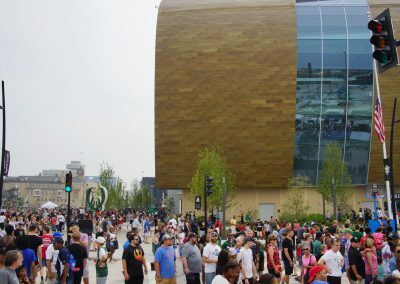 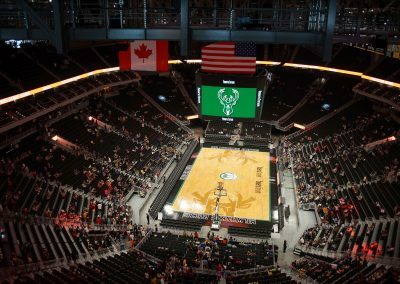 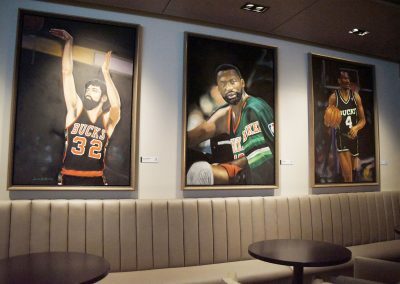 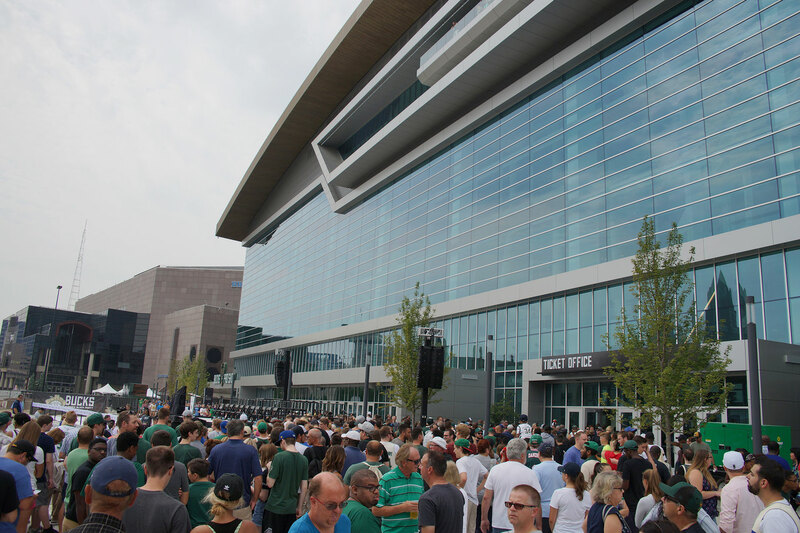 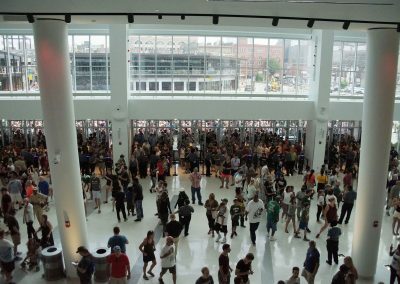 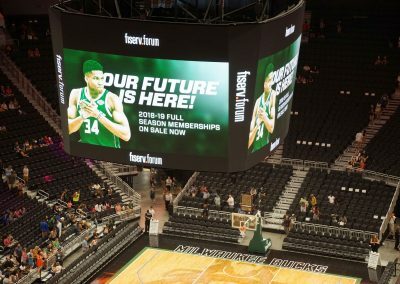 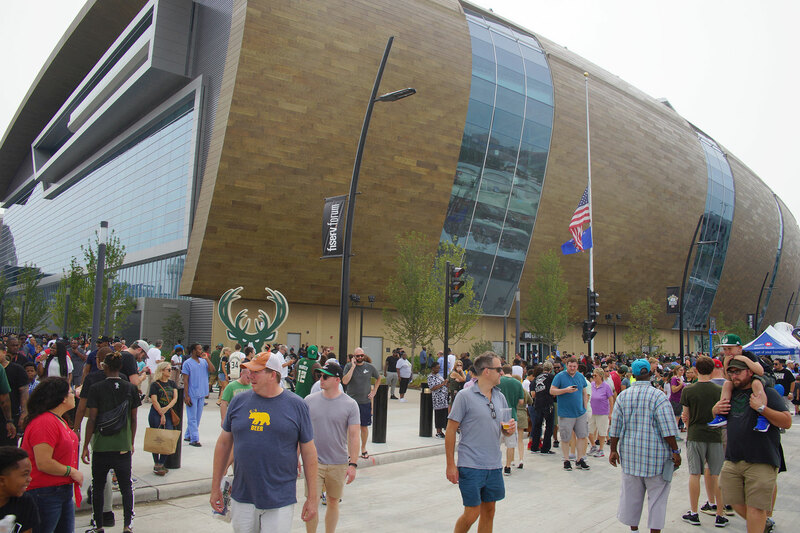 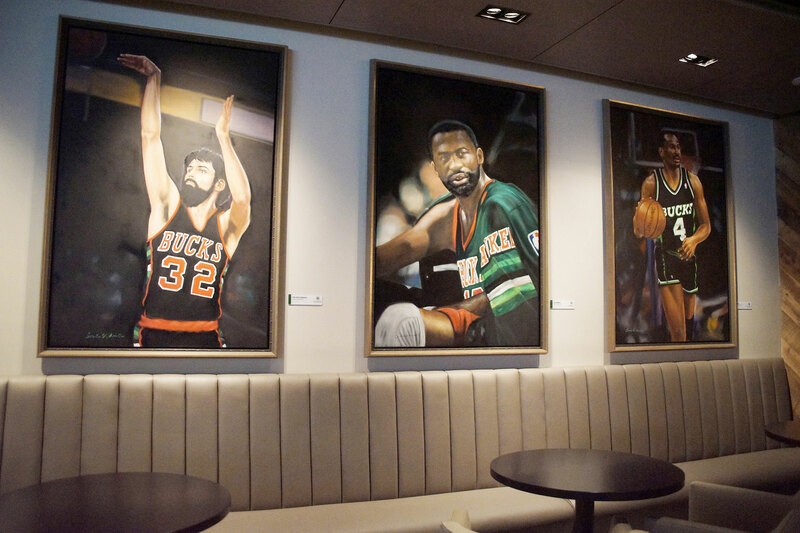 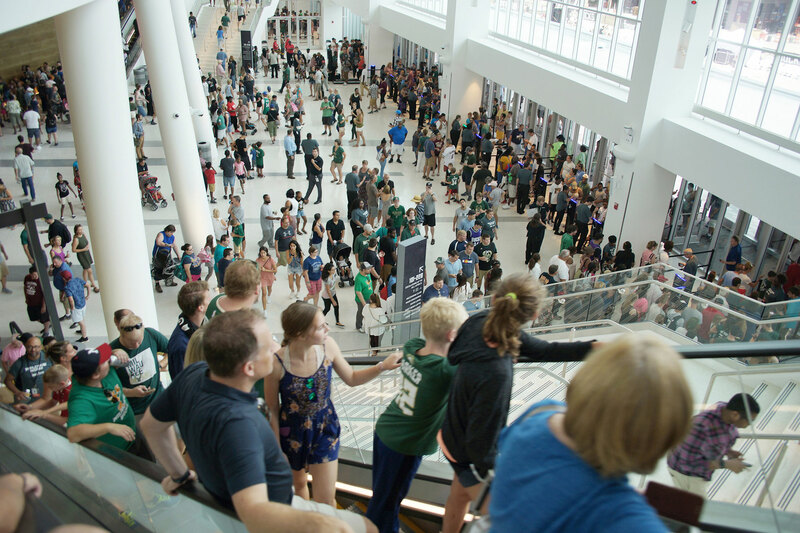 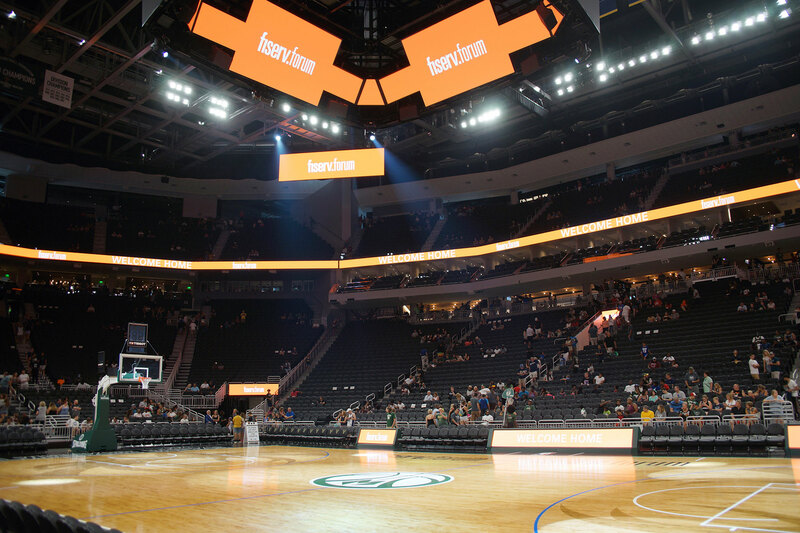 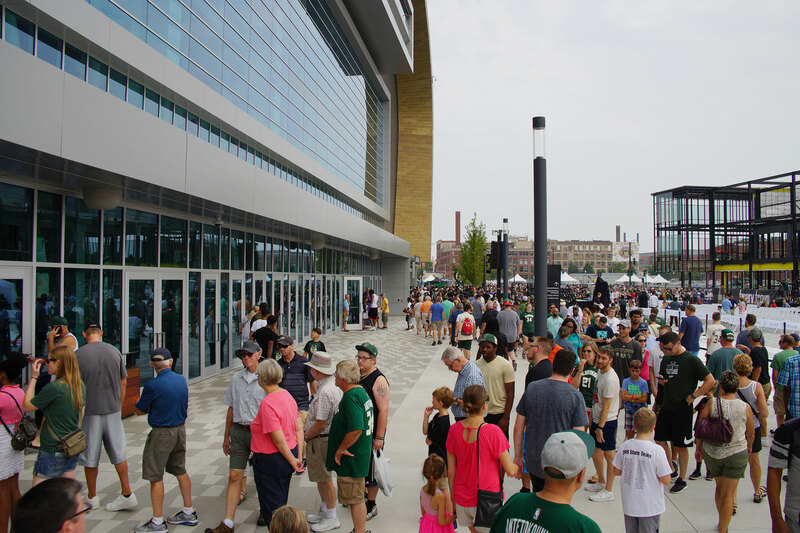 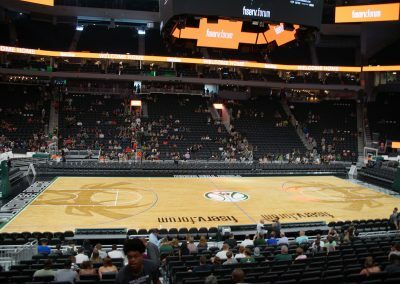 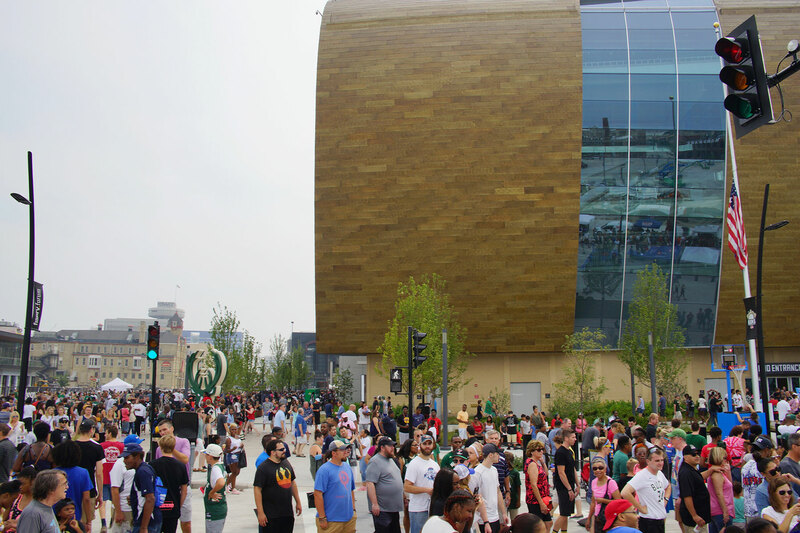 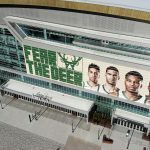 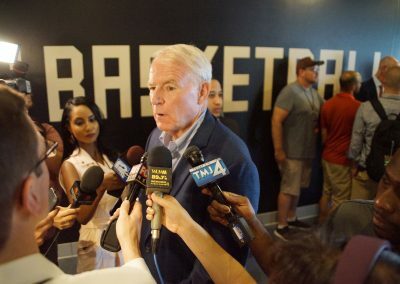 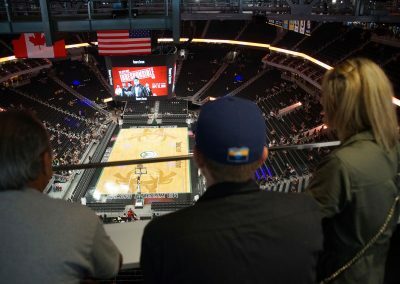 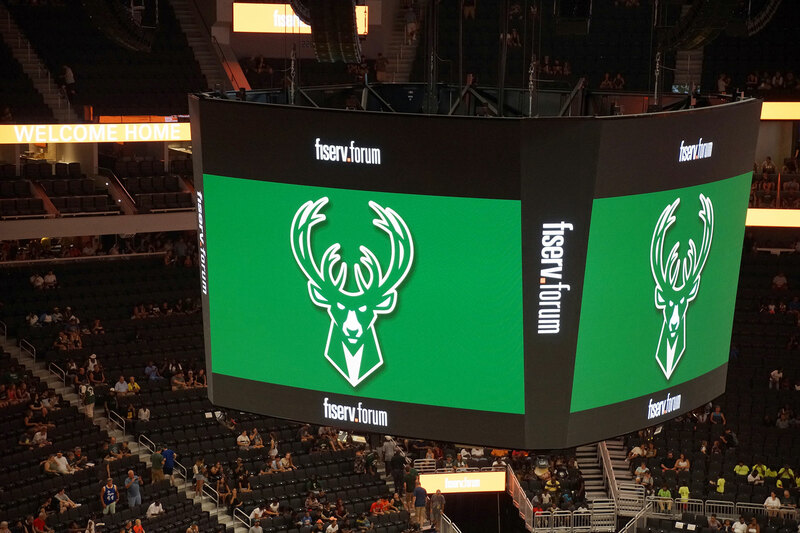 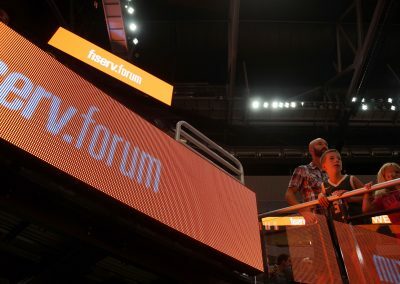 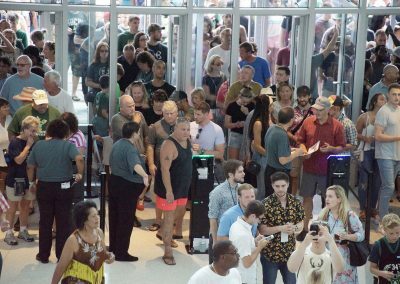 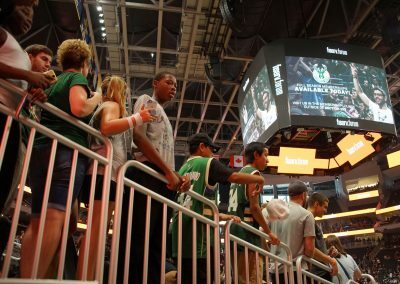 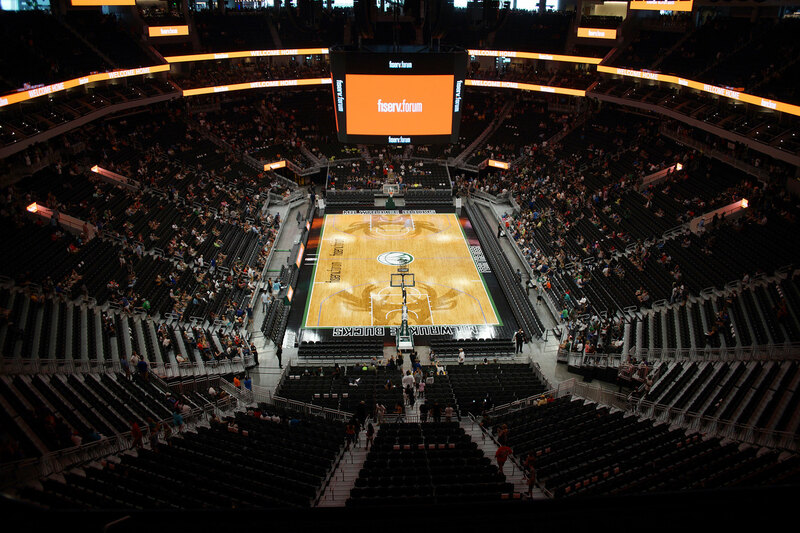 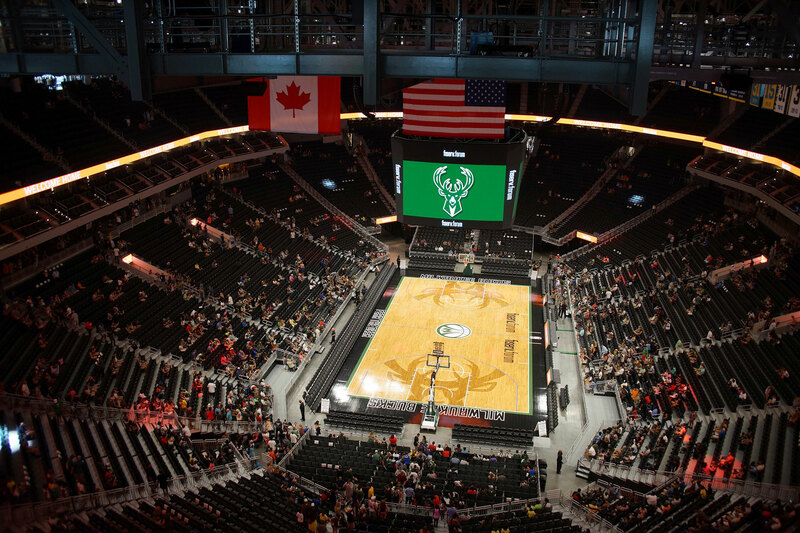 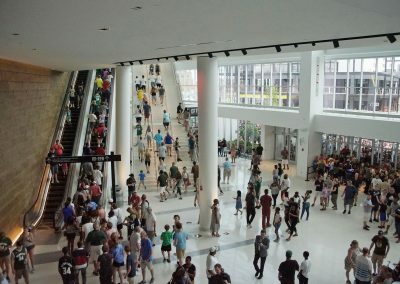 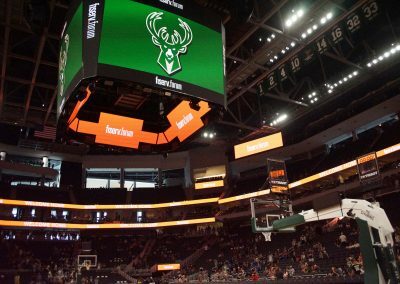 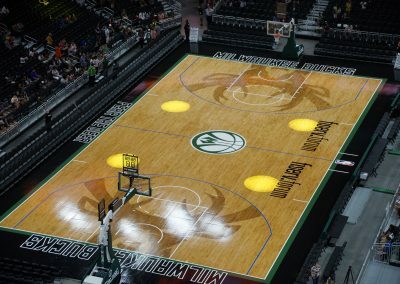 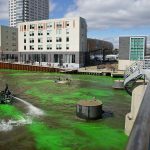 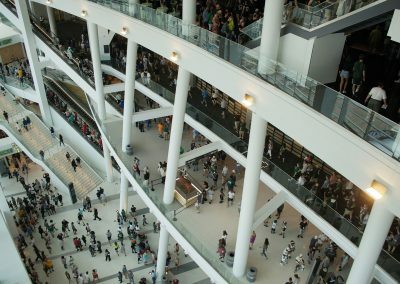 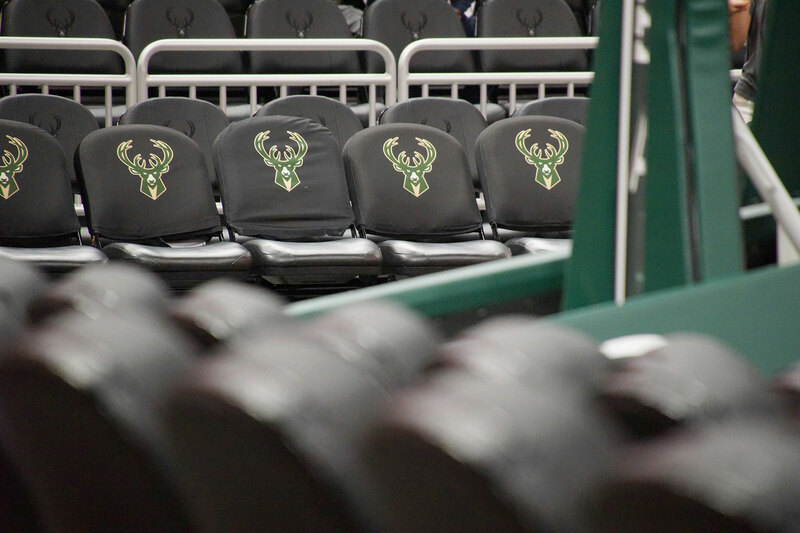 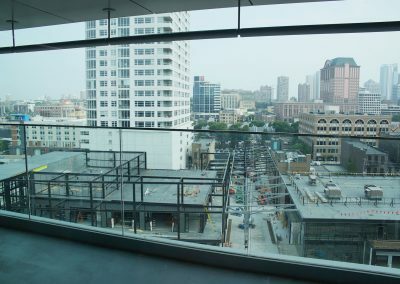 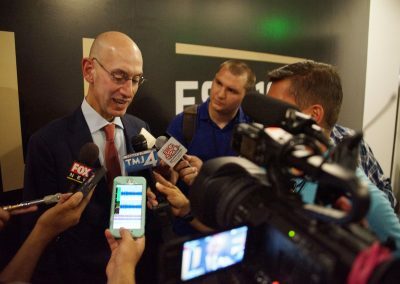 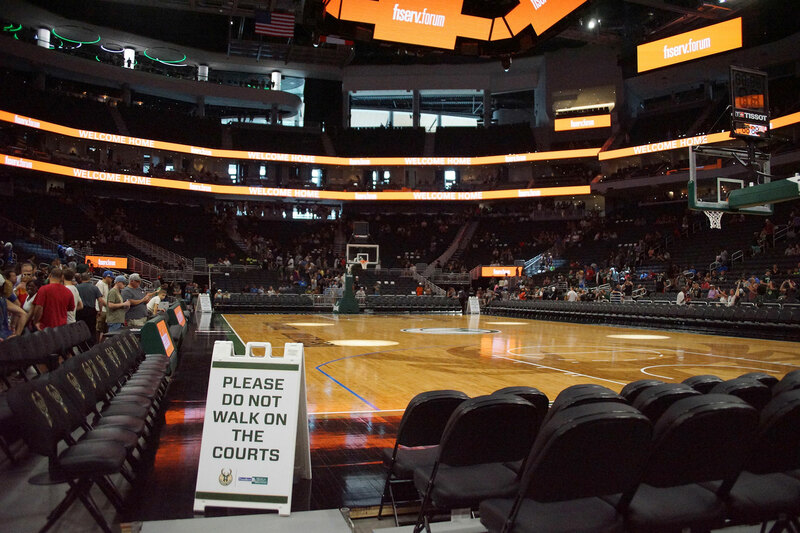 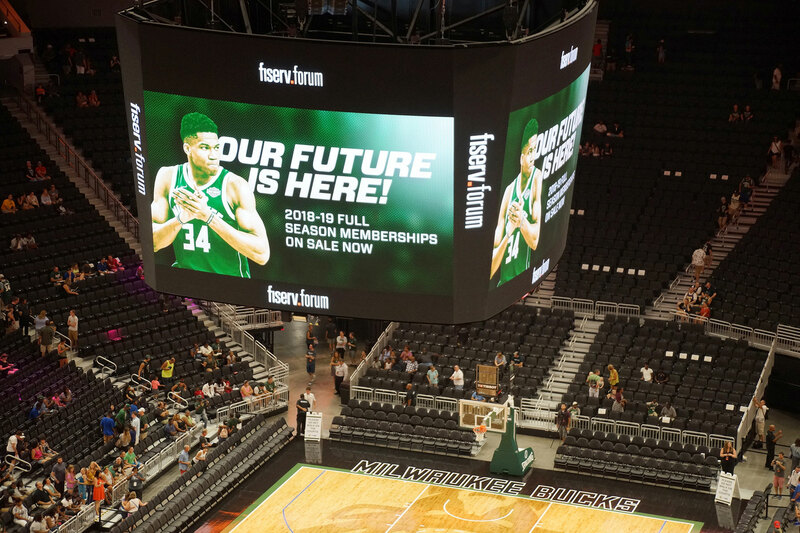 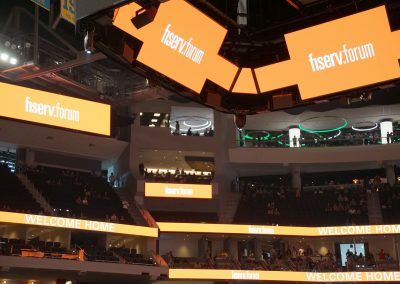 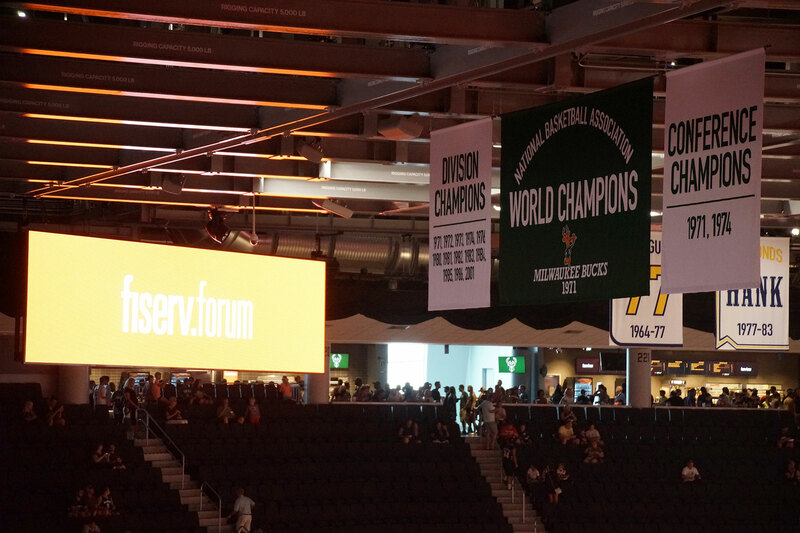 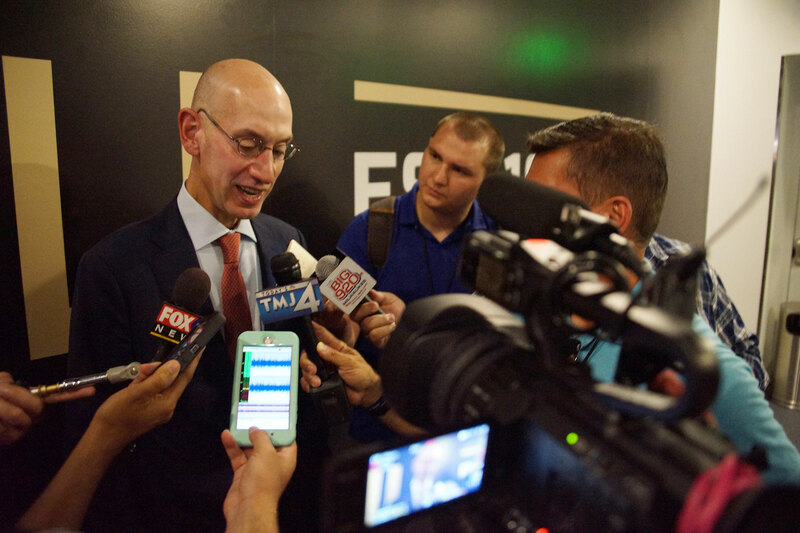 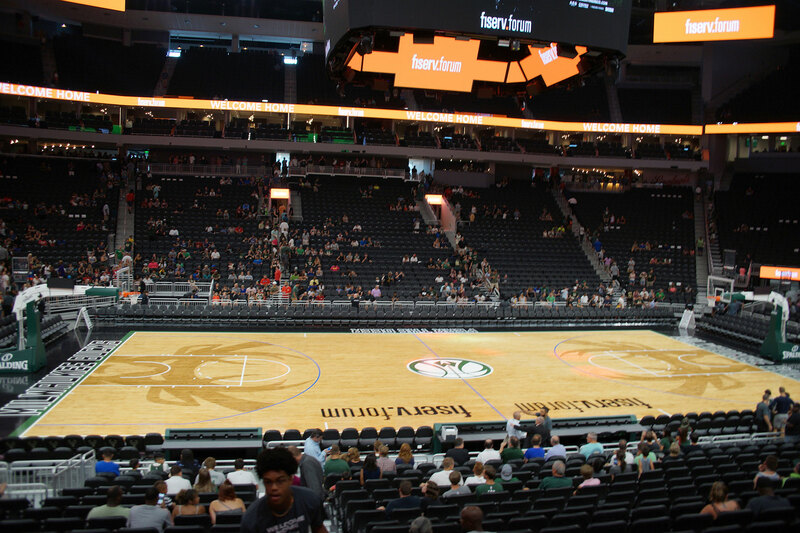 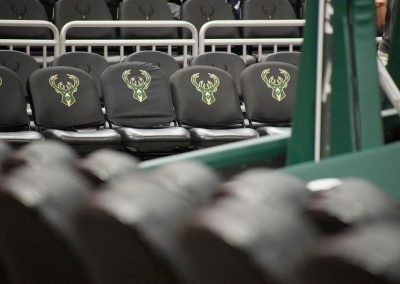 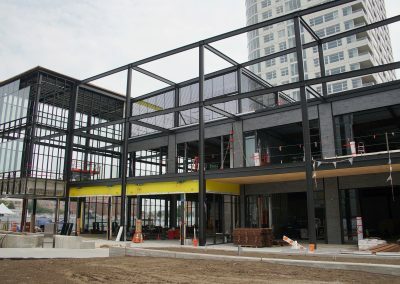 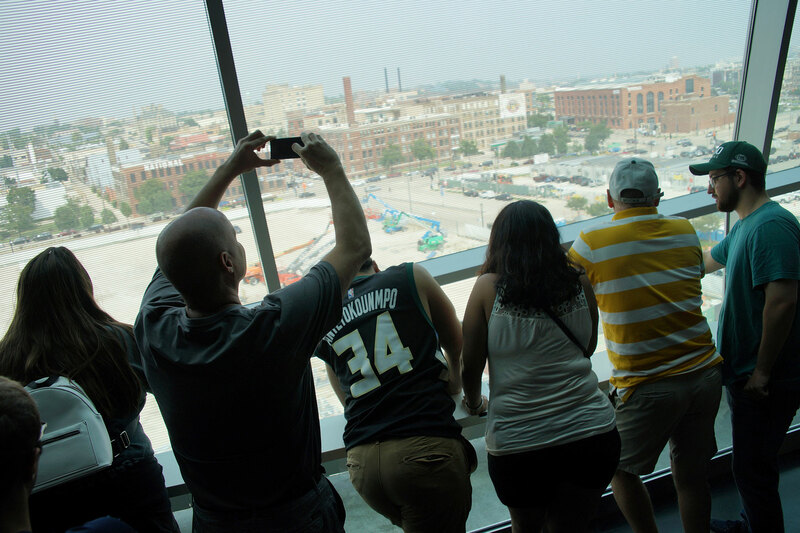 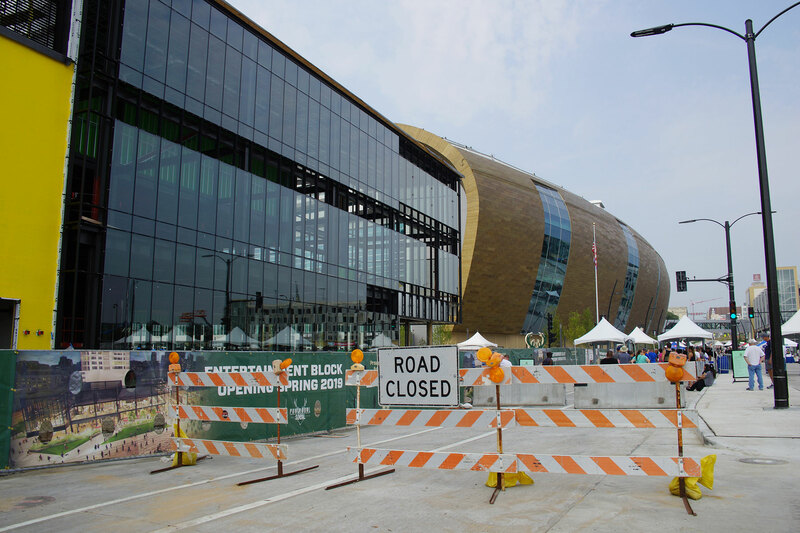 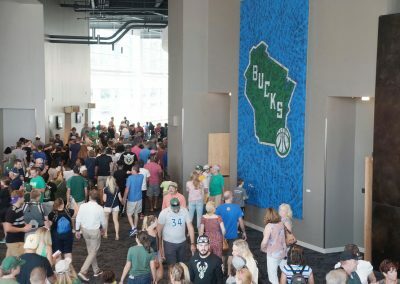 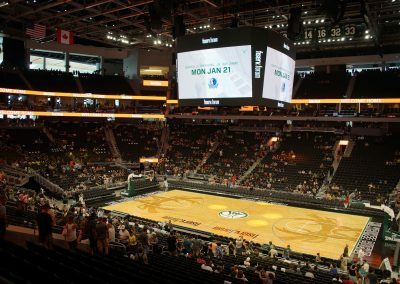 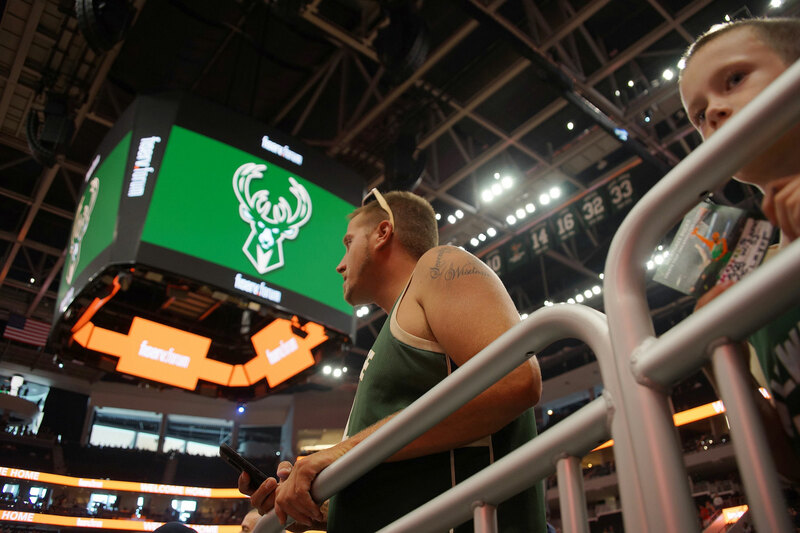 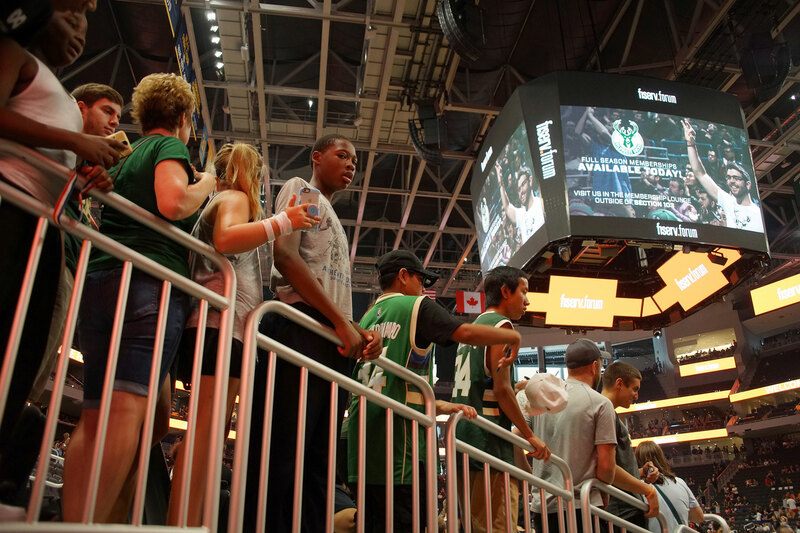 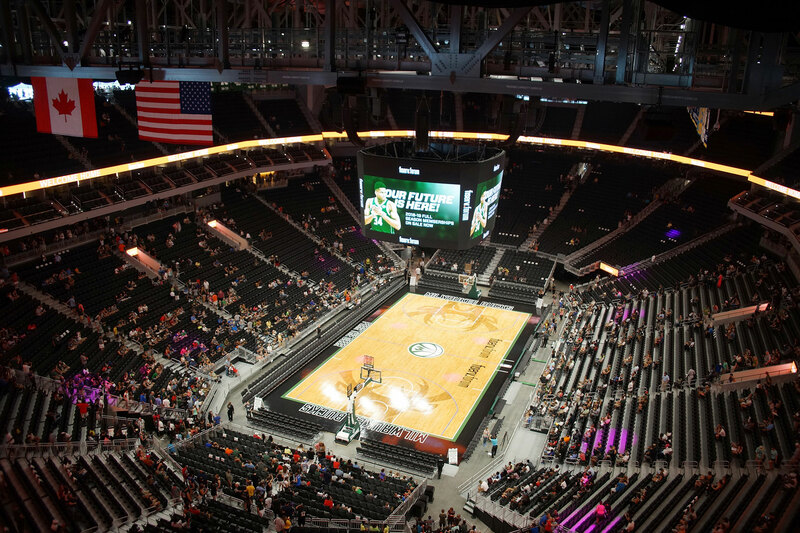 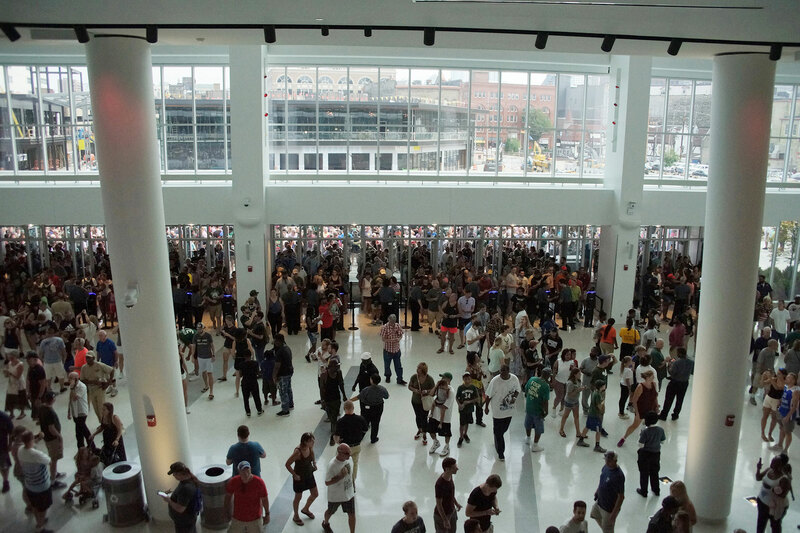 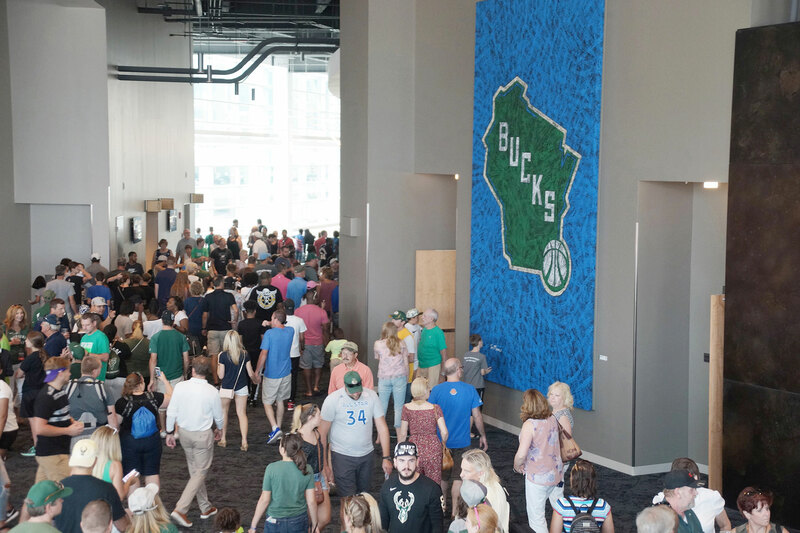 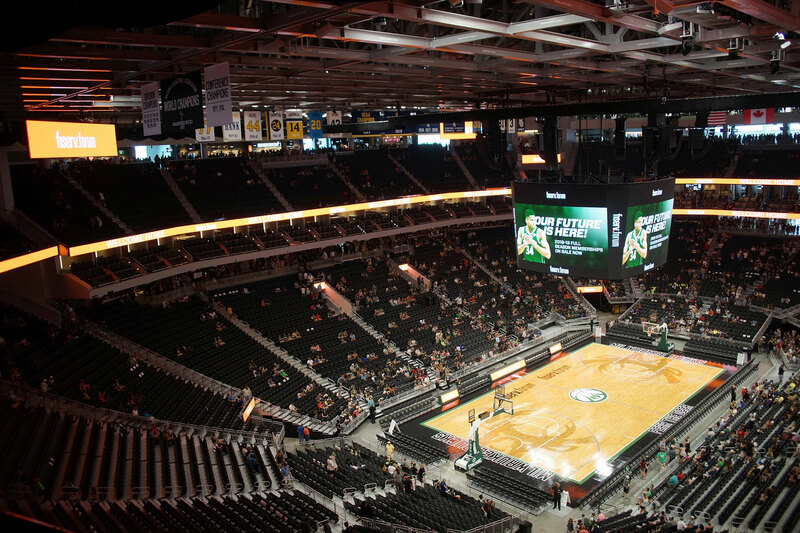 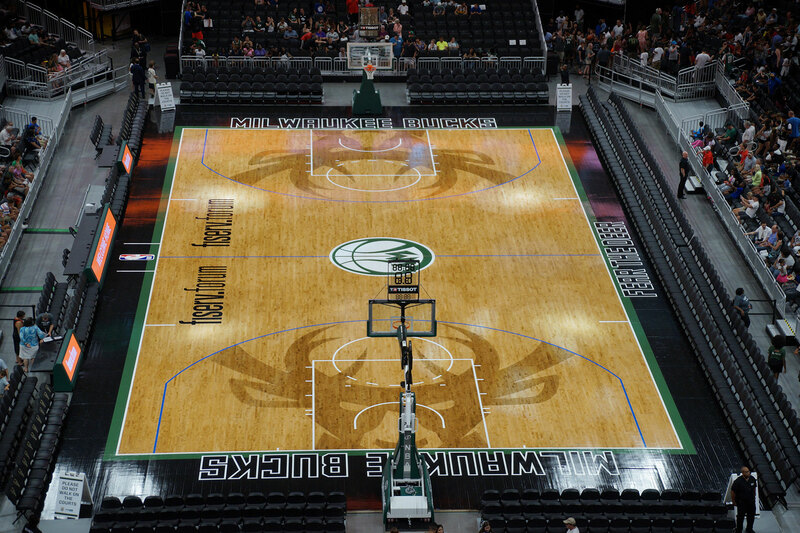 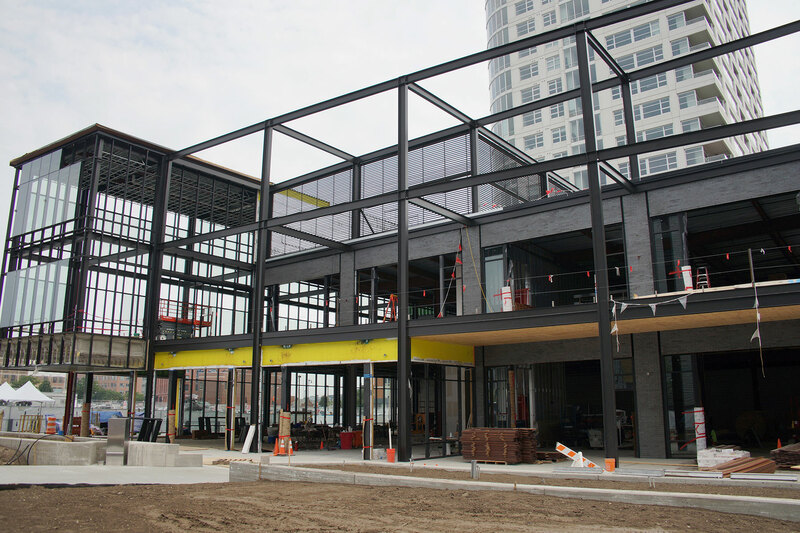 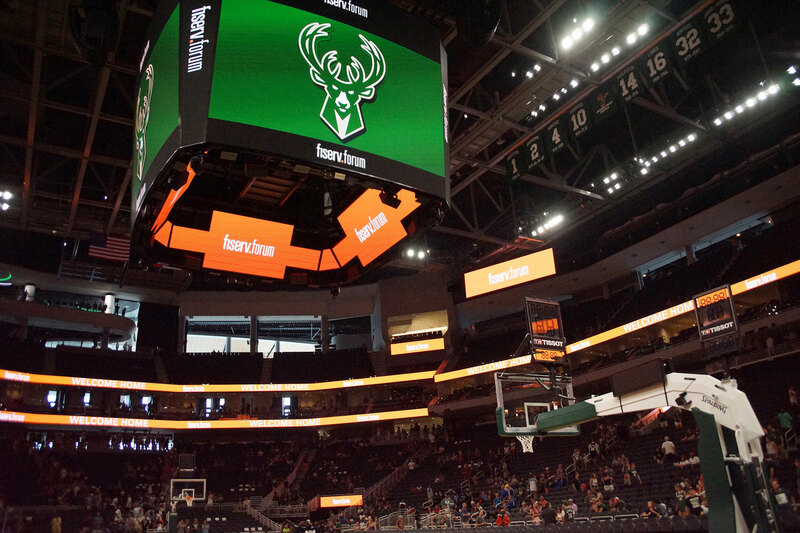 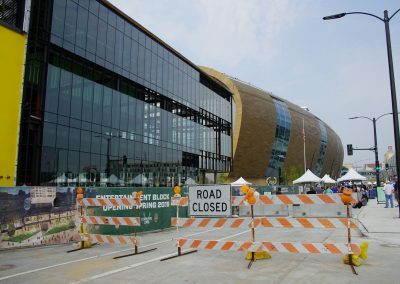 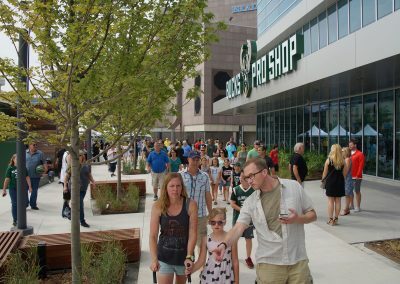 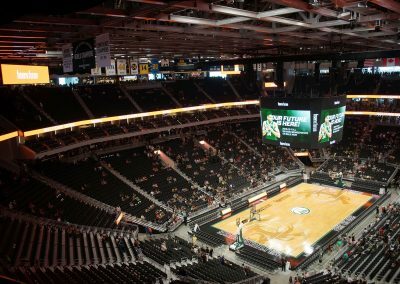 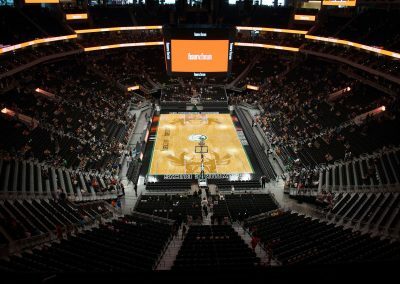 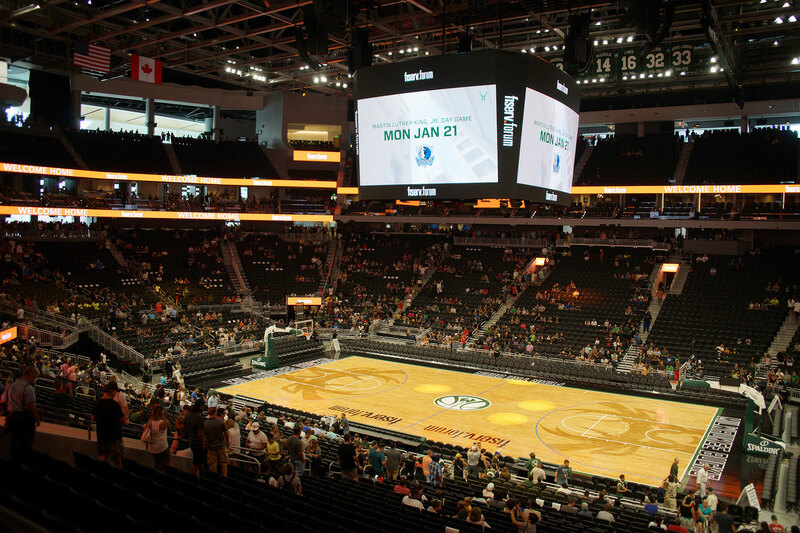 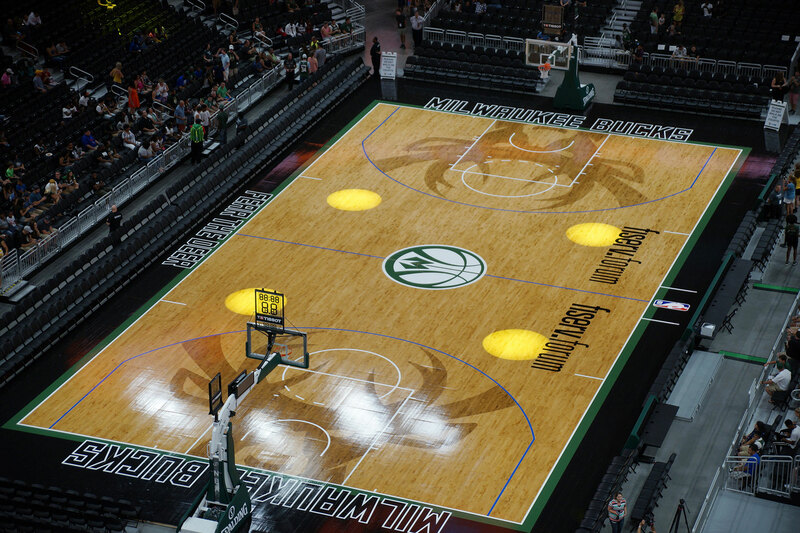 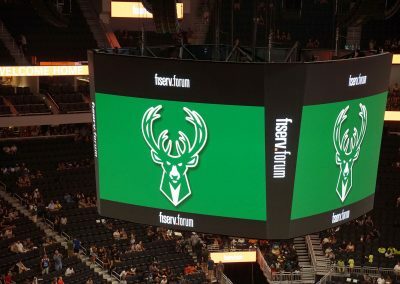 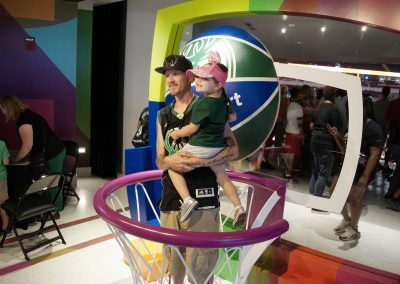 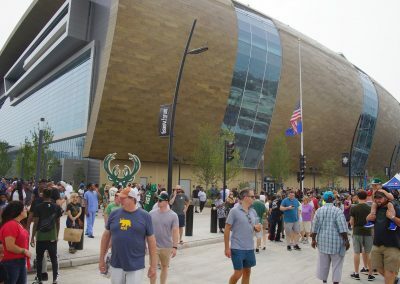 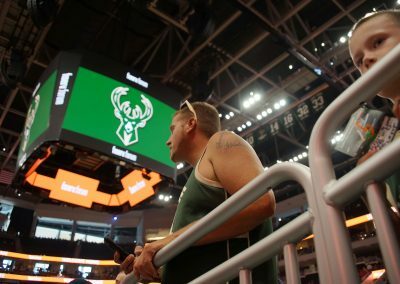 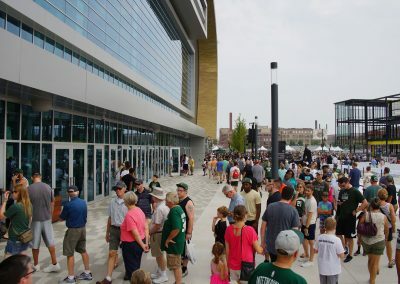 Fiserv Forum, Milwaukee’s much anticipated sports and entertainment venue, officially opened its doors to the public on August 26 after a ribbon-cutting ceremony on the plaza outside of the world-class downtown arena. 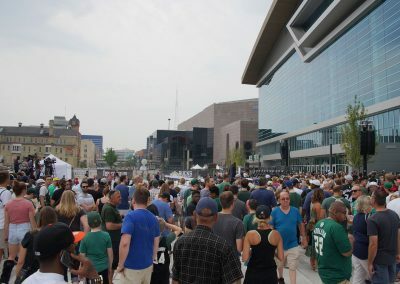 As part of the ribbon-cutting ceremony, former Bucks owner Senator Herb Kohl was honored with the street naming dedication of Herb Kohl Way, for the section of 4th Street that passed in front of the Arena. 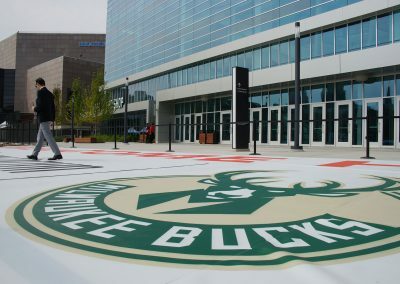 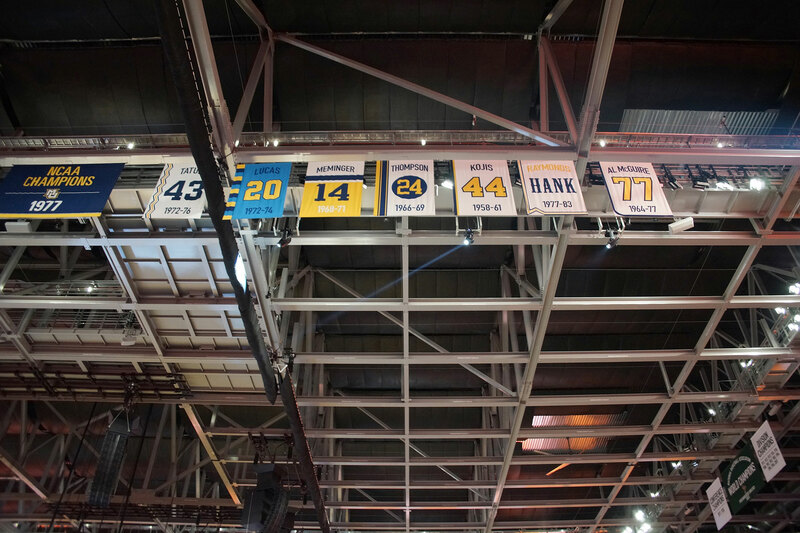 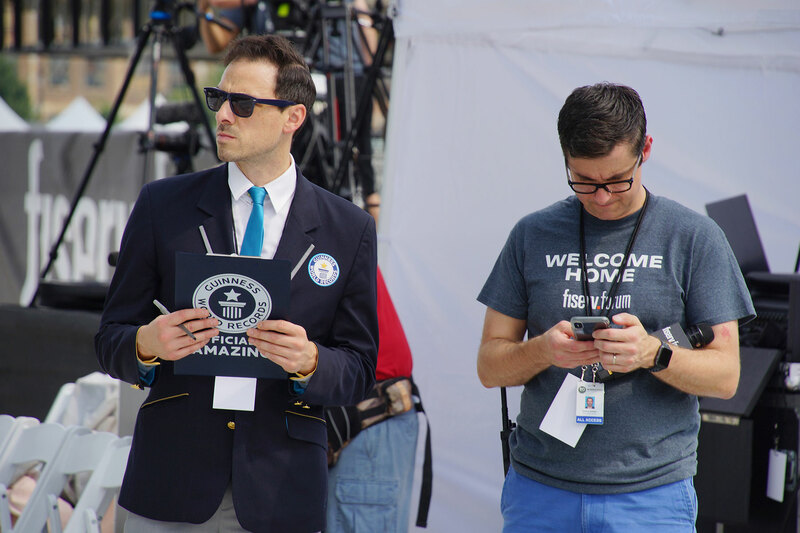 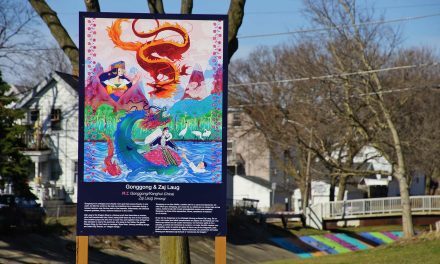 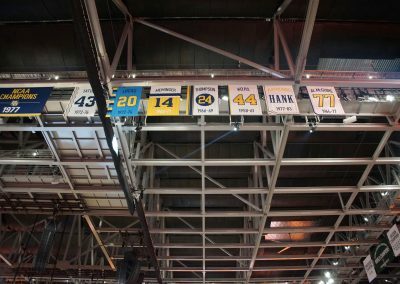 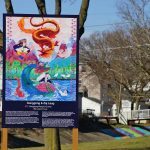 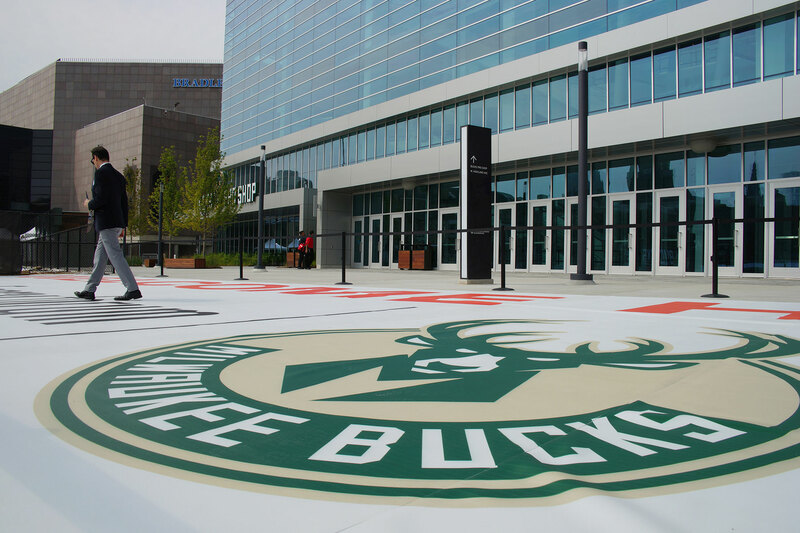 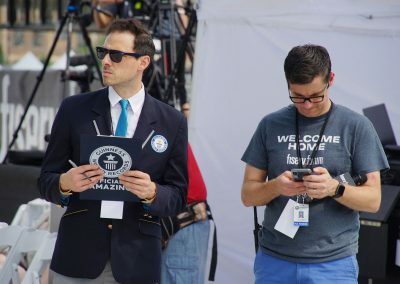 In addition, the world’s largest welcome mat, measuring 92-feet long by 24-feet wide, was unveiled outside of Fiserv Forum to welcome the community into its new home. 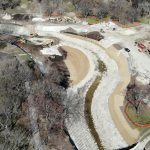 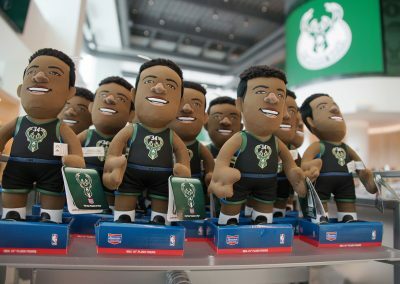 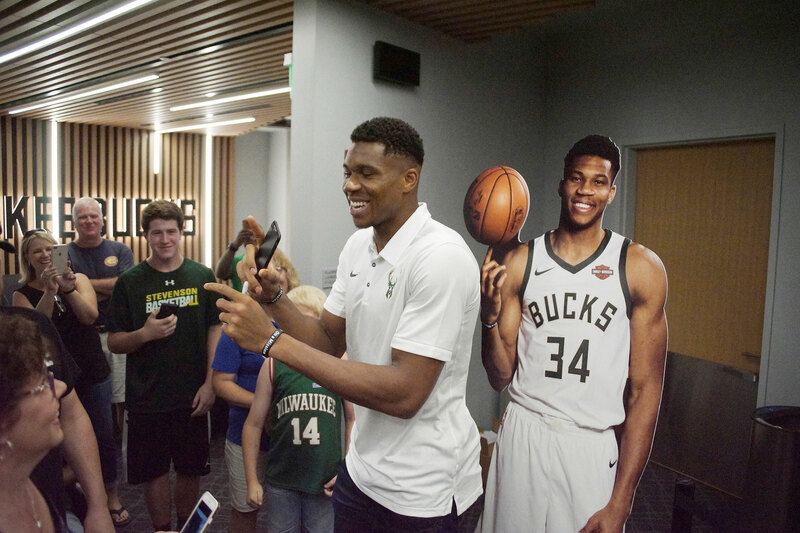 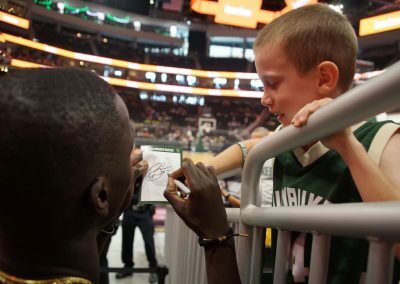 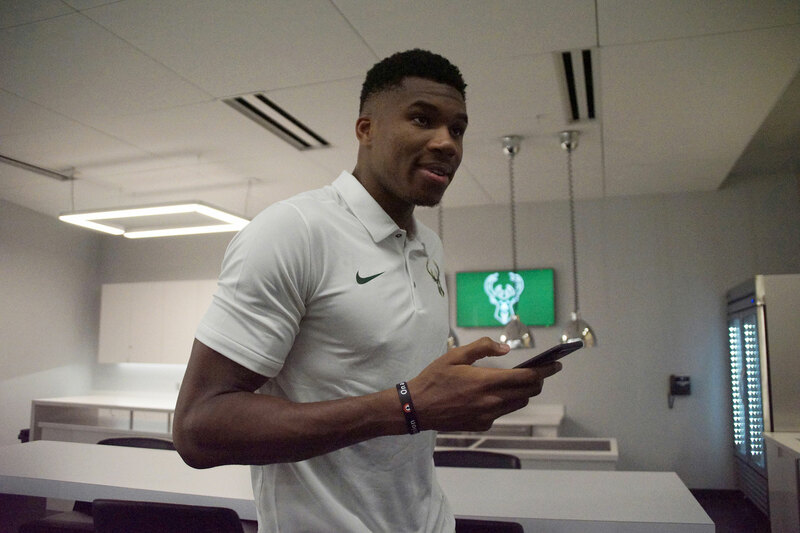 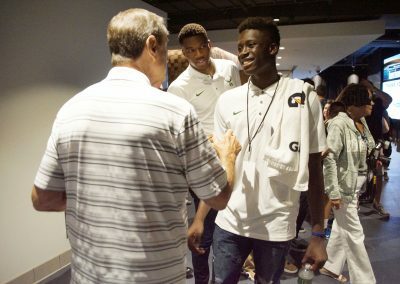 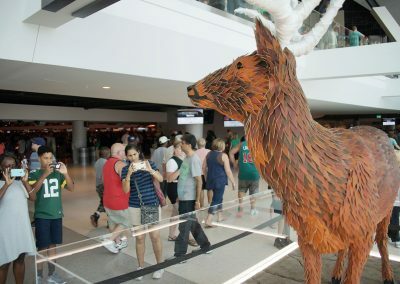 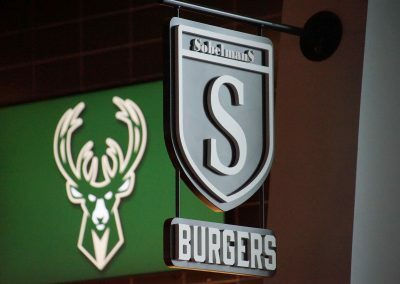 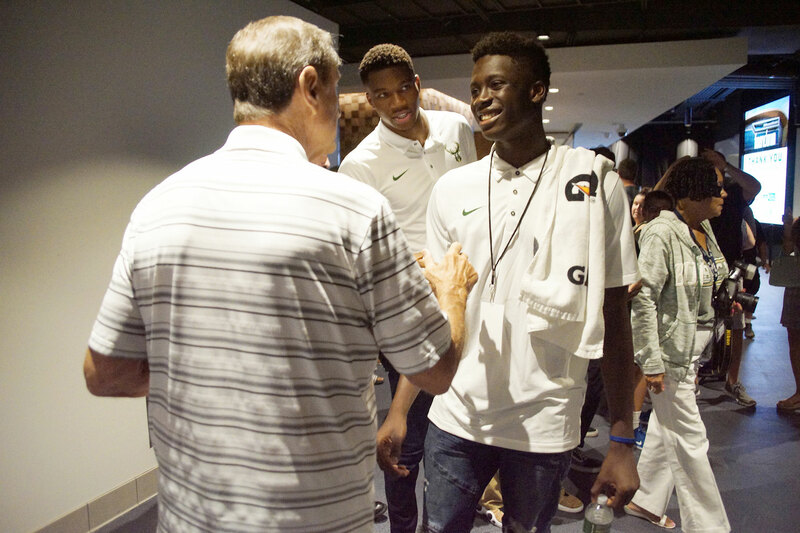 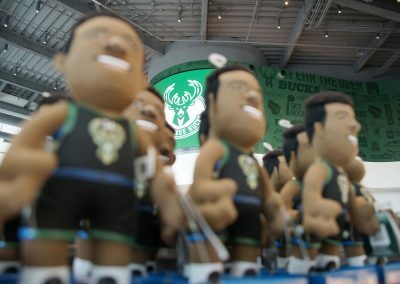 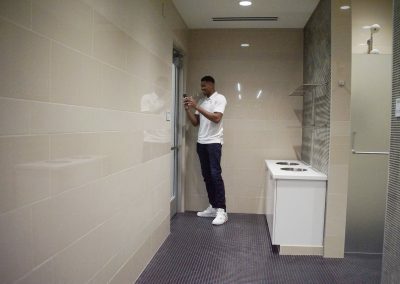 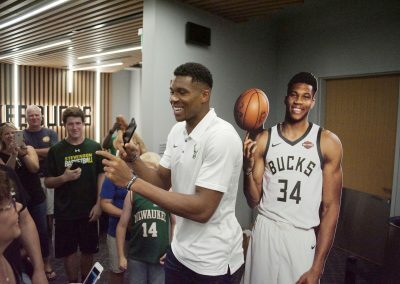 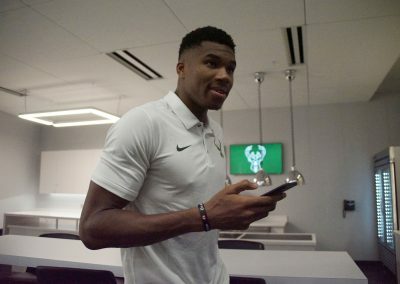 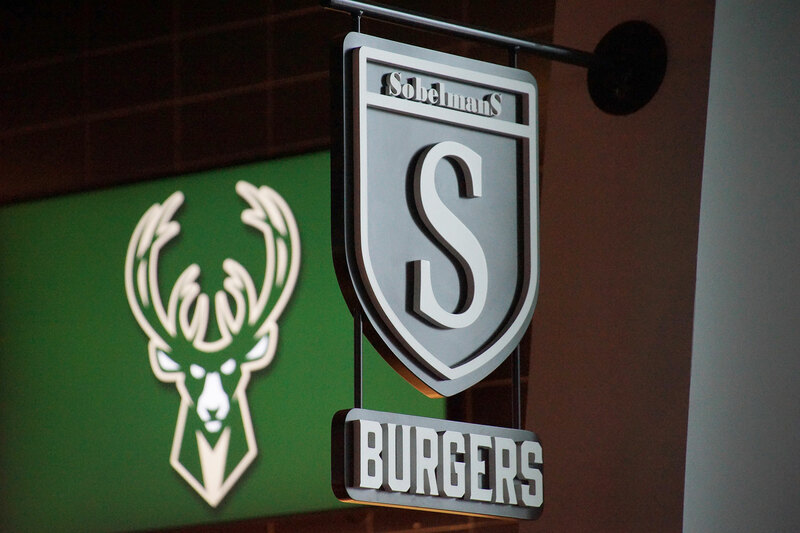 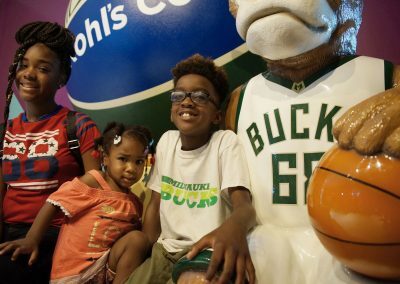 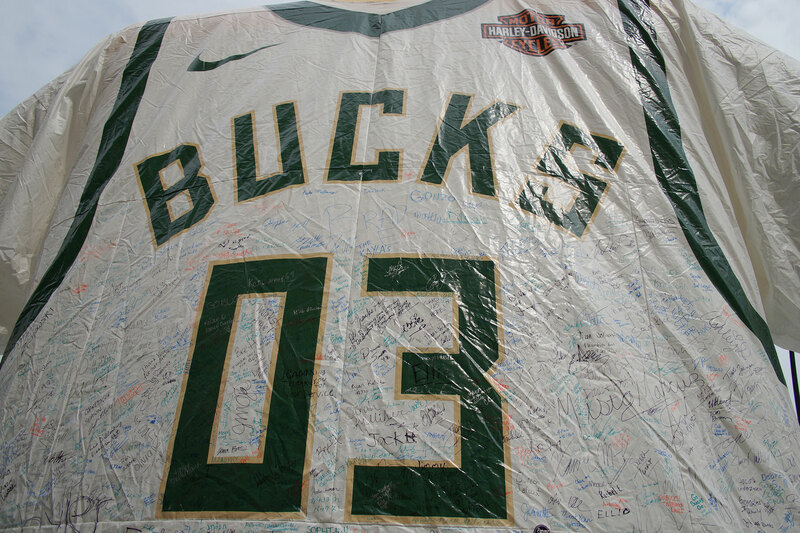 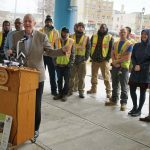 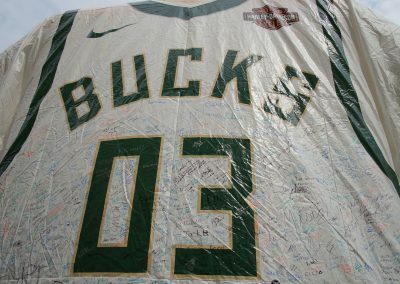 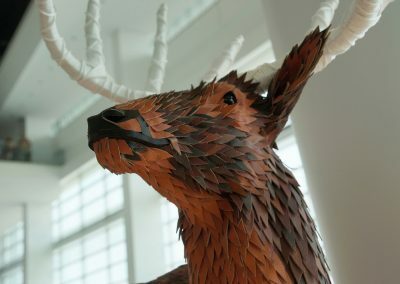 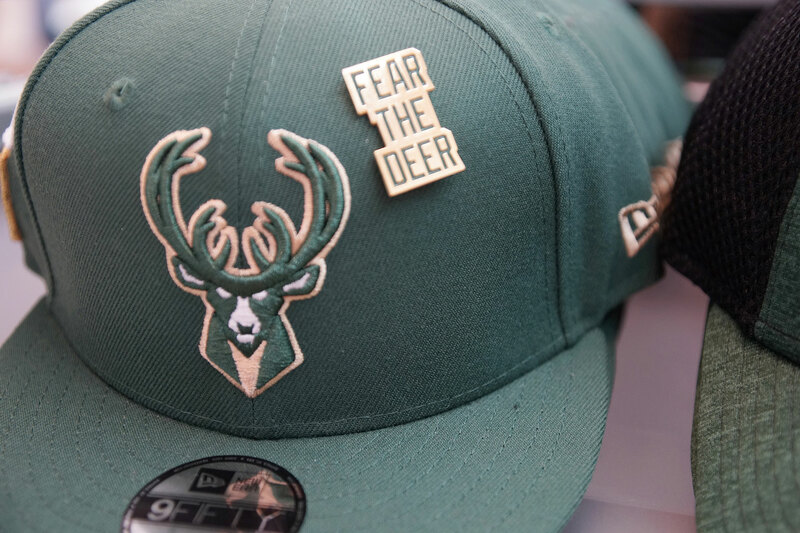 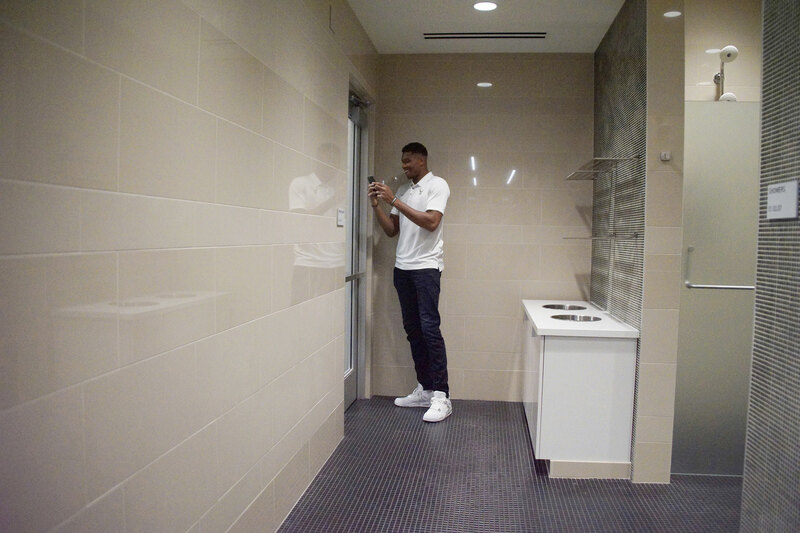 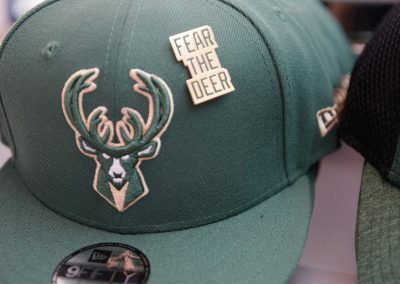 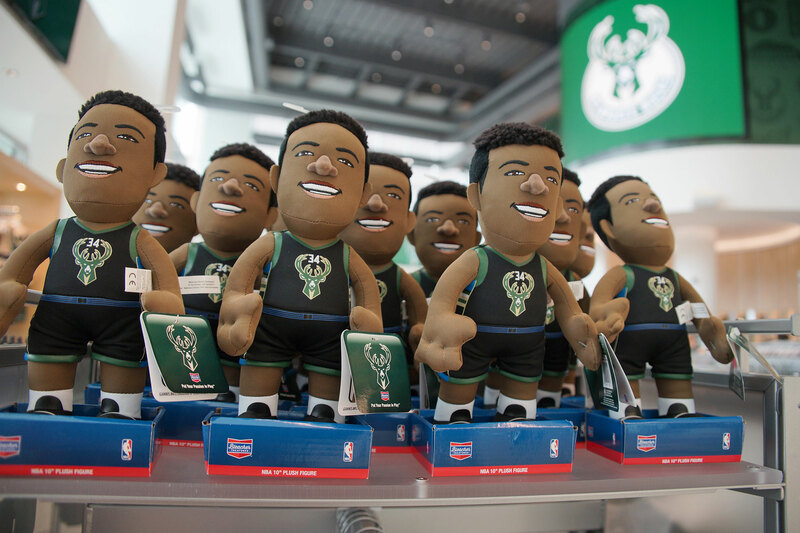 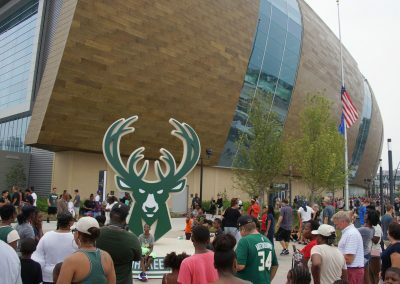 The ribbon-cutting ceremony was attended by Bucks players Giannis Antetokounmpo, Eric Bledsoe, Donte DiVincenzo, Thon Maker, Khris Middleton and D.J. 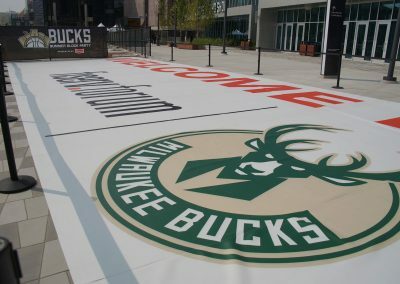 Wilson, Bucks alumni Kareem Abdul-Jabbar, Vin Baker and Michael Redd, Bucks owners Wes Edens, Marc Lasry, Jamie Dinan and Mike Fascitelli, NBA Commissioner Adam Silver, Senator Herb Kohl, Wisconsin Governor Scott Walker, Milwaukee Mayor Tom Barrett, Milwaukee Common Council President Ashanti Hamilton, Fiserv President and CEO Jeff Yabuki, Bucks President Peter Feigin, and tens of thousands of fans. 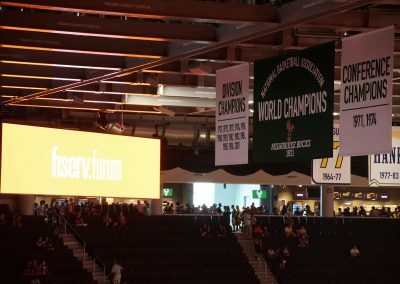 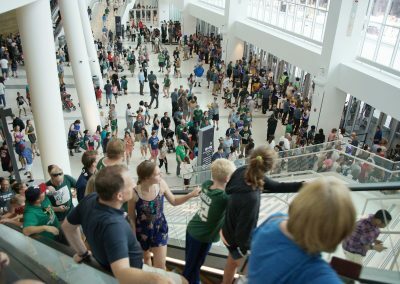 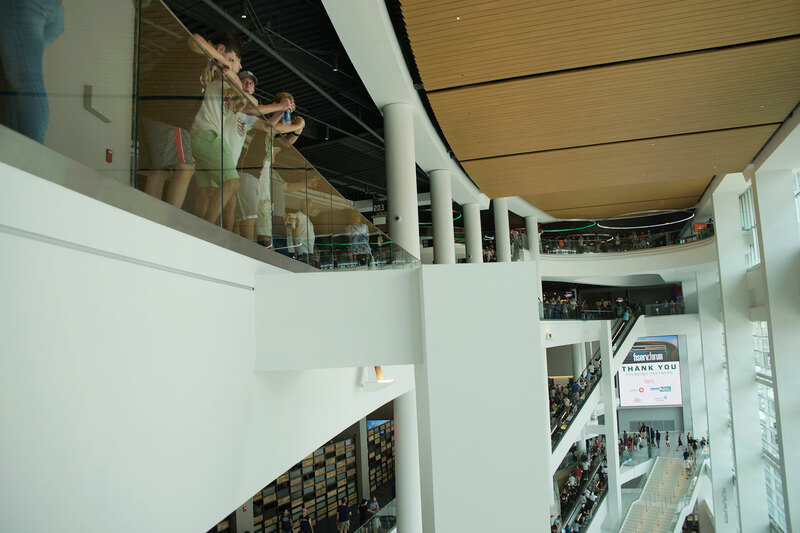 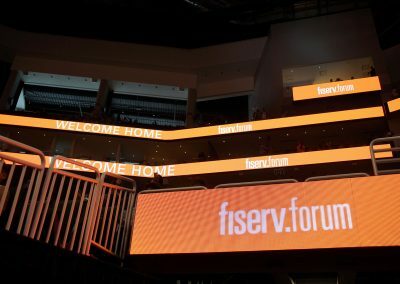 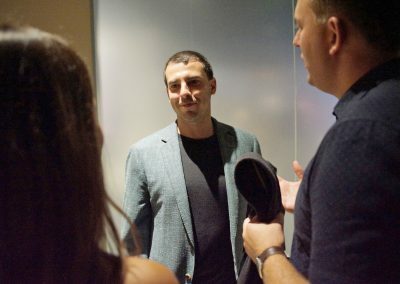 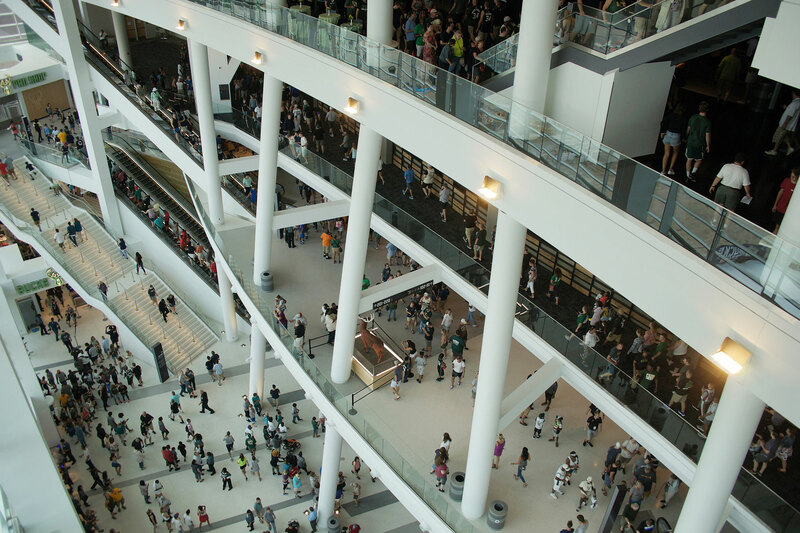 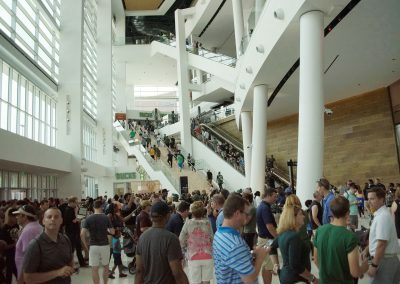 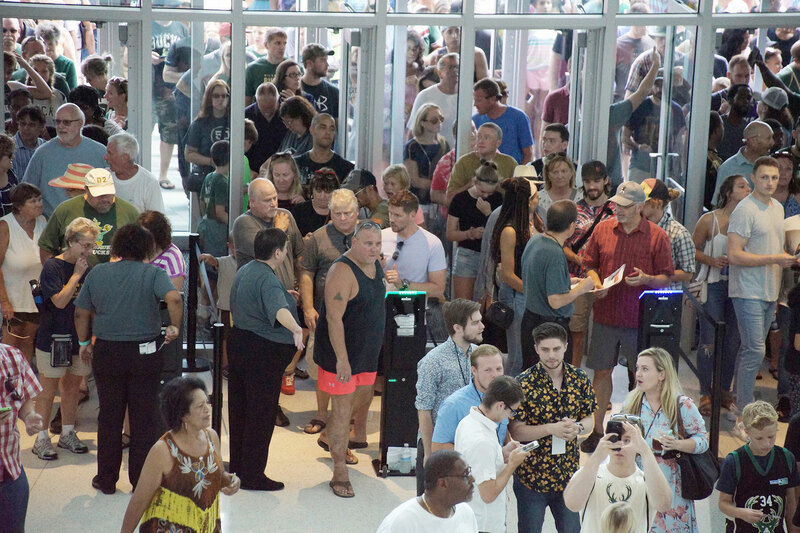 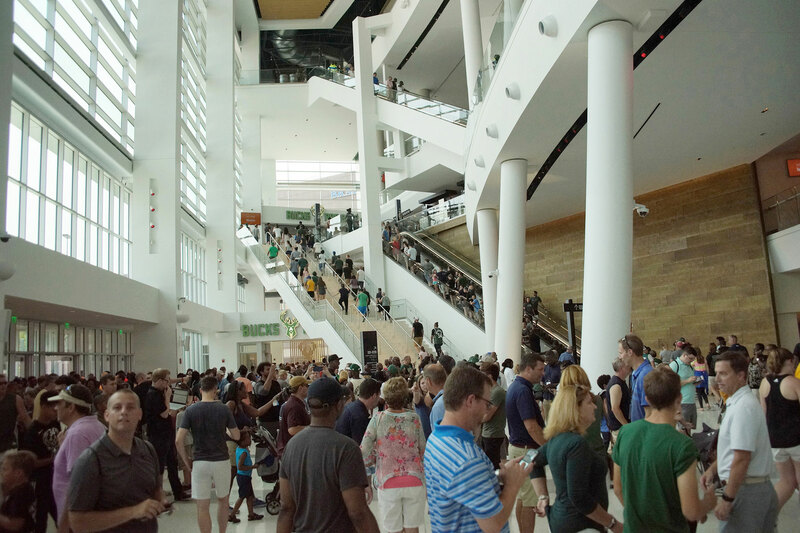 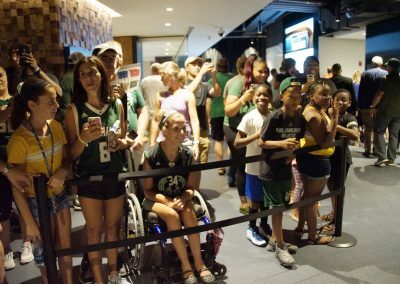 Following the ribbon cutting, Fiserv Forum held an Open House for the public to get its first look inside the arena. 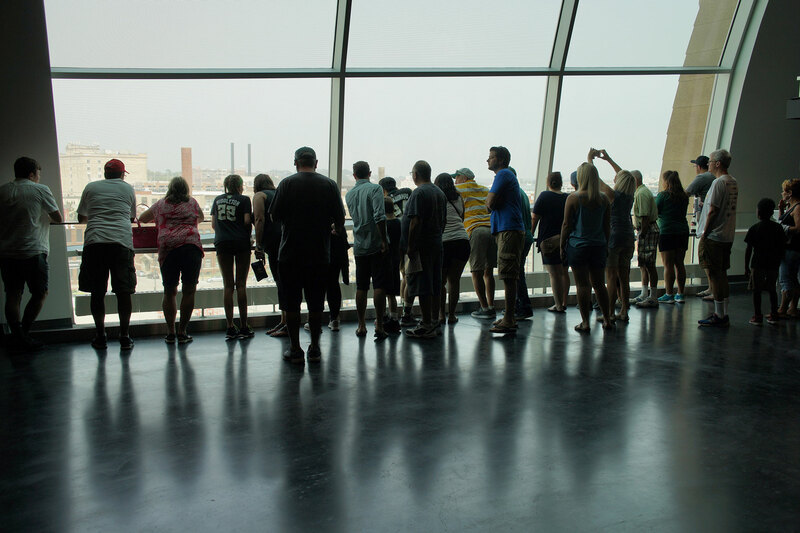 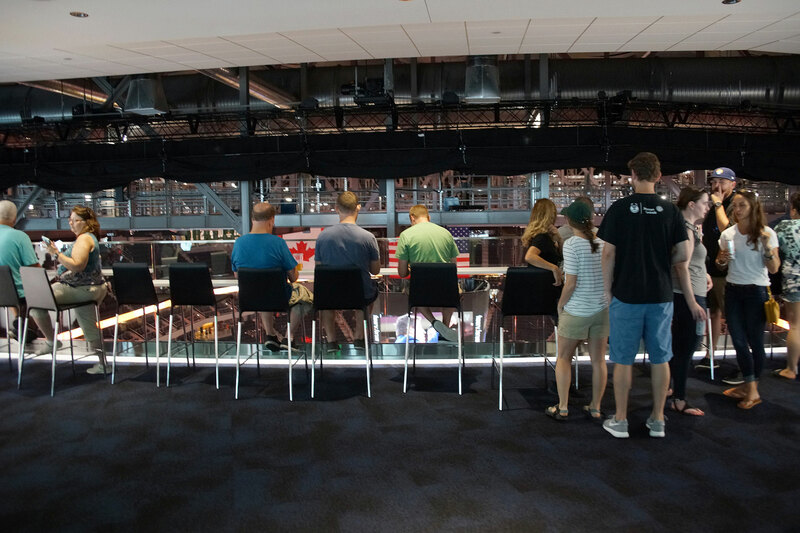 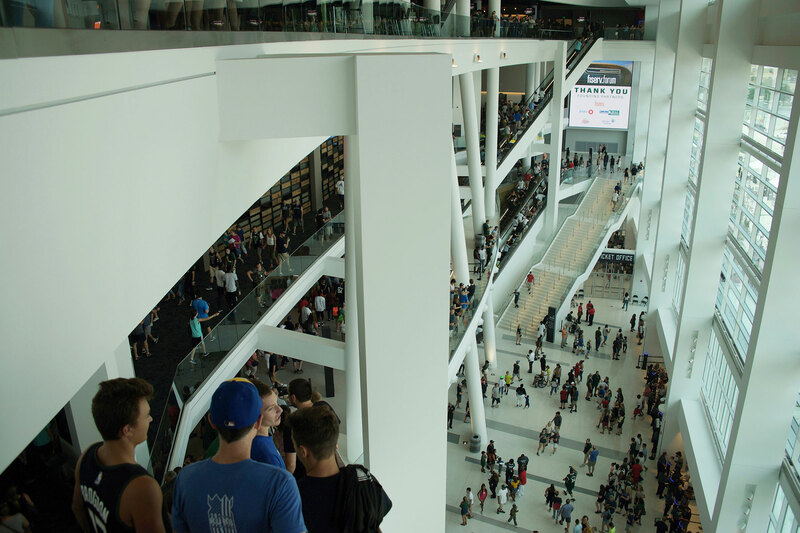 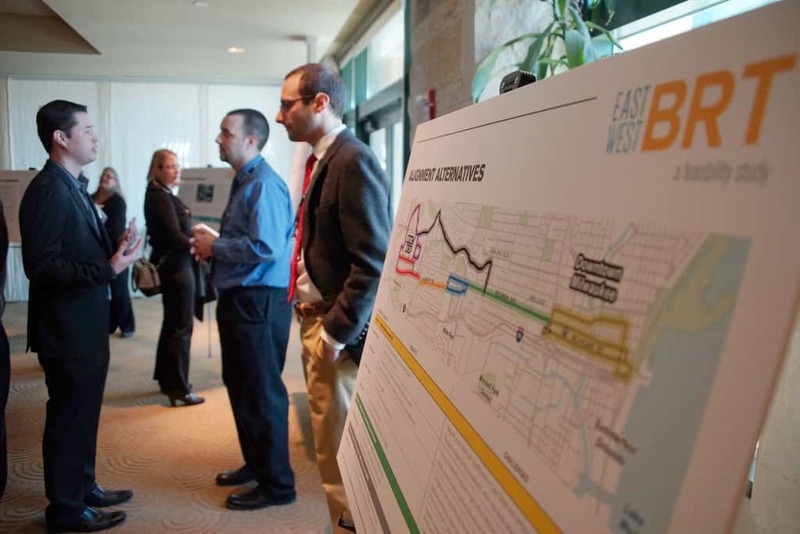 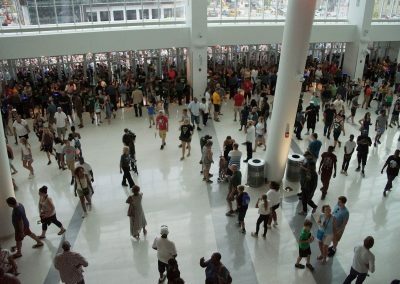 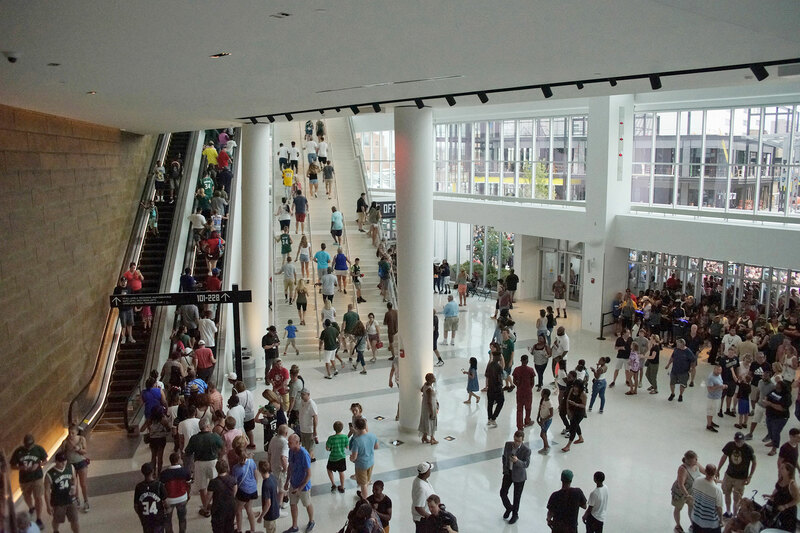 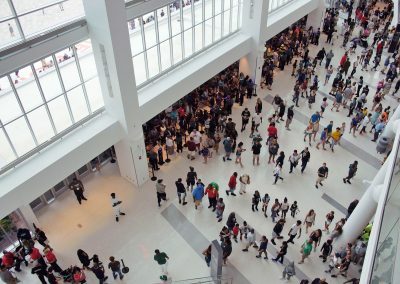 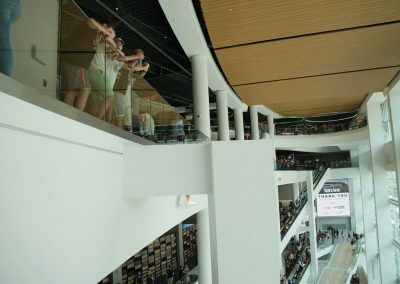 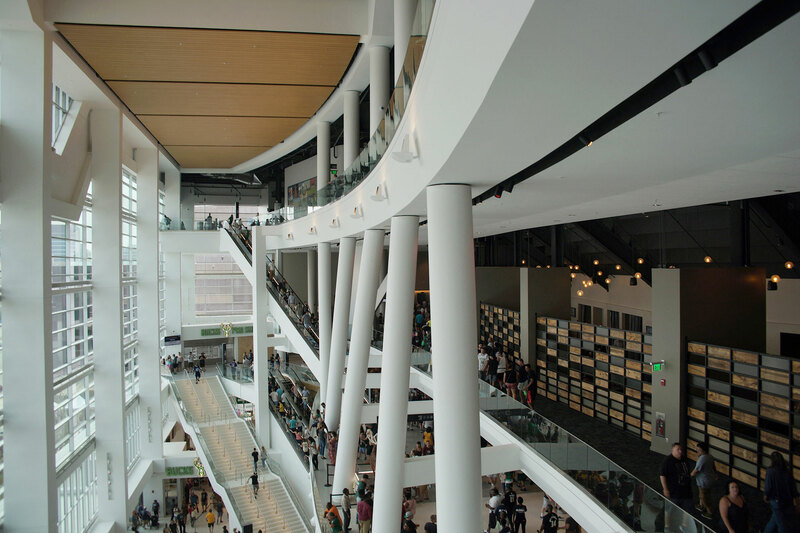 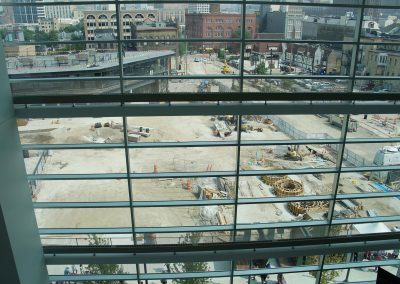 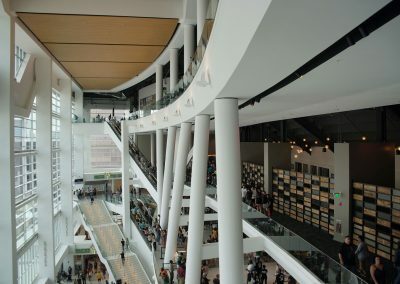 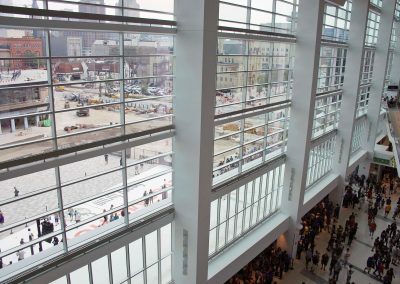 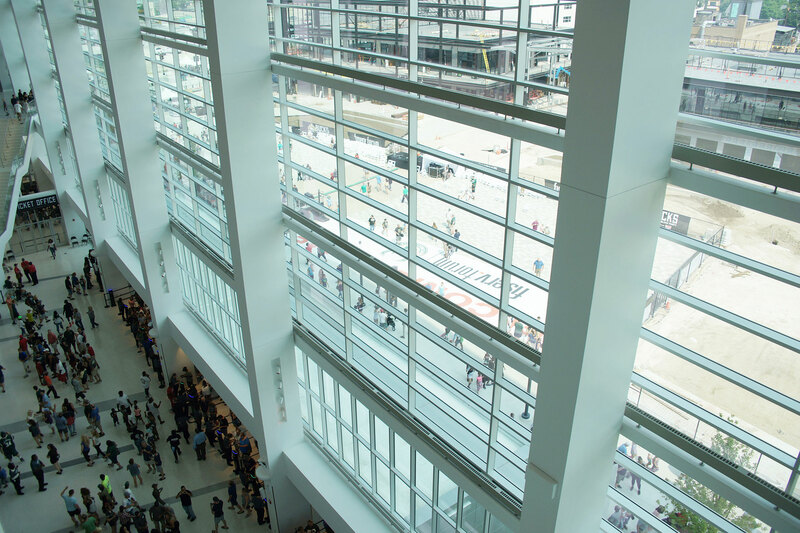 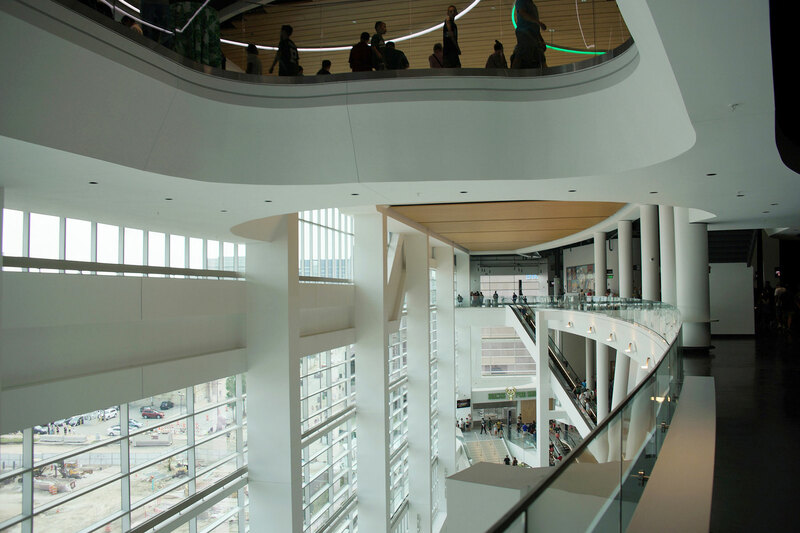 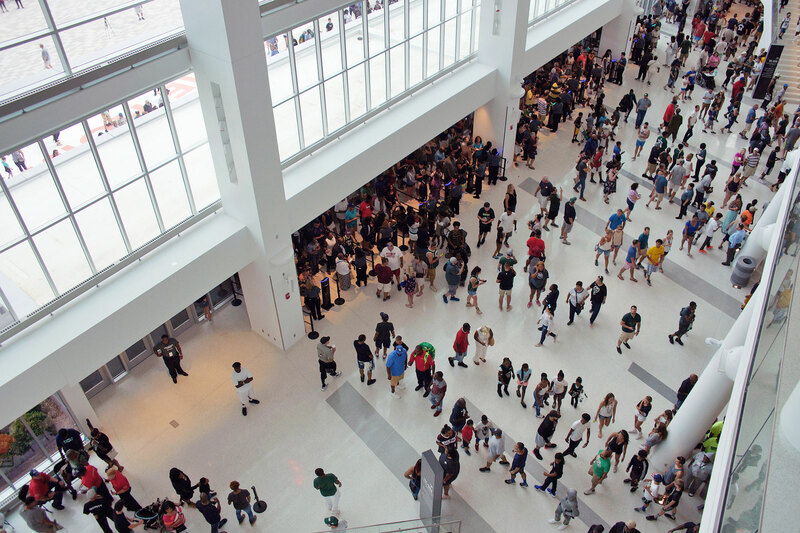 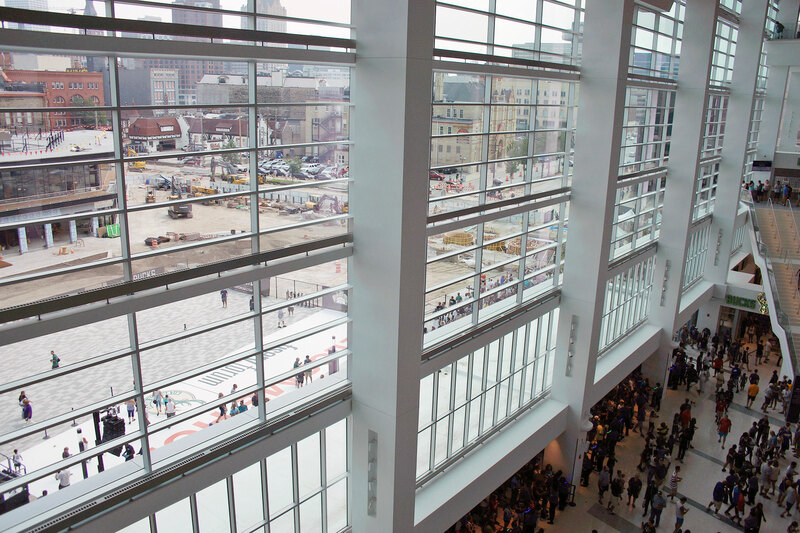 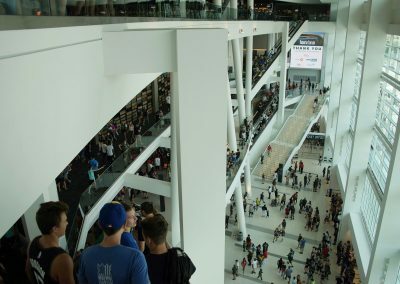 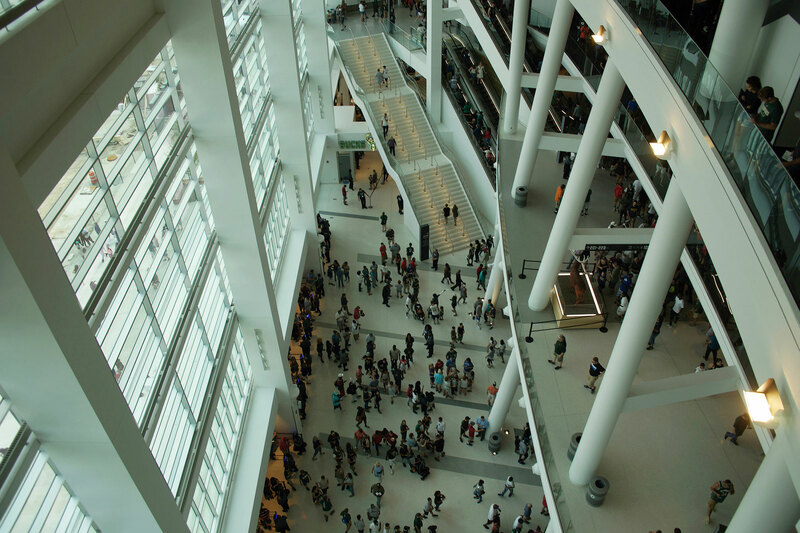 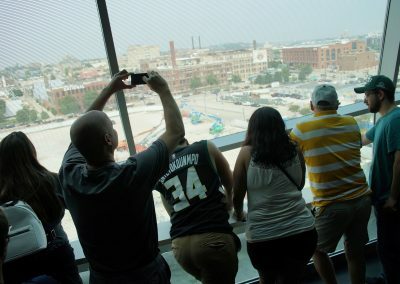 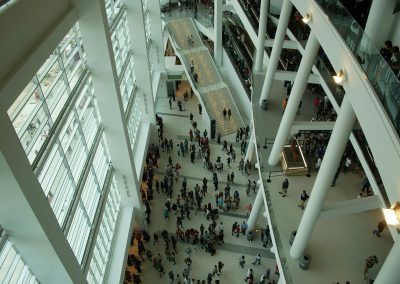 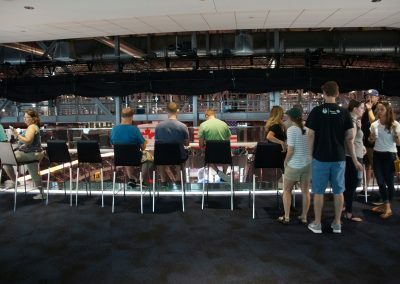 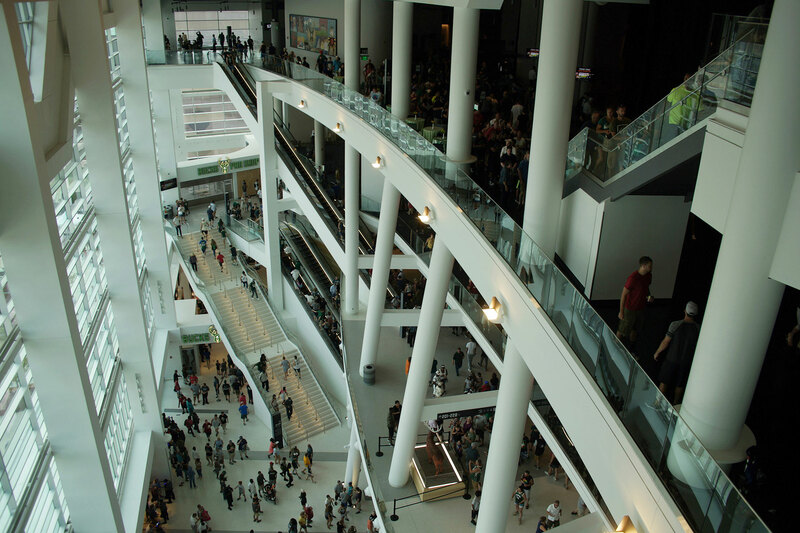 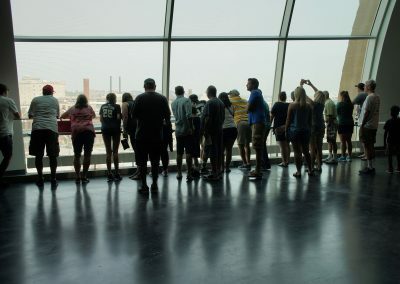 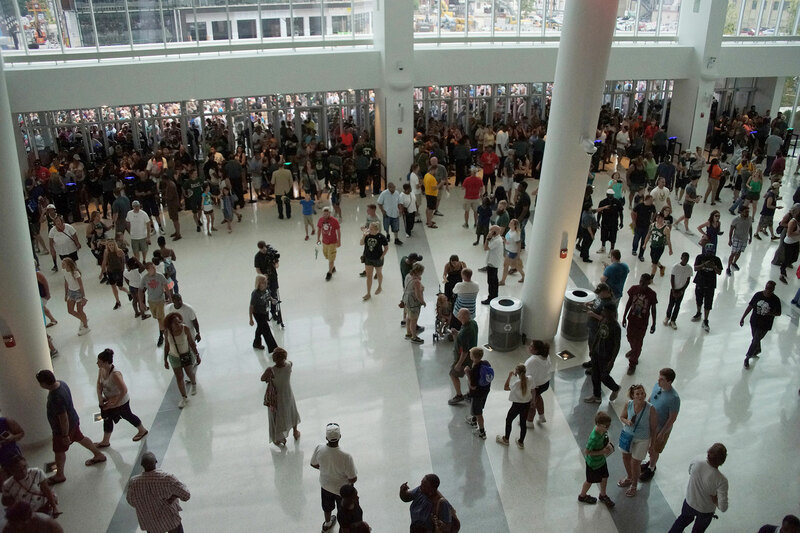 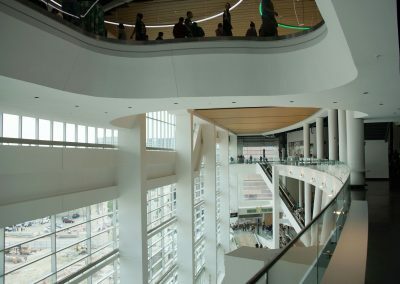 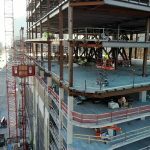 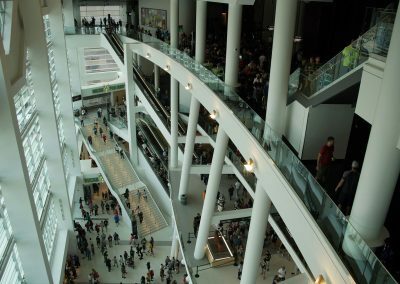 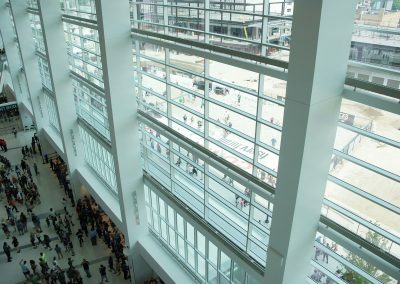 Visitors took self-guided tours of the venue to see the atrium, the arena bowl, BMO Club, Mezzanine Club, Panorama Club, main concourse, upper concourse, and suite level. 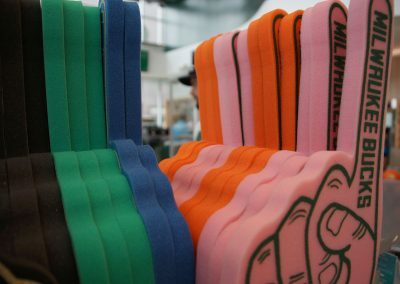 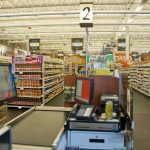 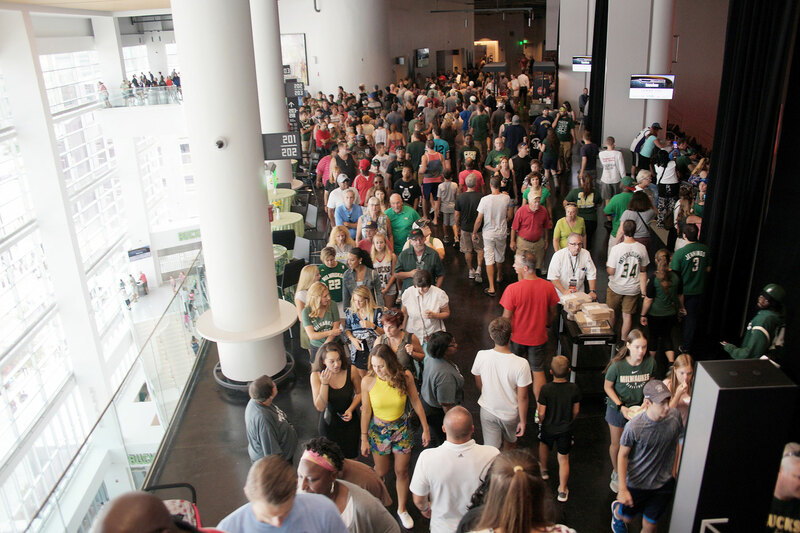 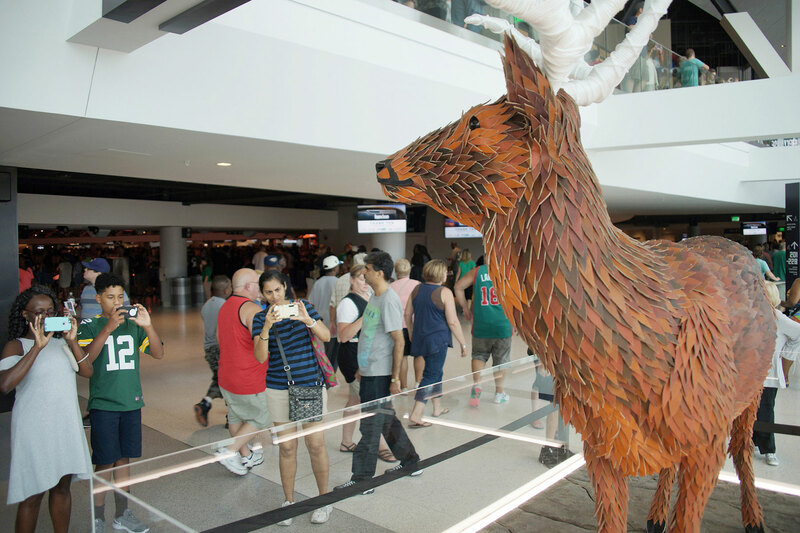 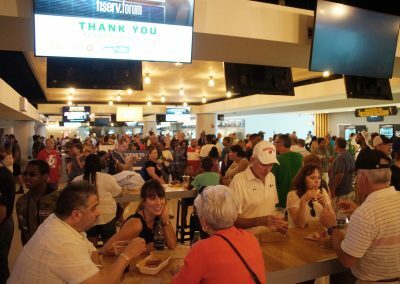 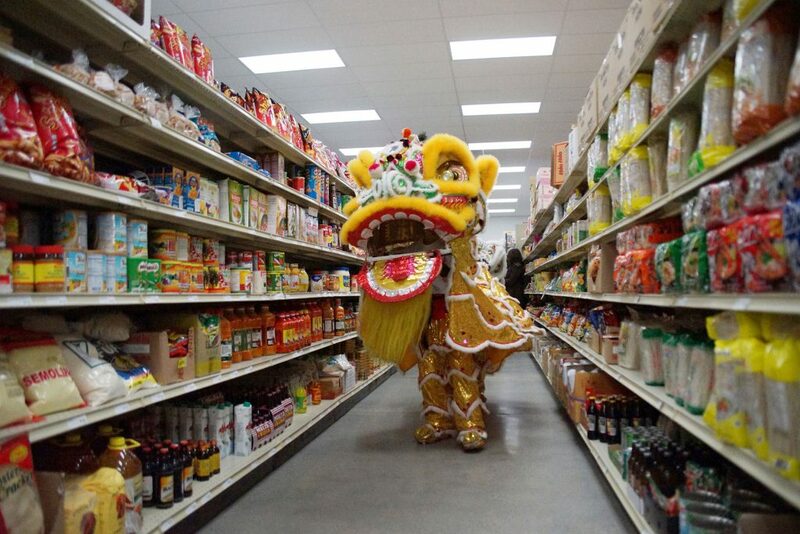 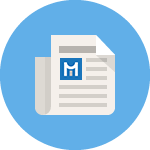 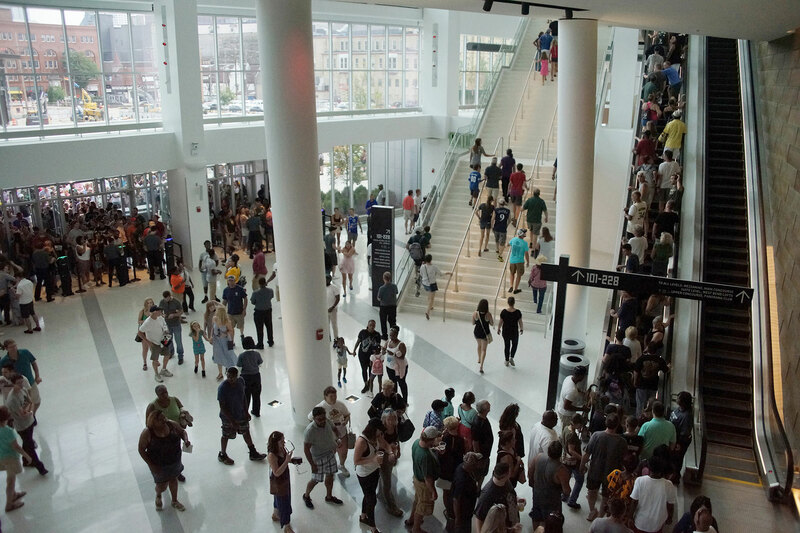 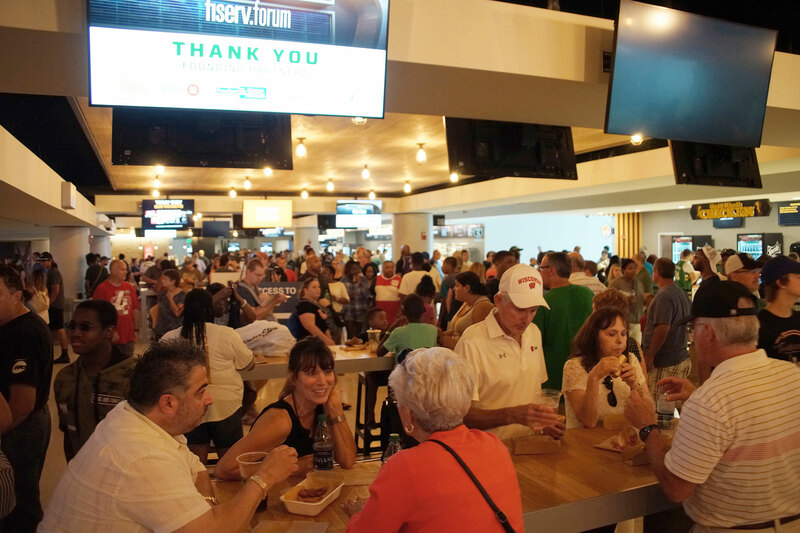 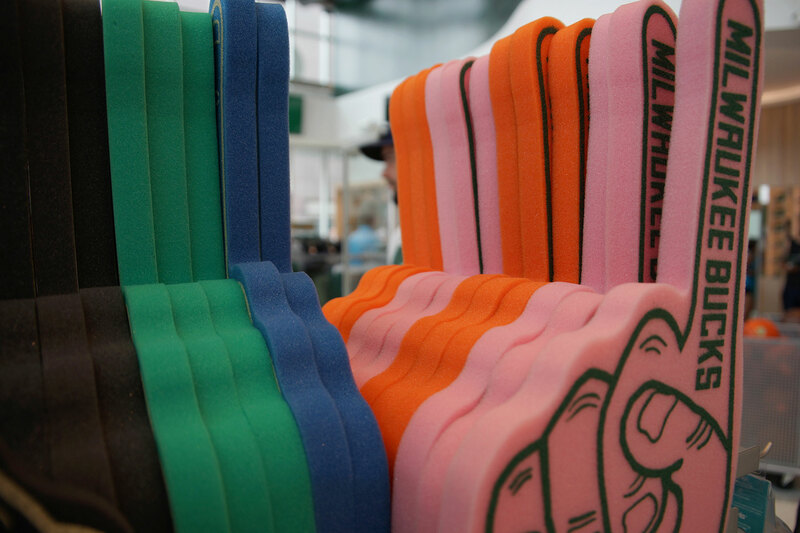 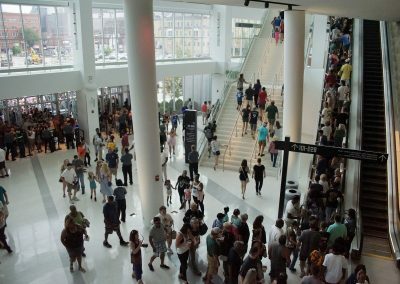 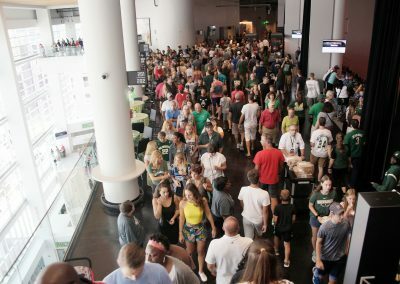 Concession stands throughout the arena were operational during the event for the first time, allowing the Milwaukee community to experience the Fiserv Forum’s dynamic, locally-focused food and beverage program, MKEat. 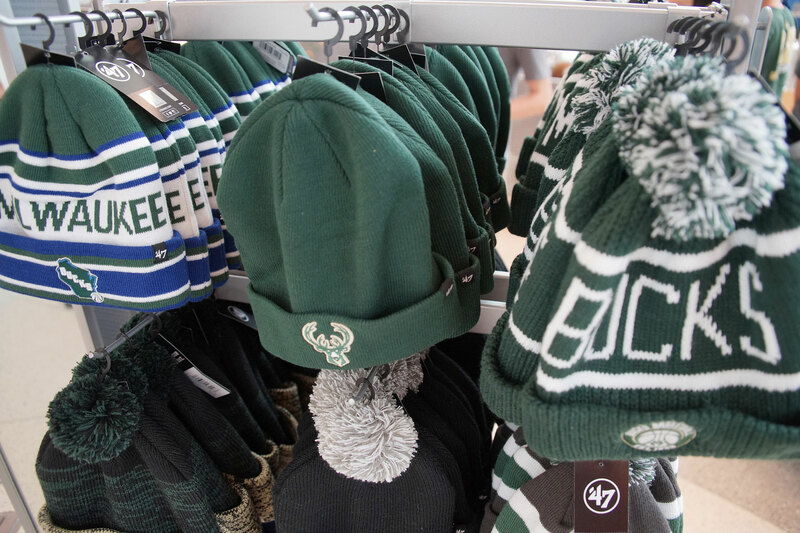 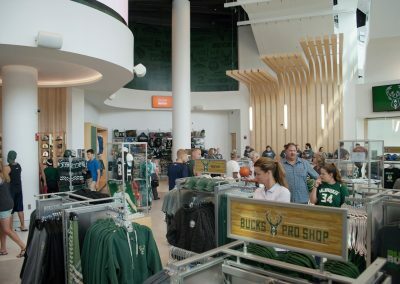 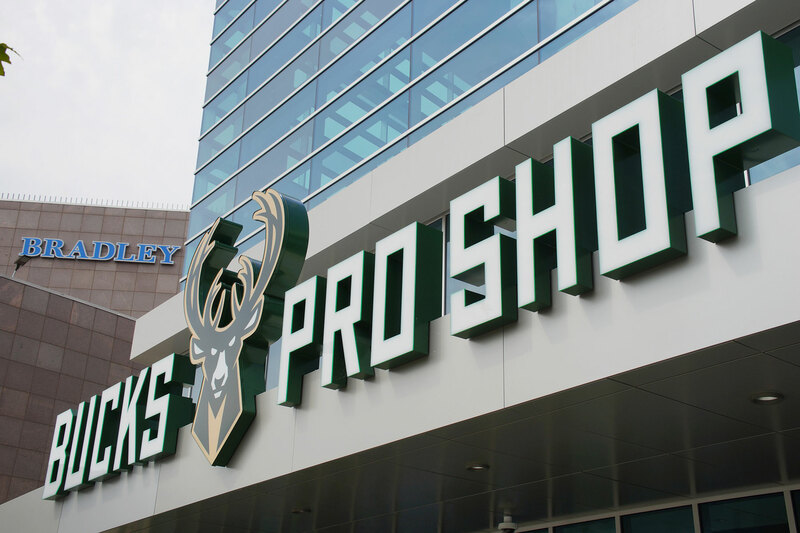 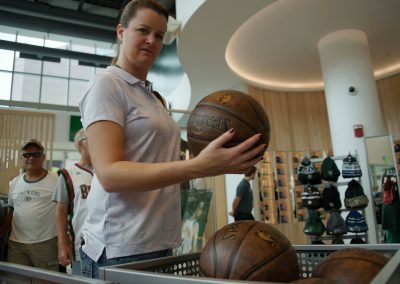 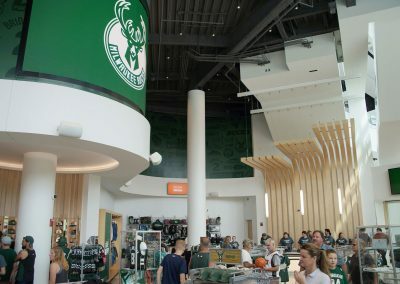 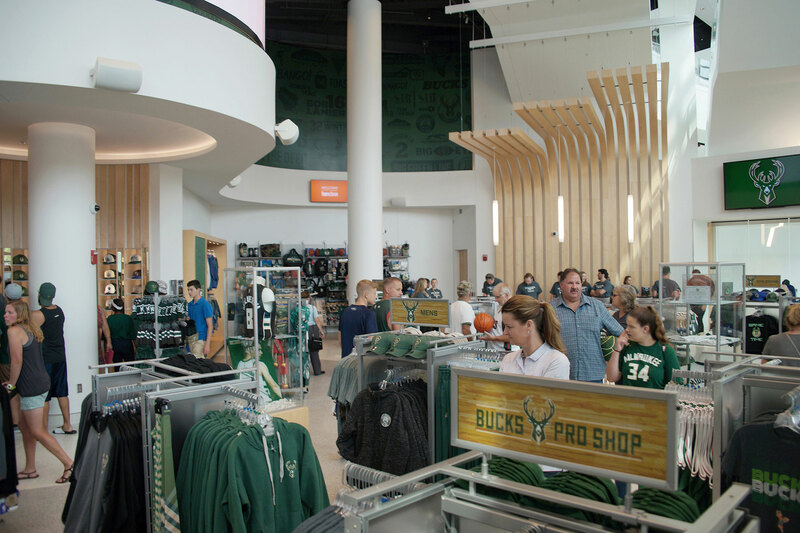 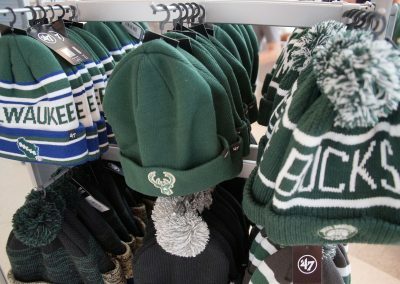 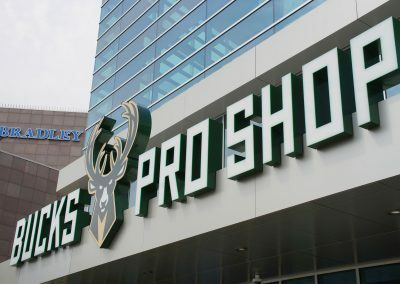 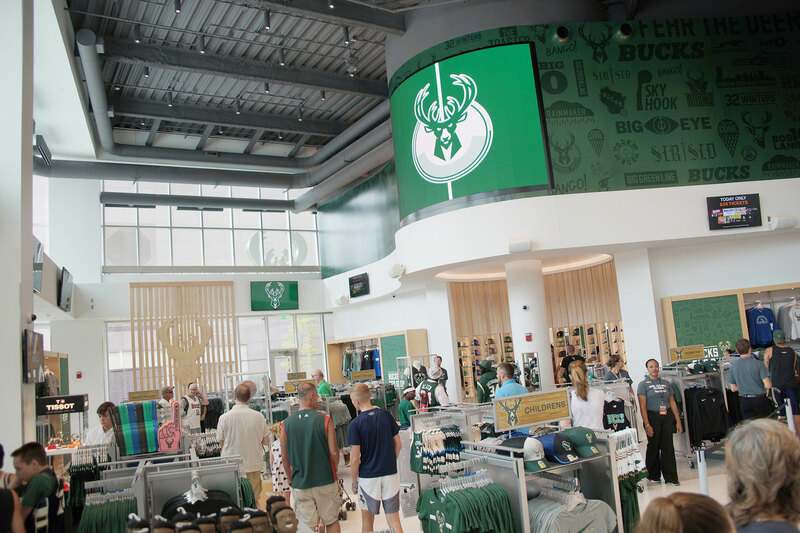 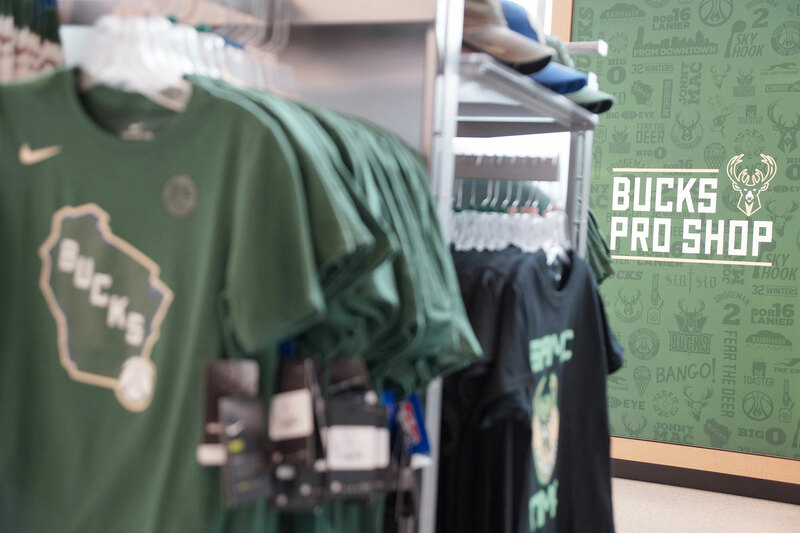 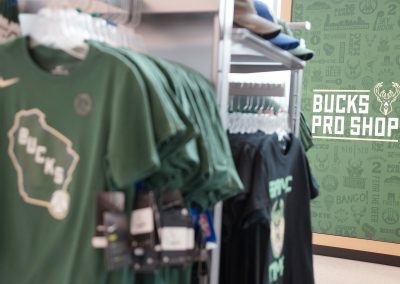 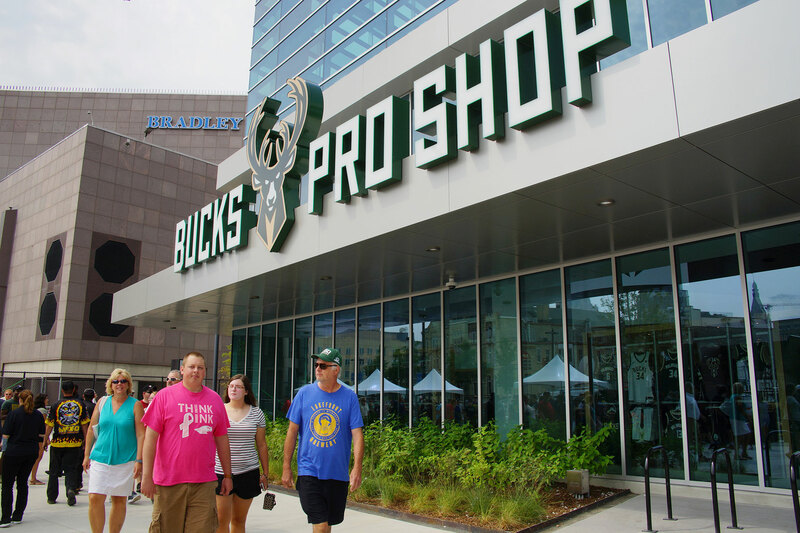 The Bucks Pro Shop locations inside Fiserv Forum was also open. 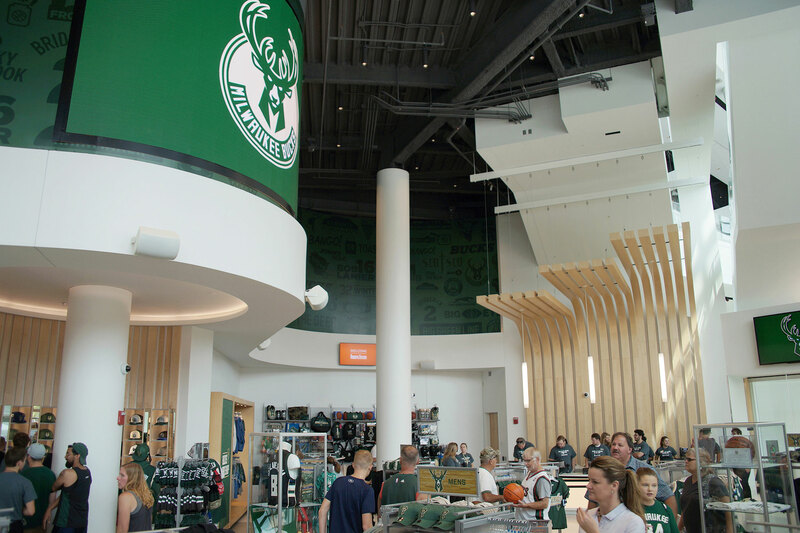 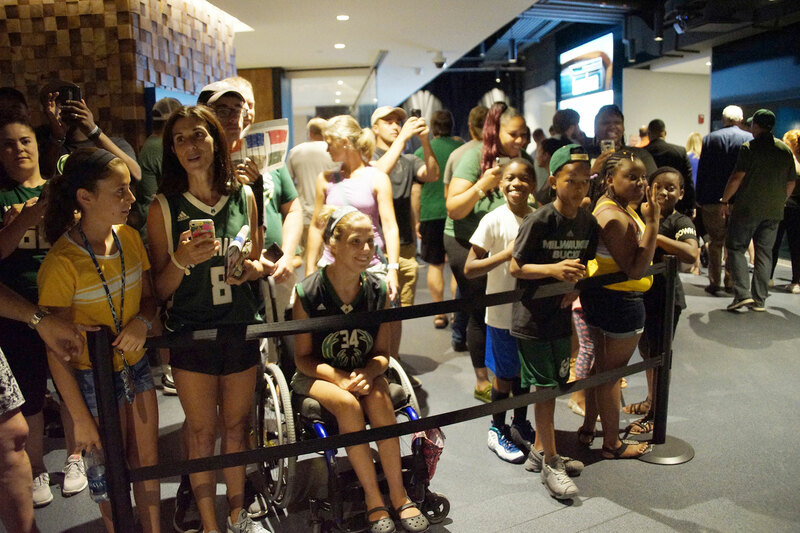 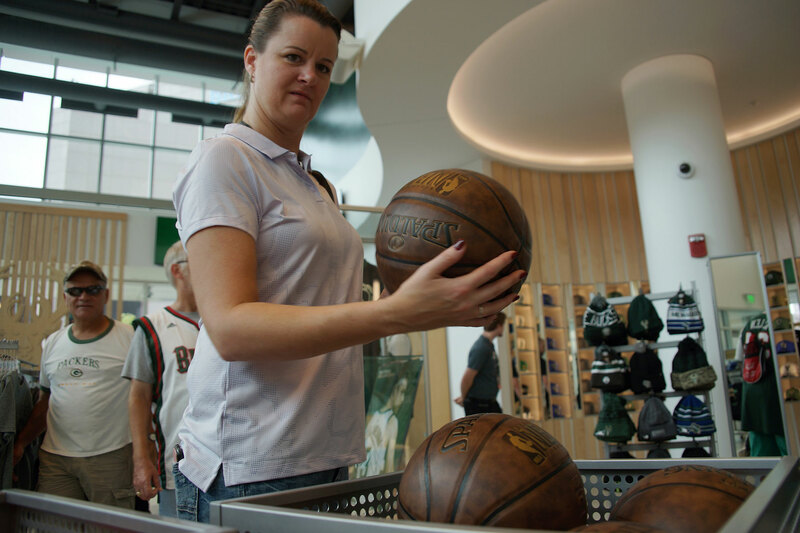 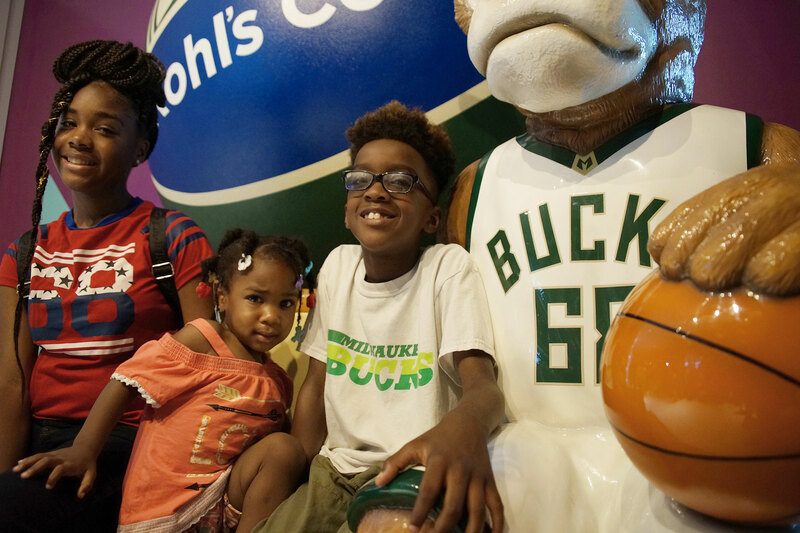 BMO Harris Bank card holders had the exclusive opportunity to tour the state-of-the-art Bucks locker room. 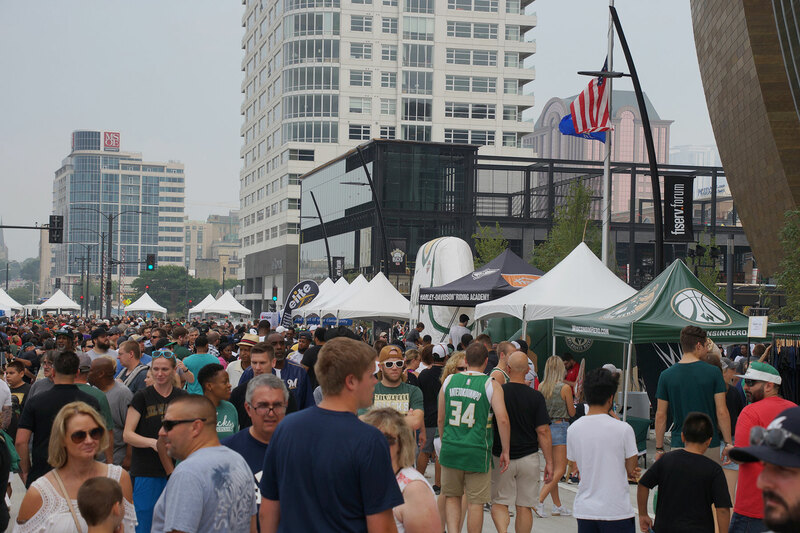 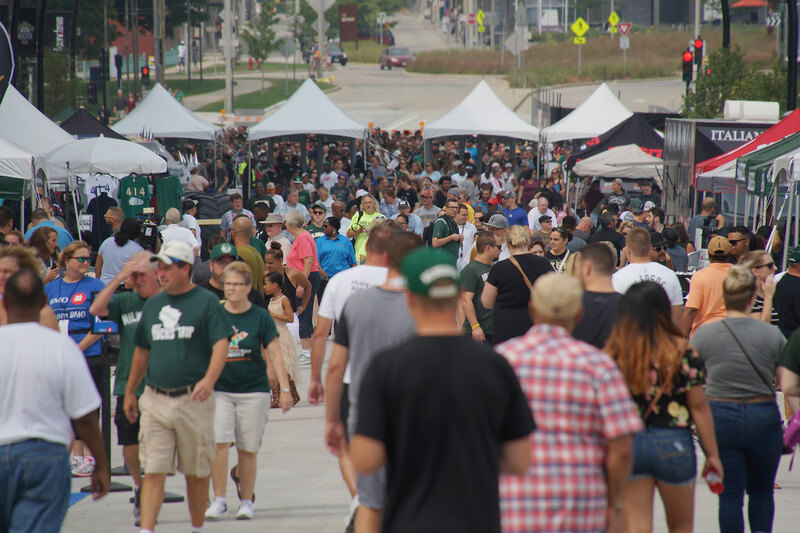 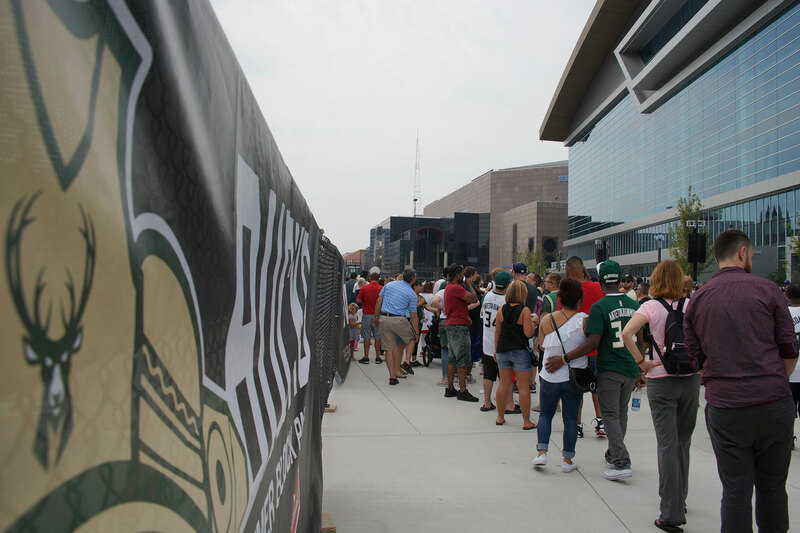 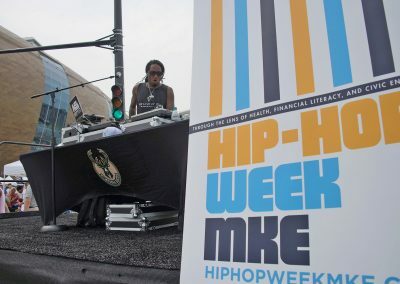 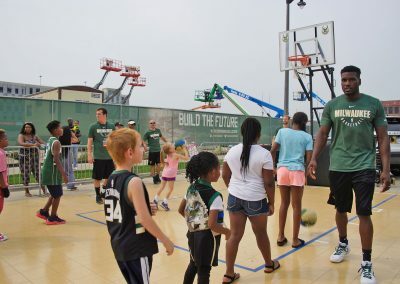 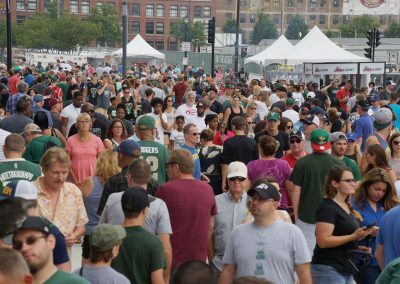 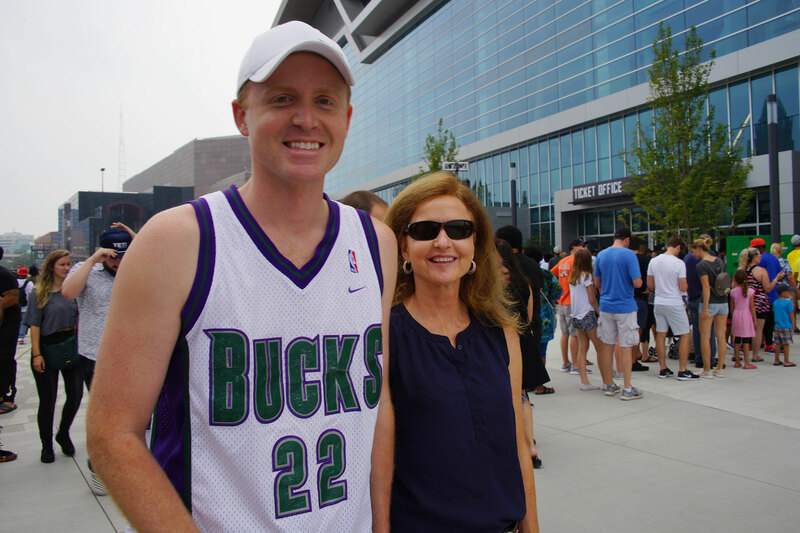 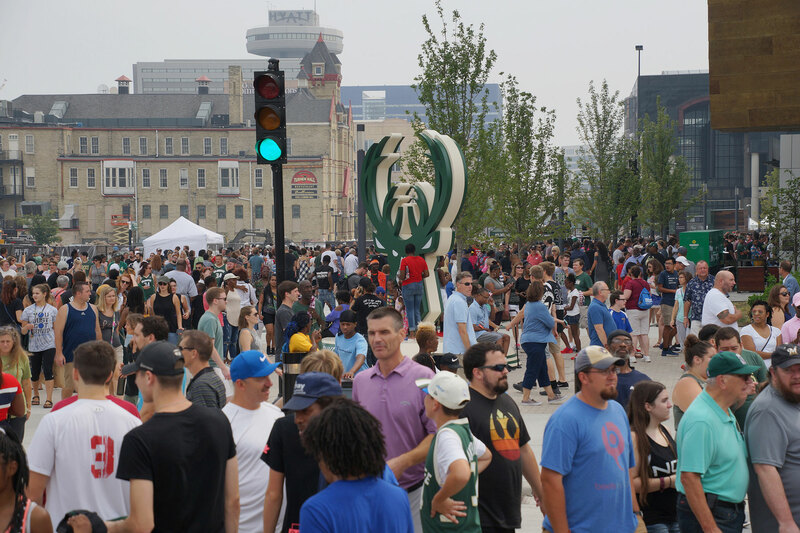 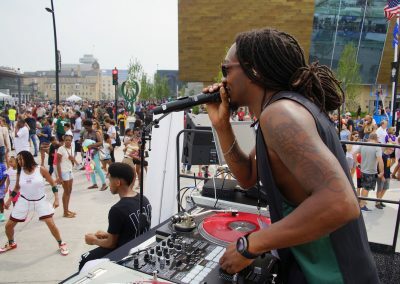 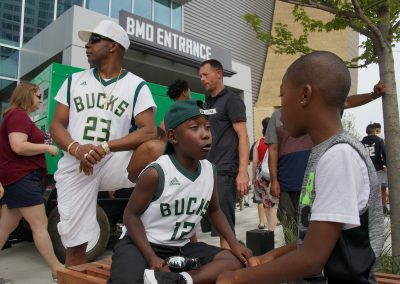 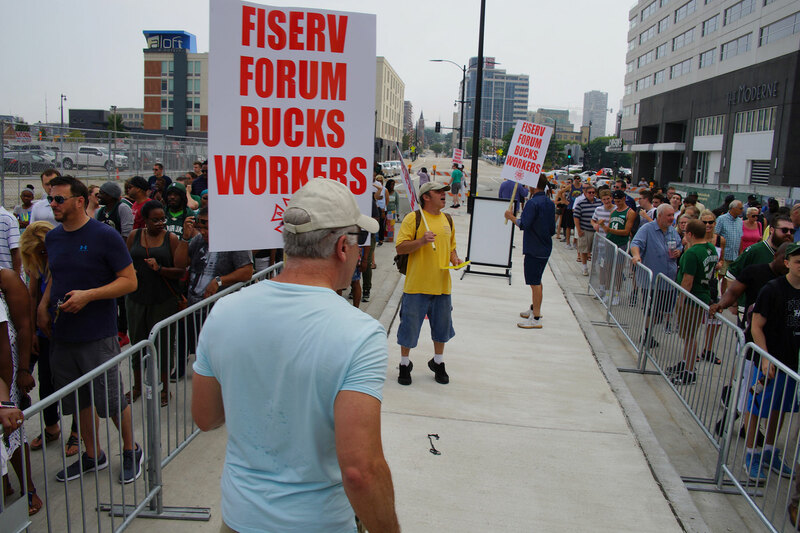 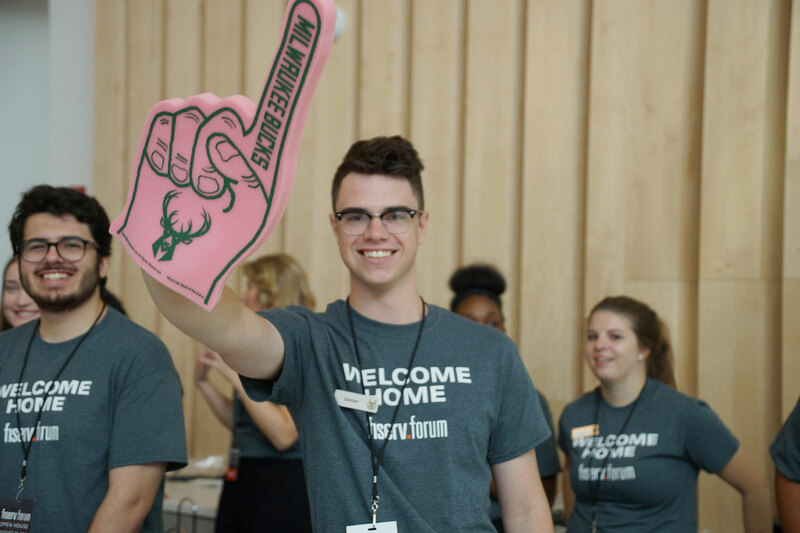 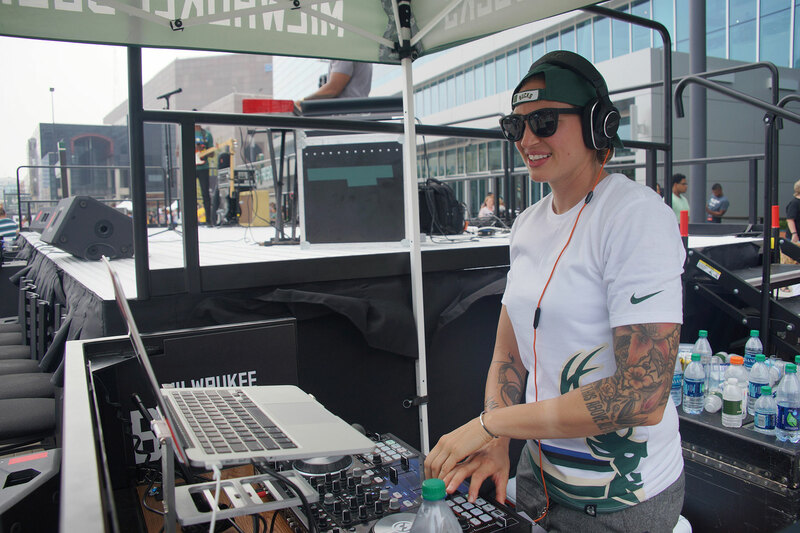 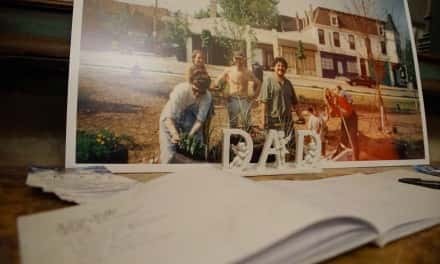 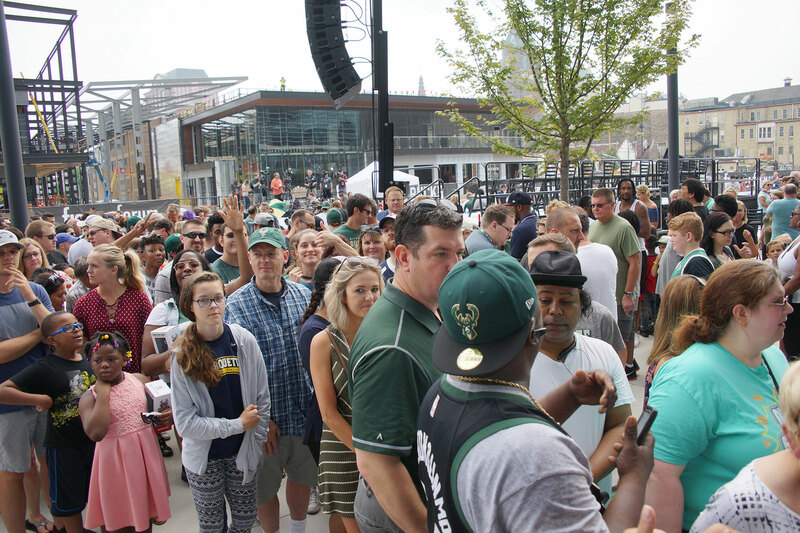 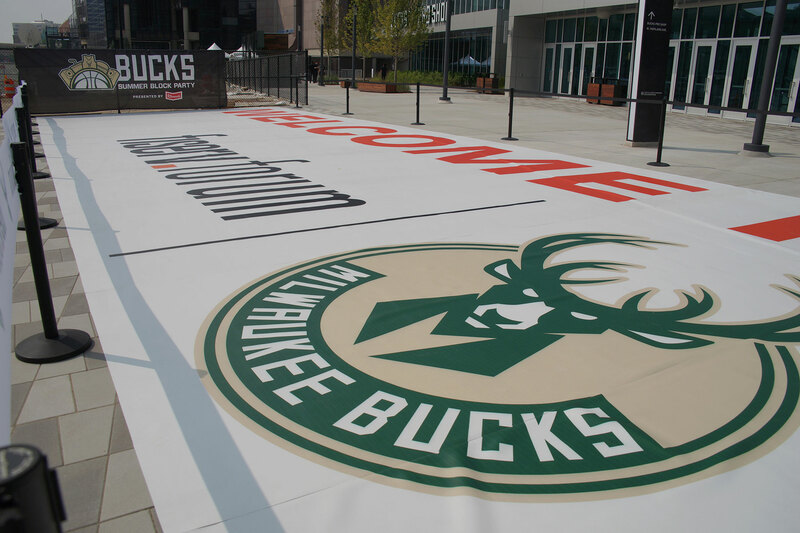 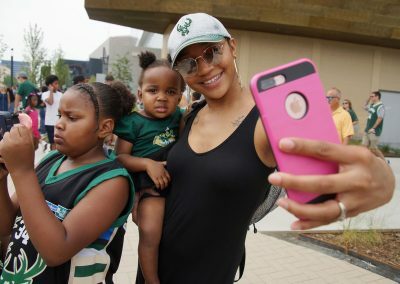 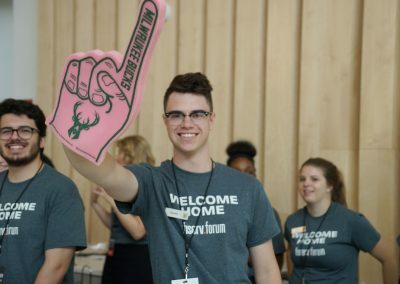 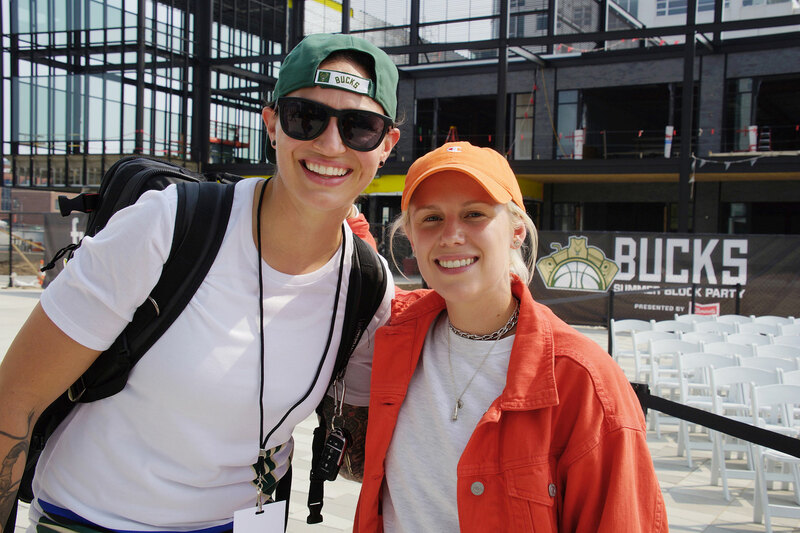 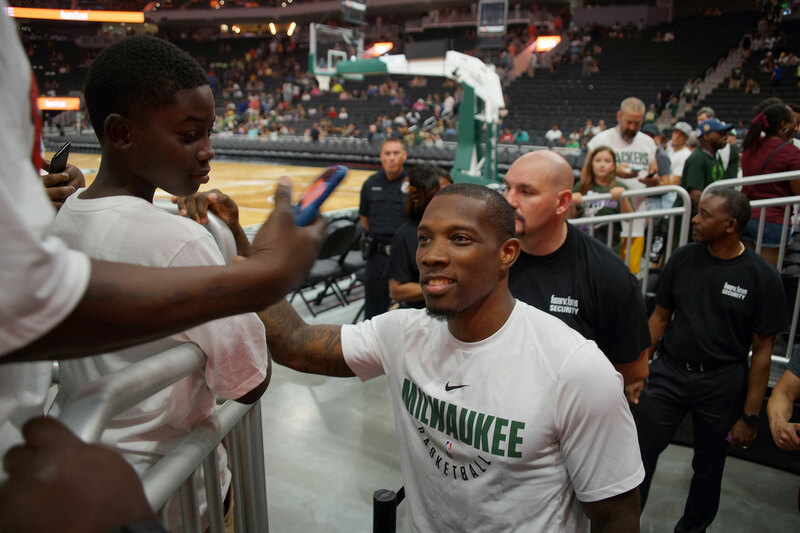 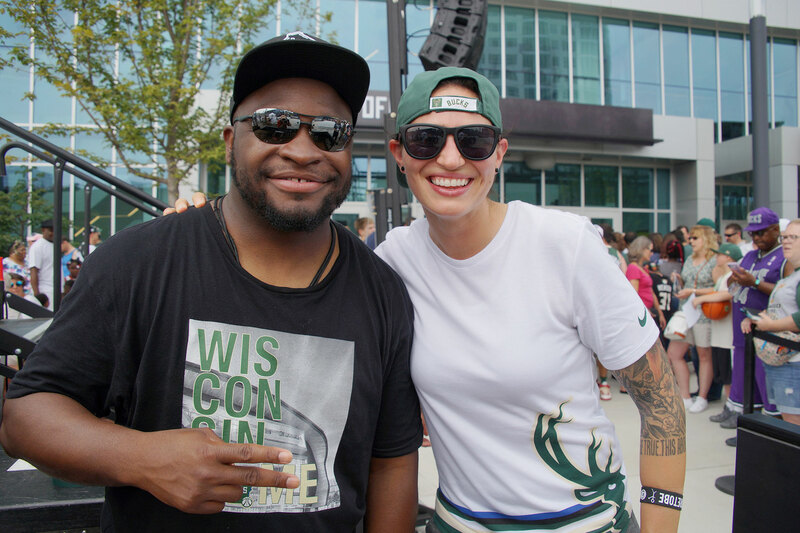 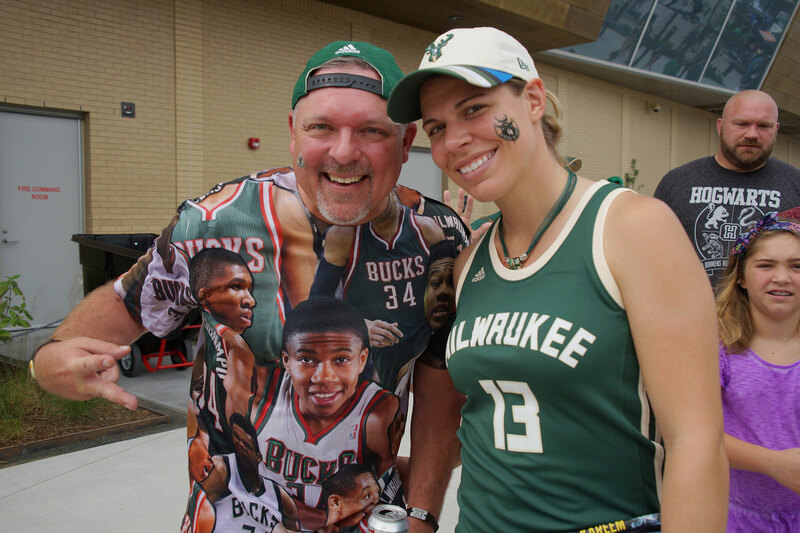 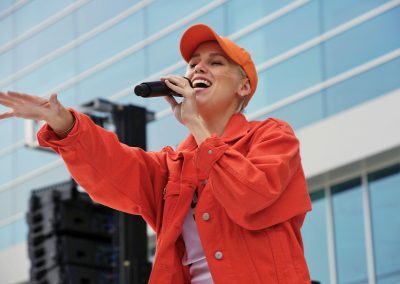 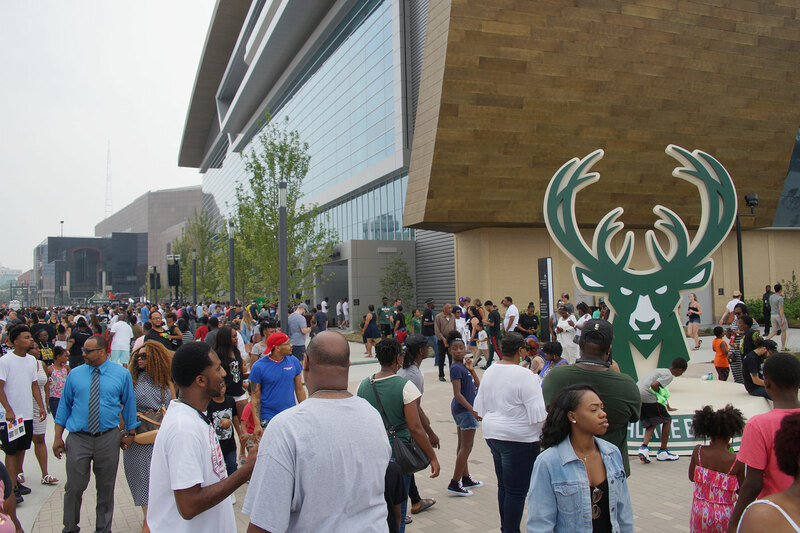 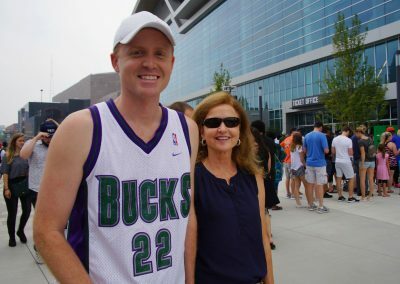 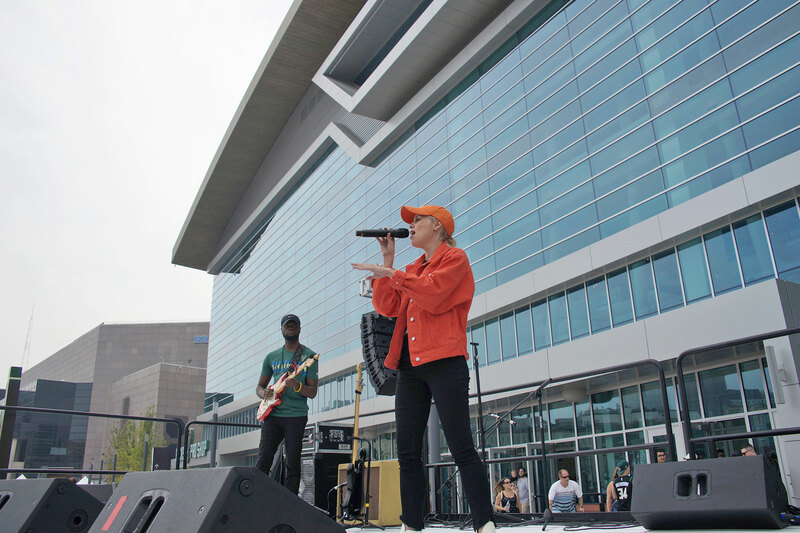 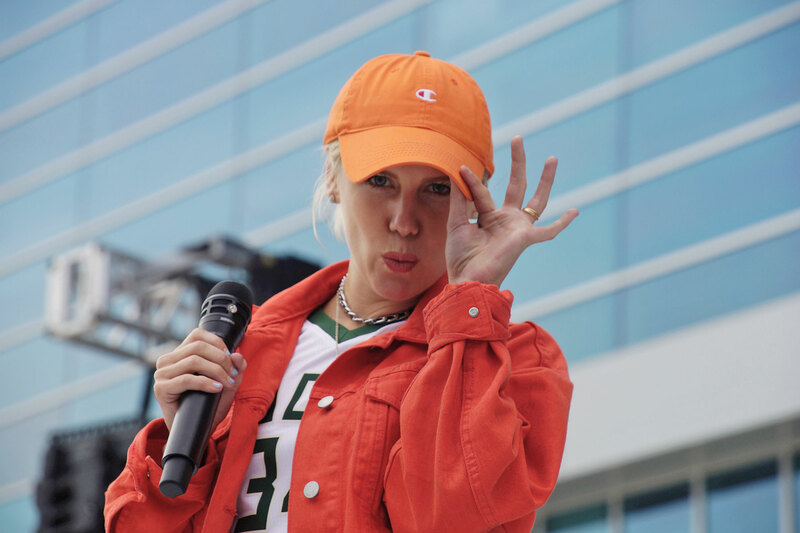 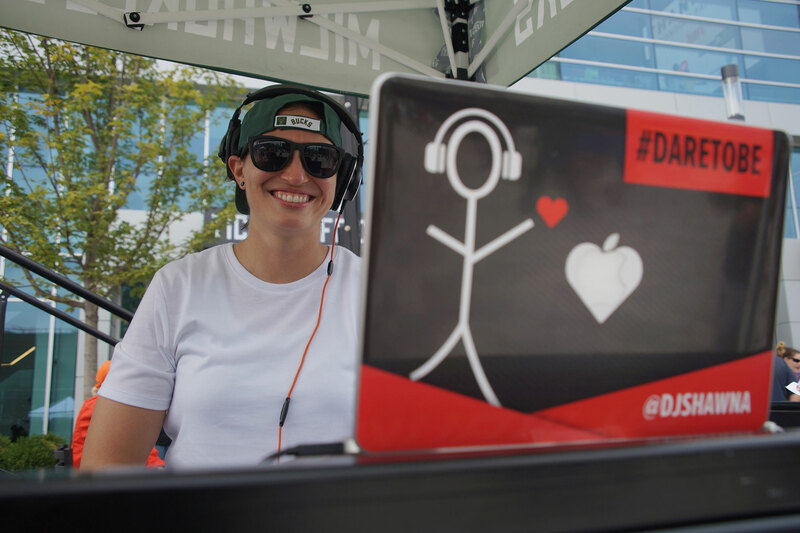 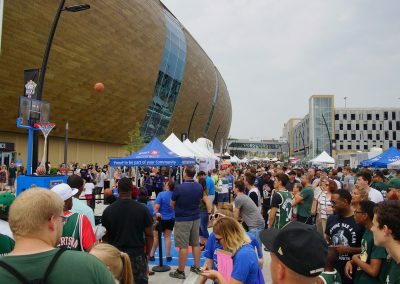 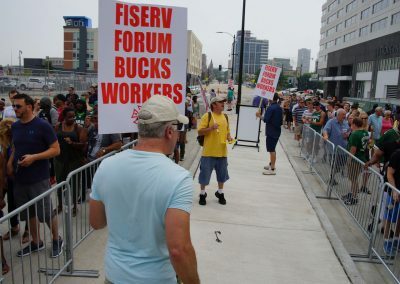 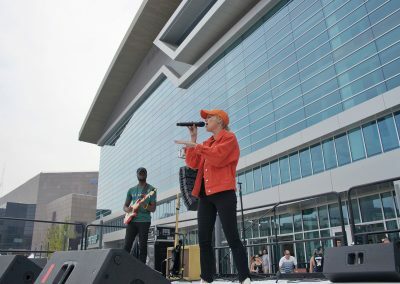 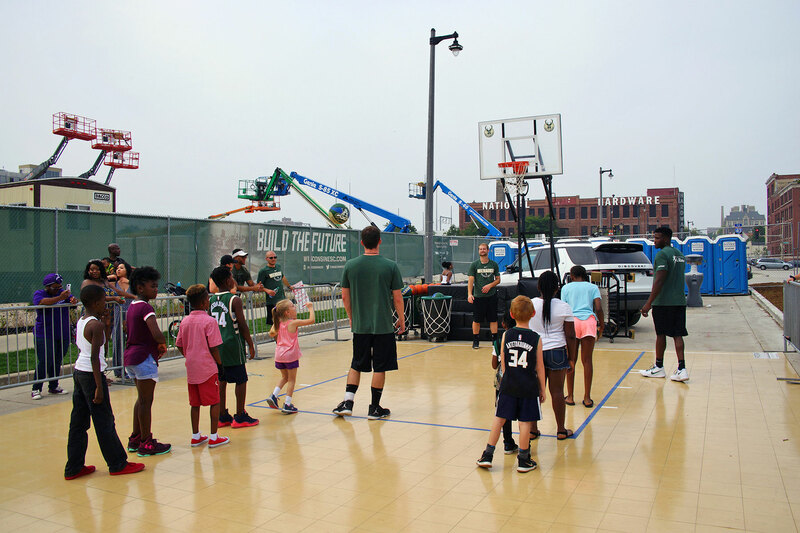 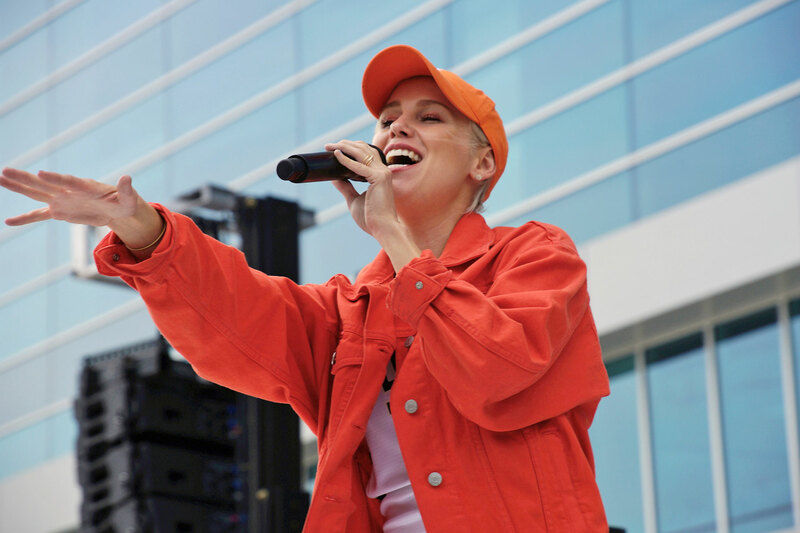 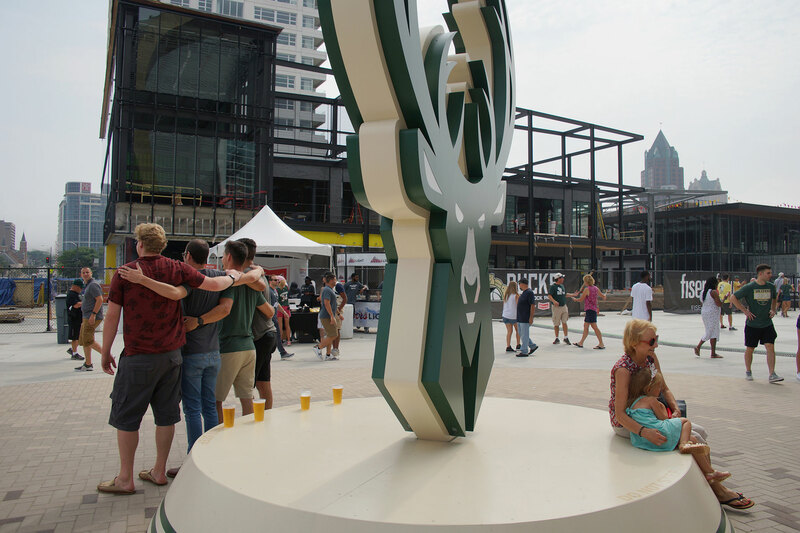 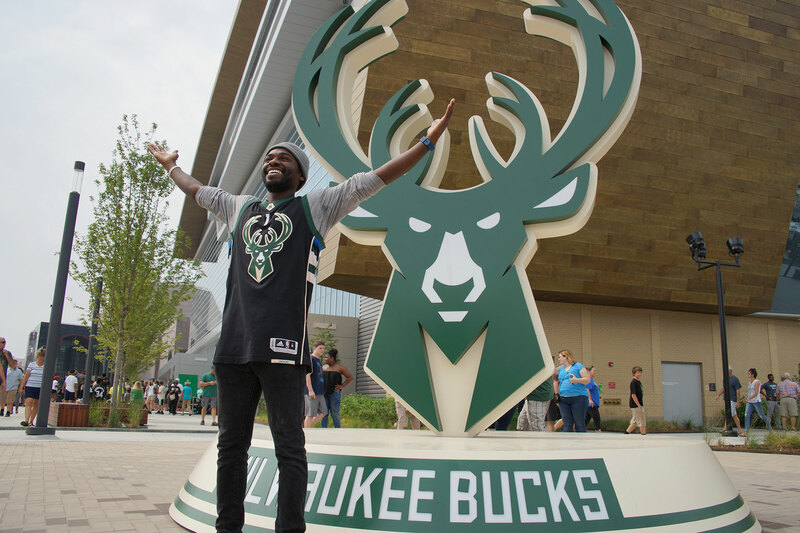 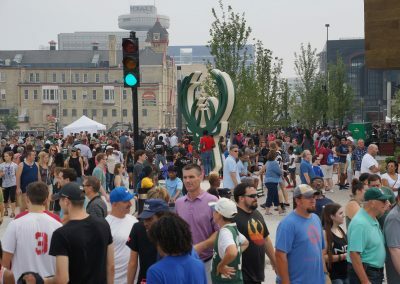 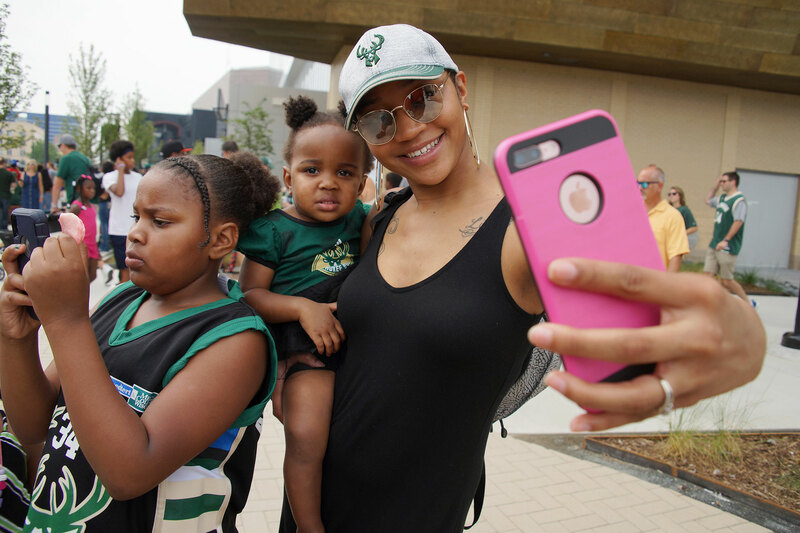 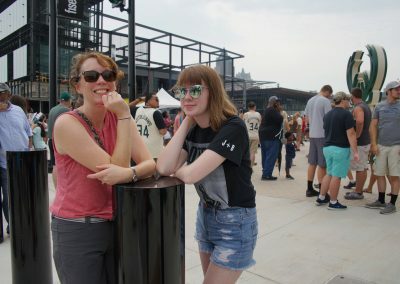 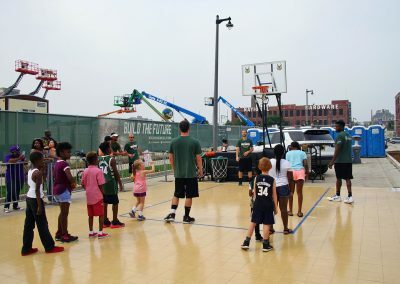 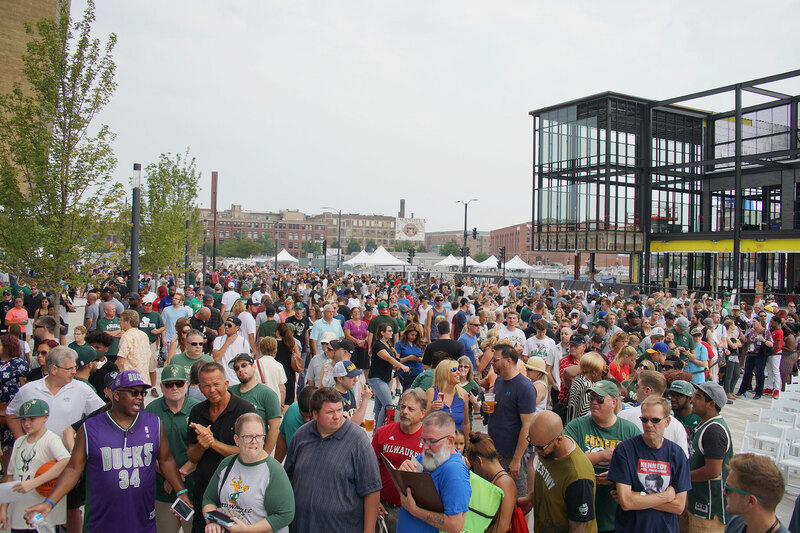 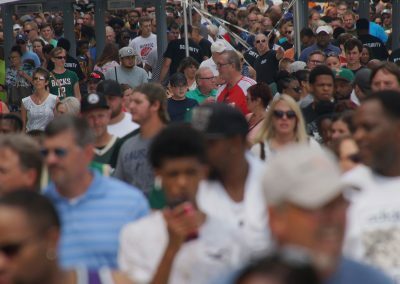 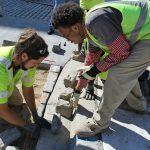 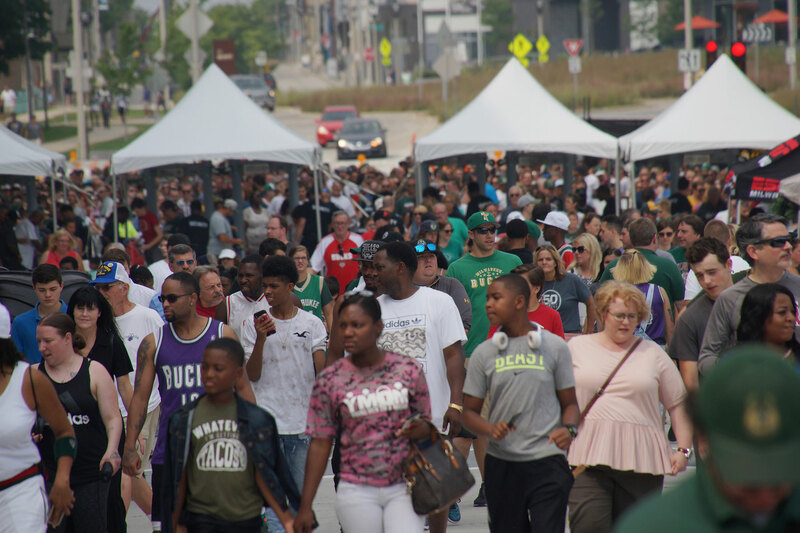 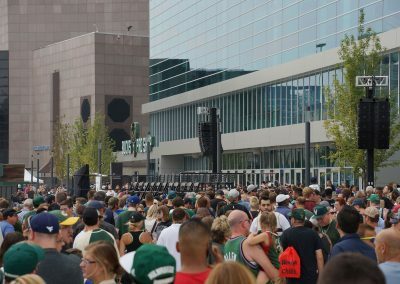 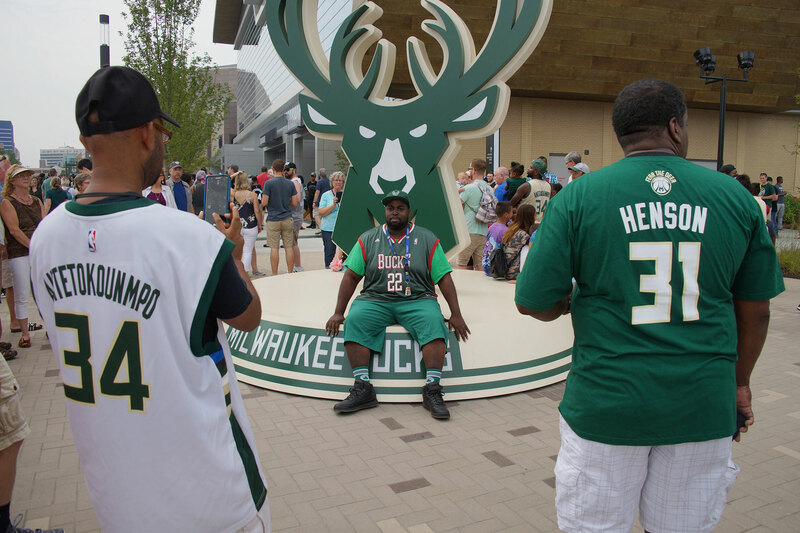 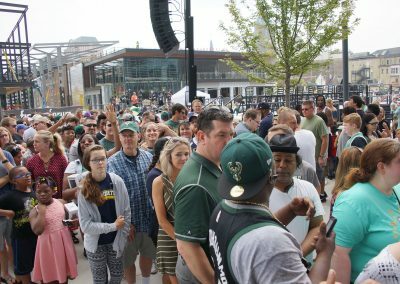 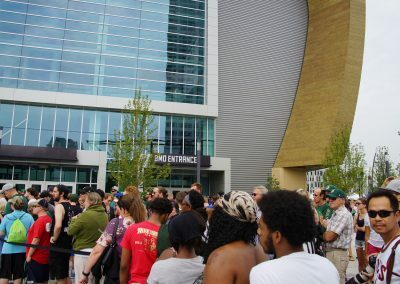 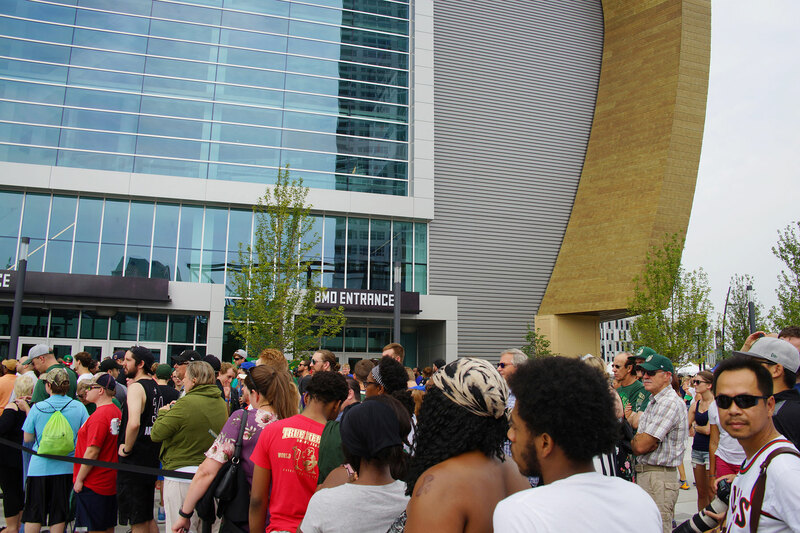 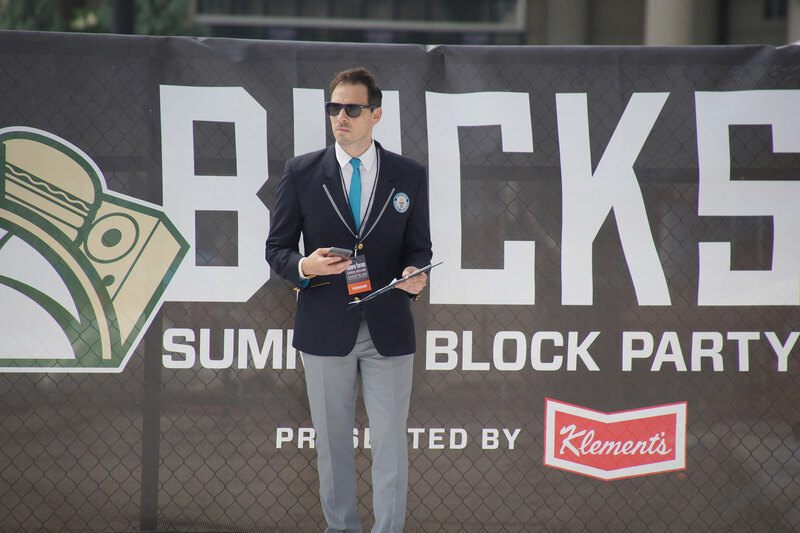 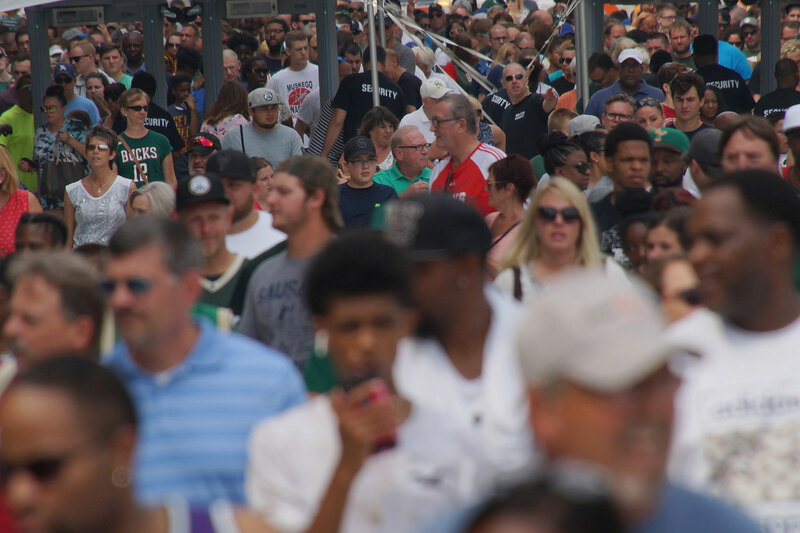 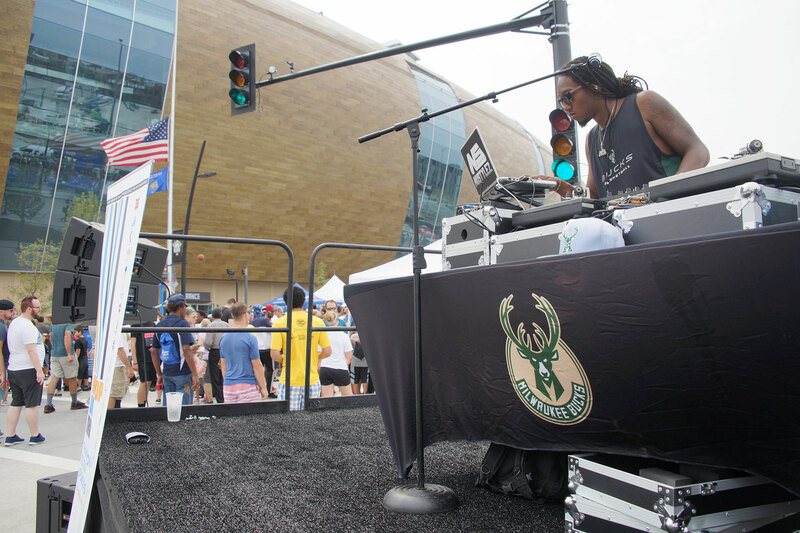 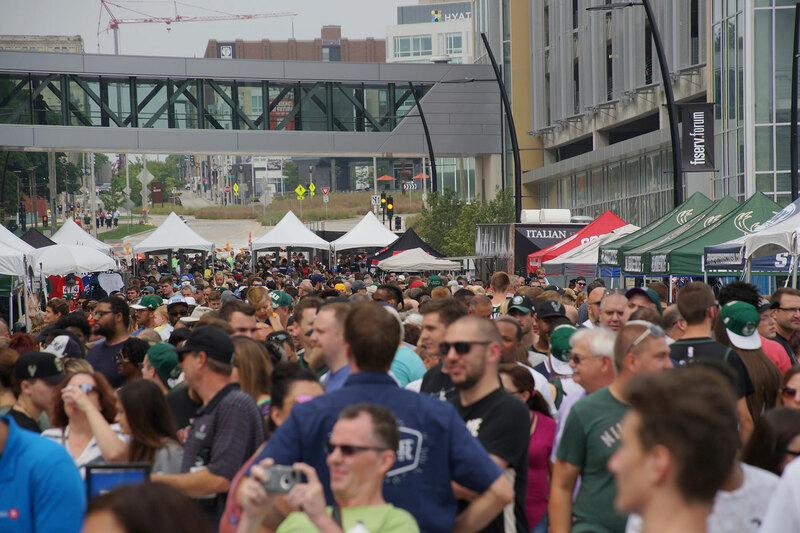 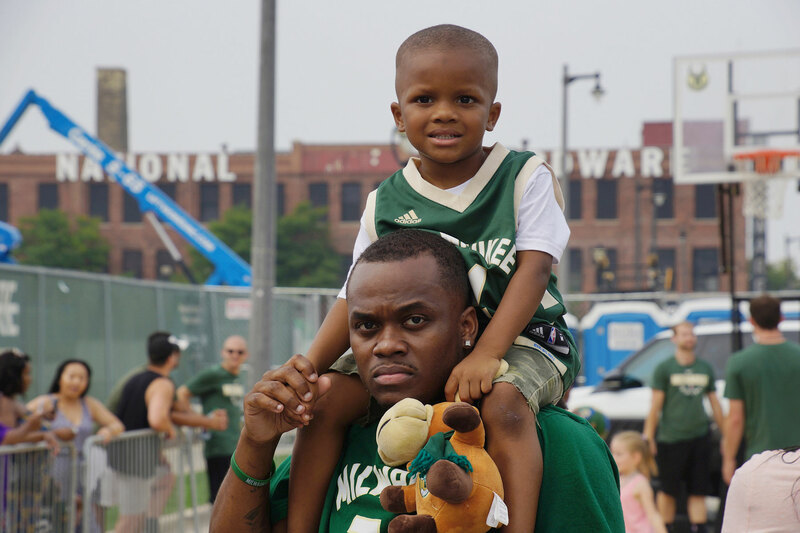 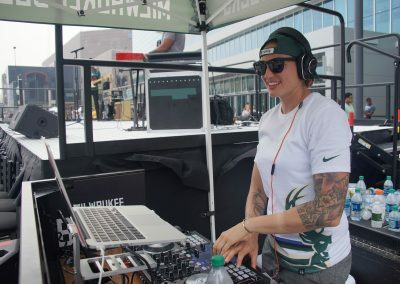 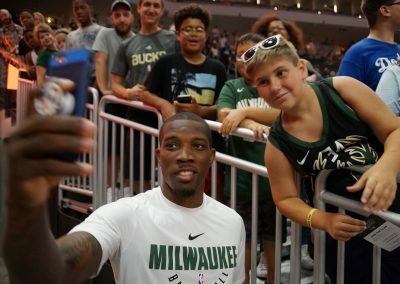 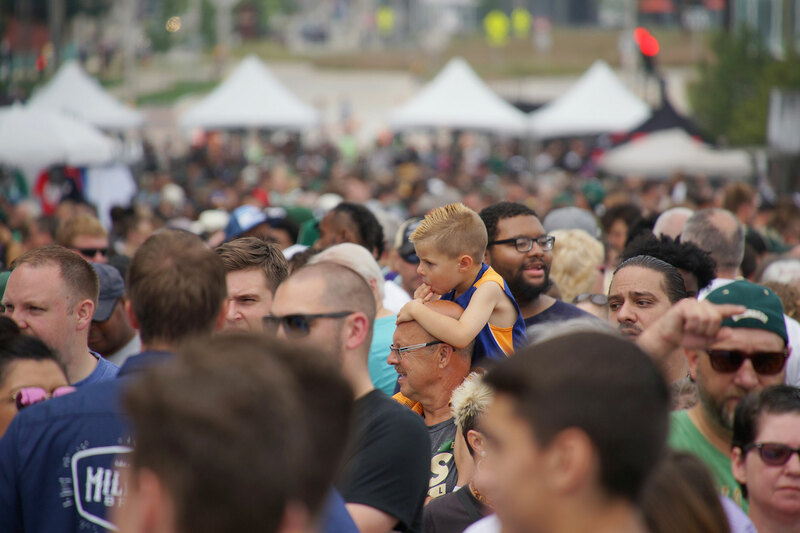 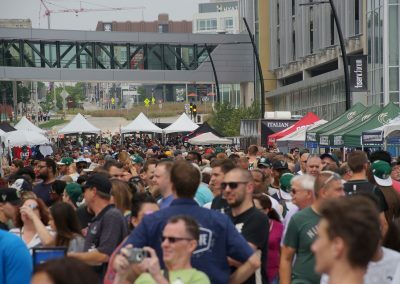 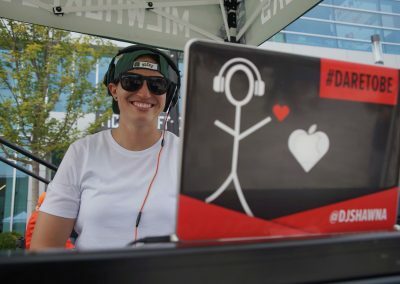 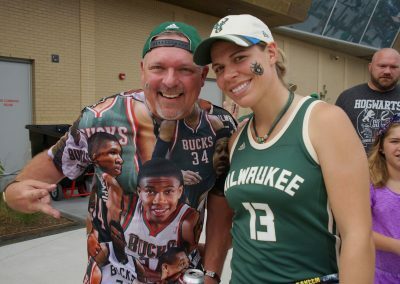 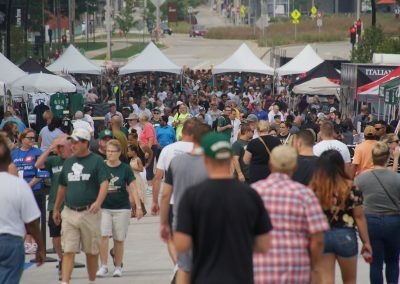 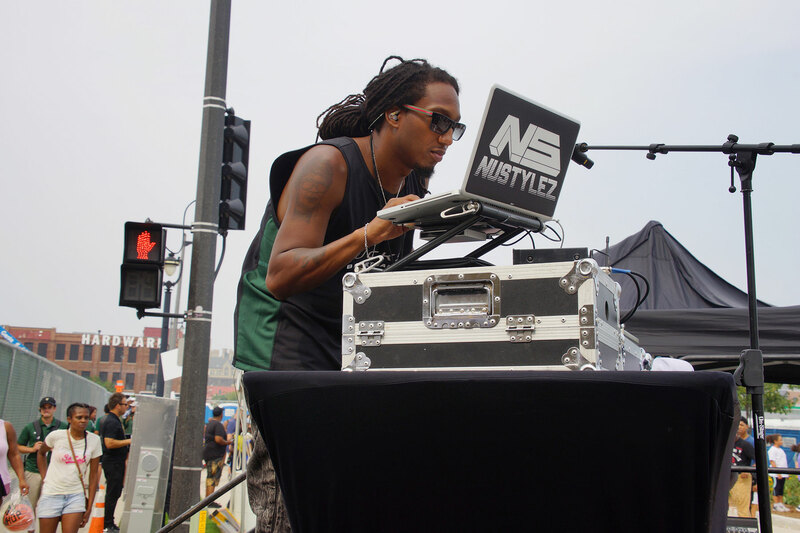 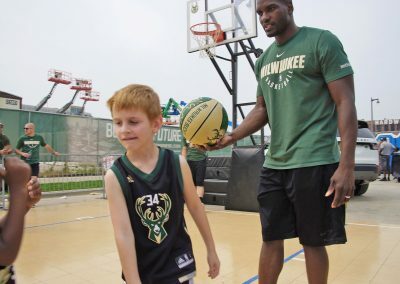 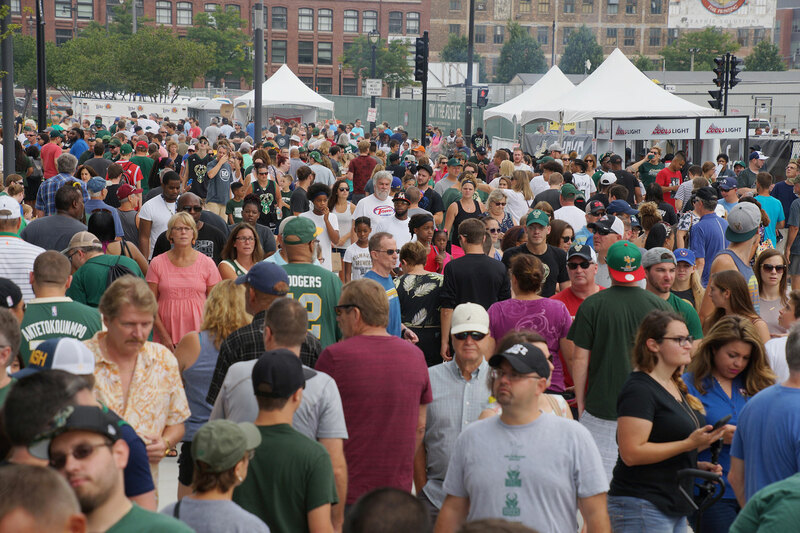 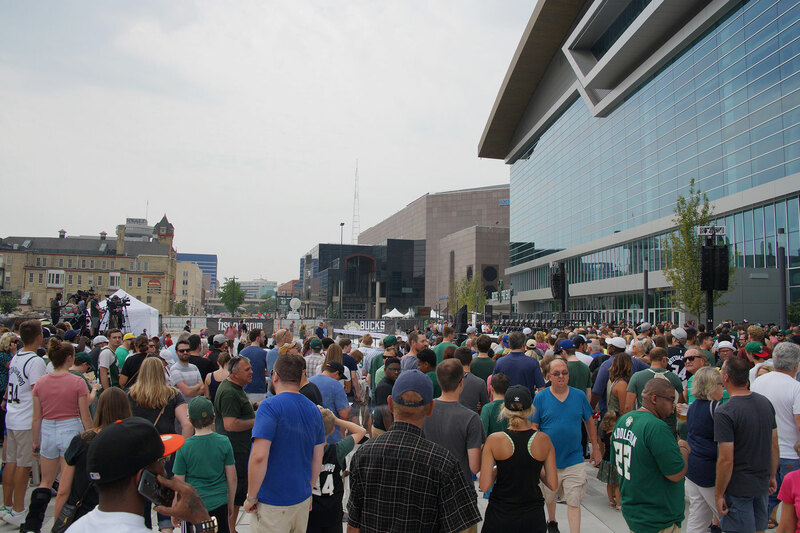 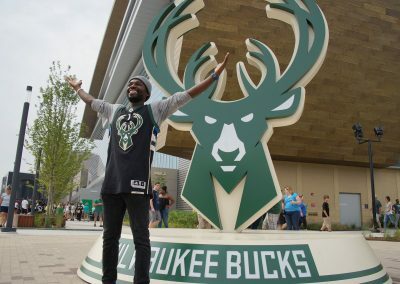 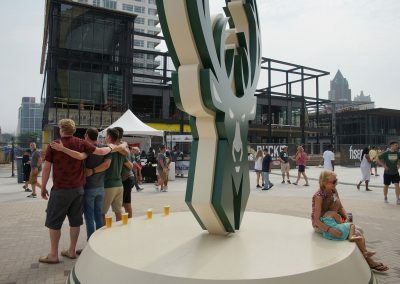 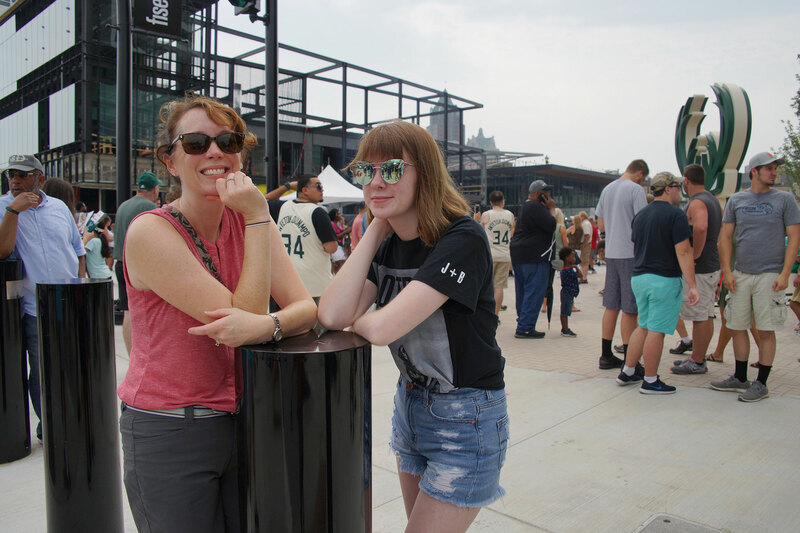 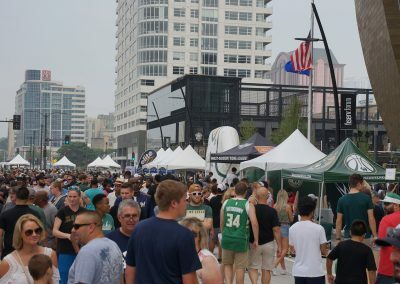 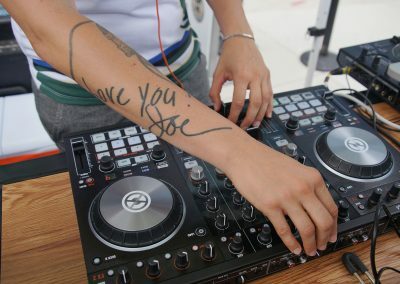 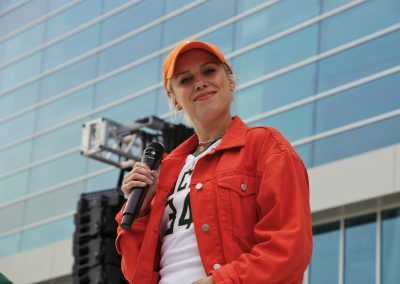 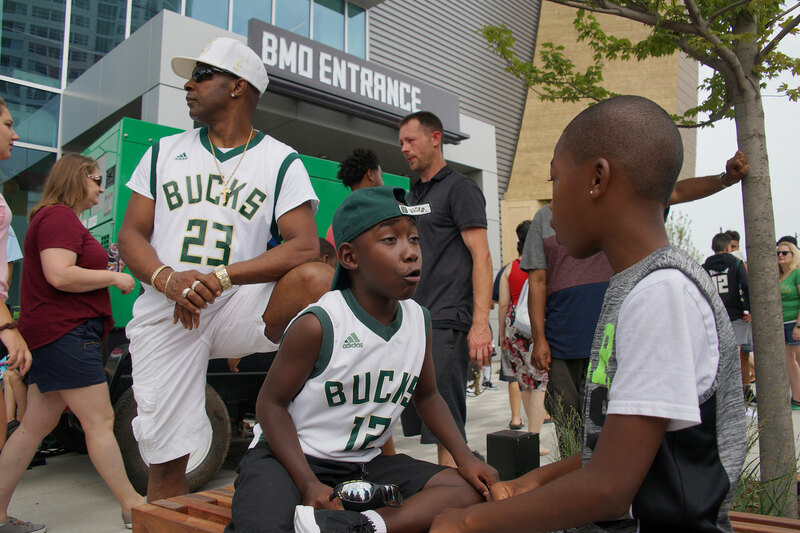 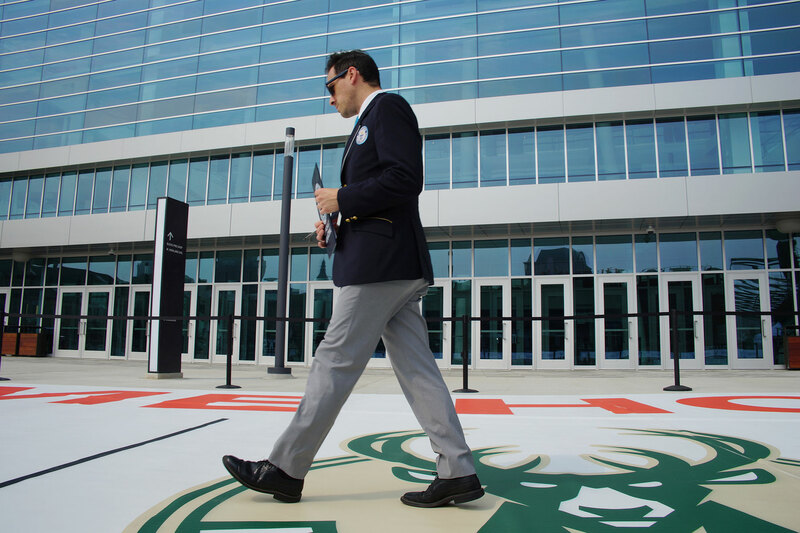 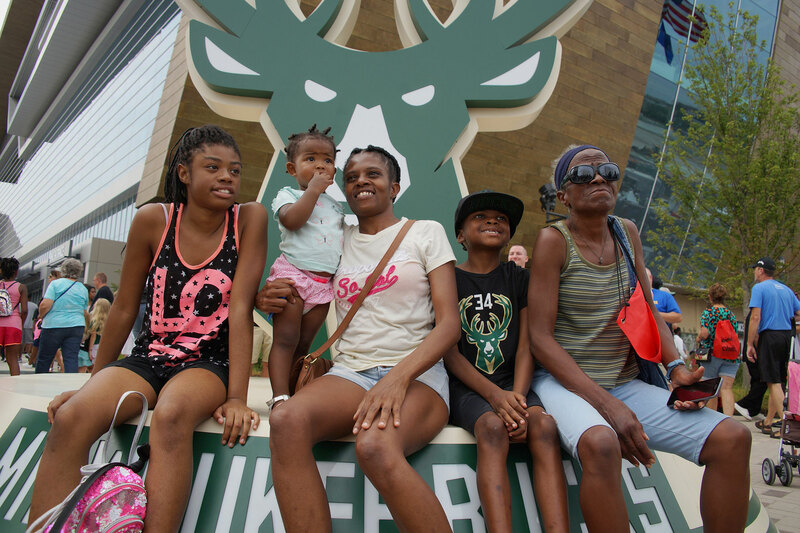 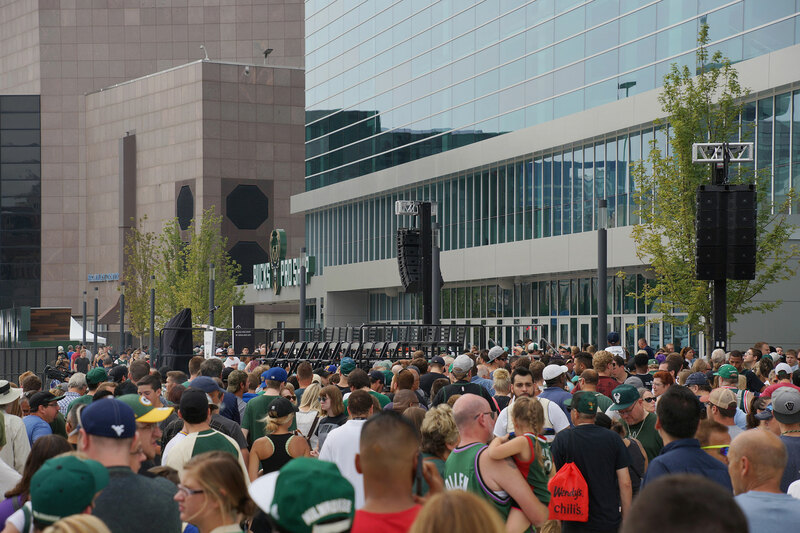 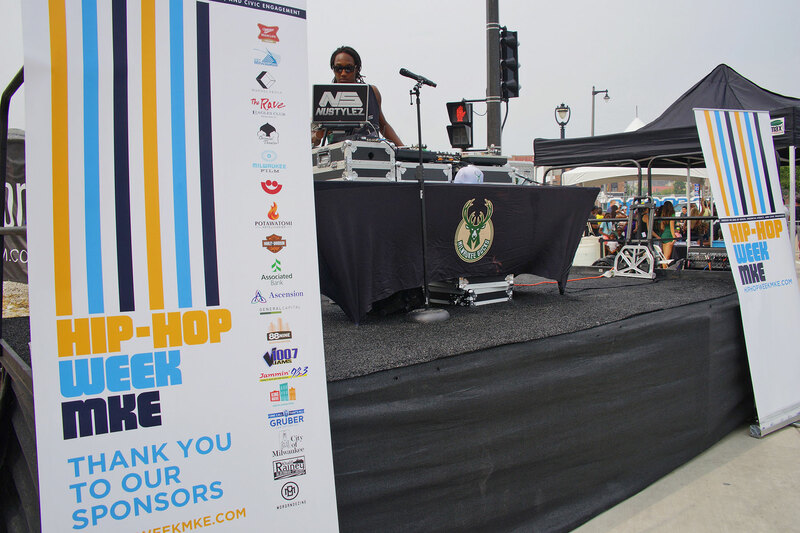 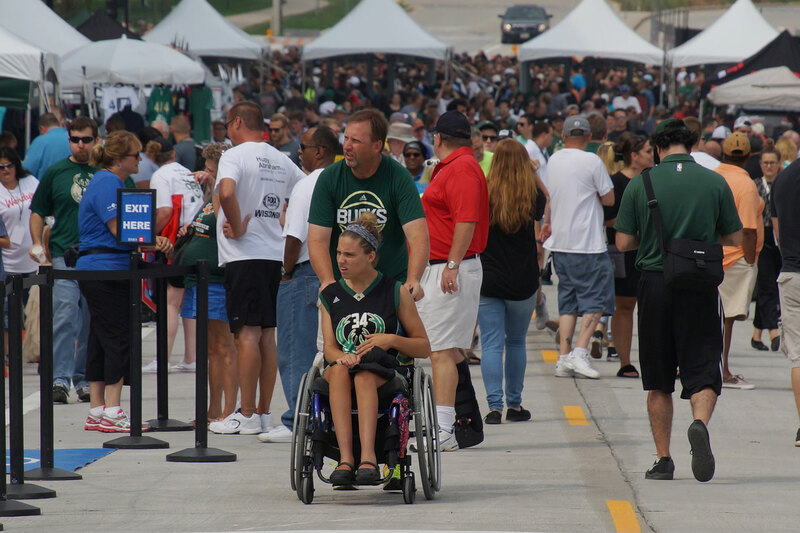 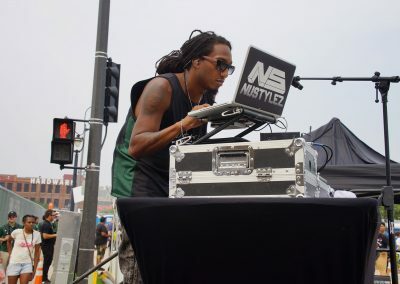 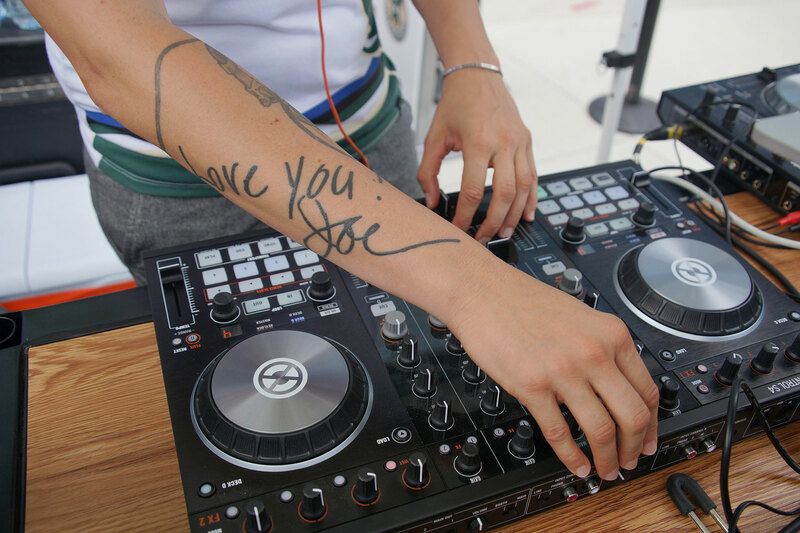 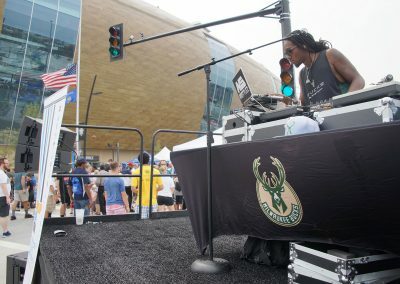 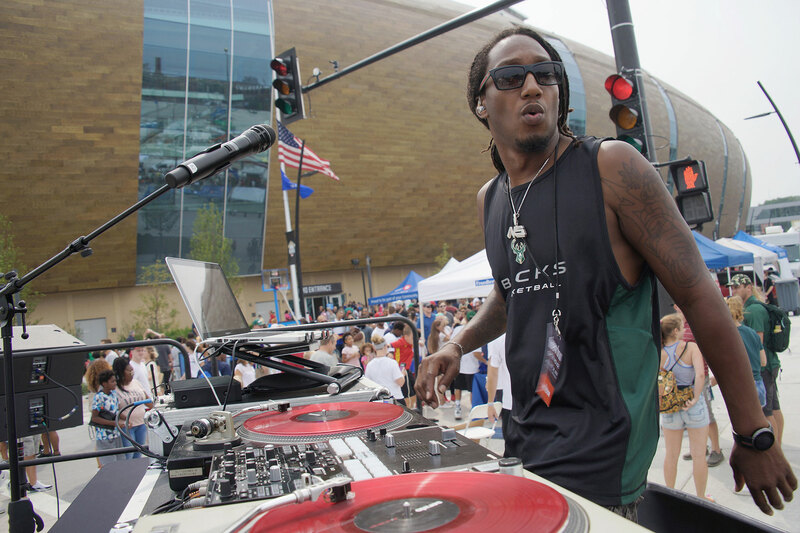 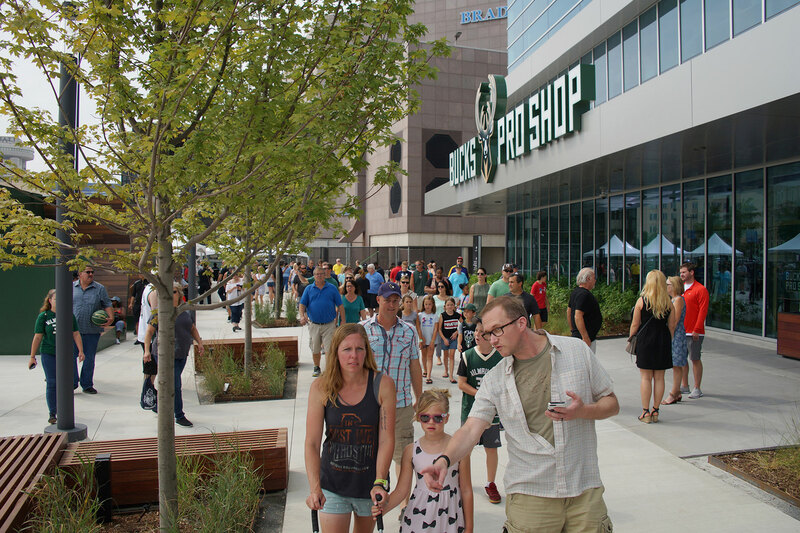 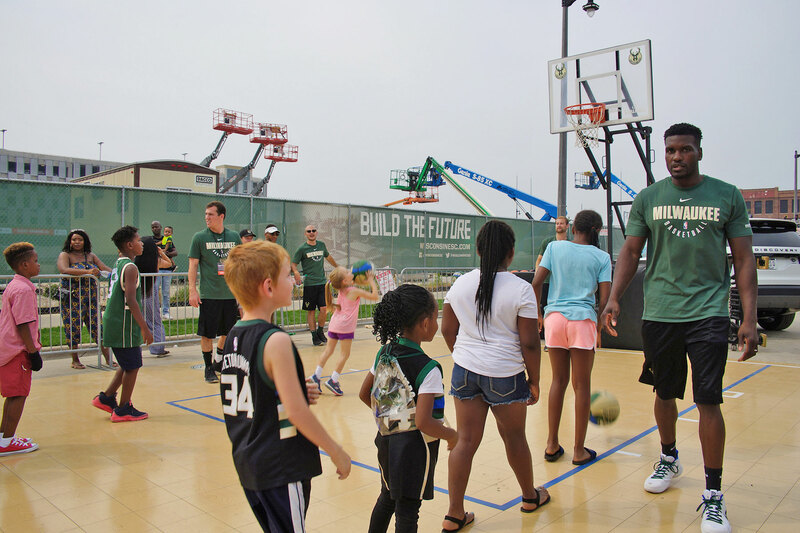 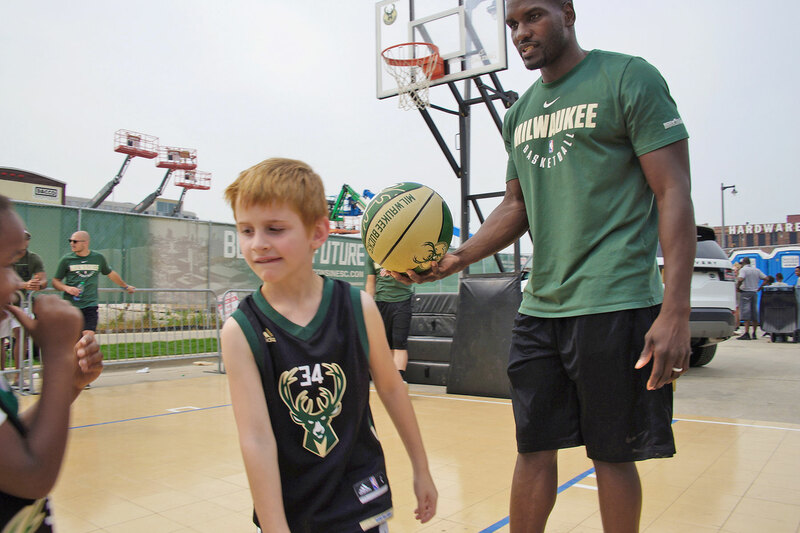 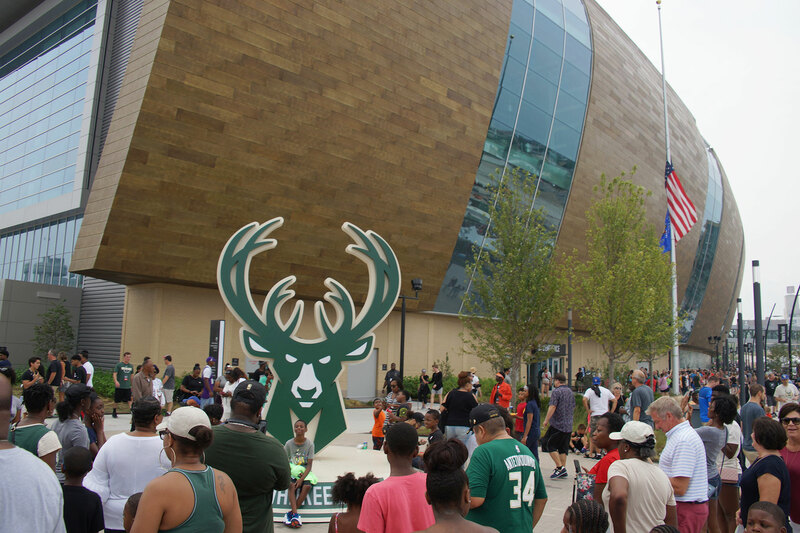 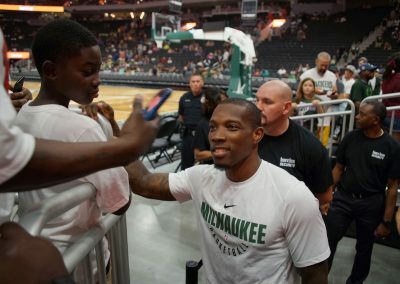 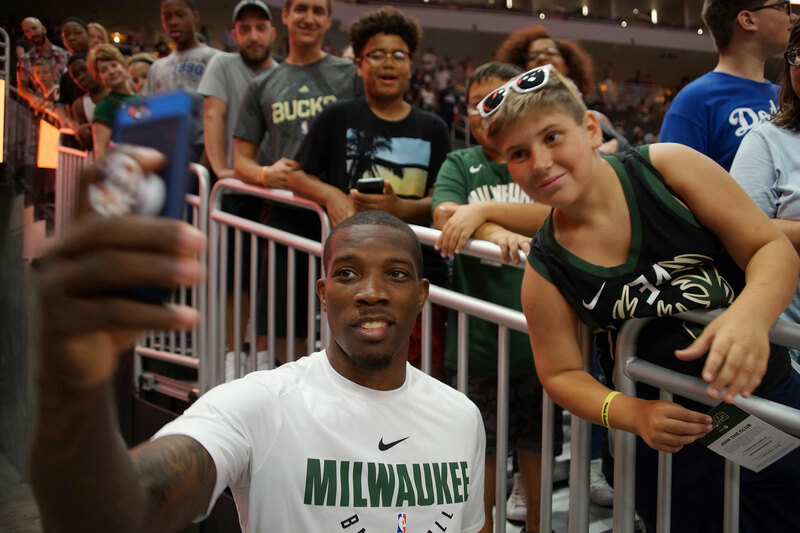 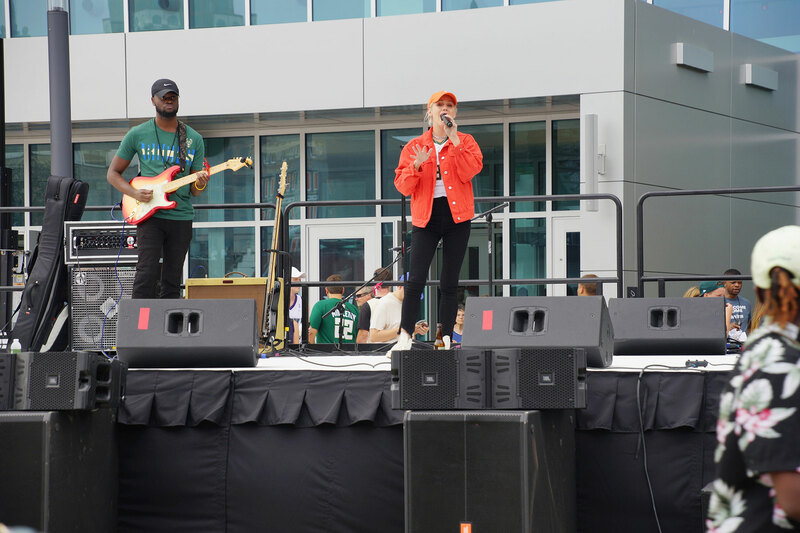 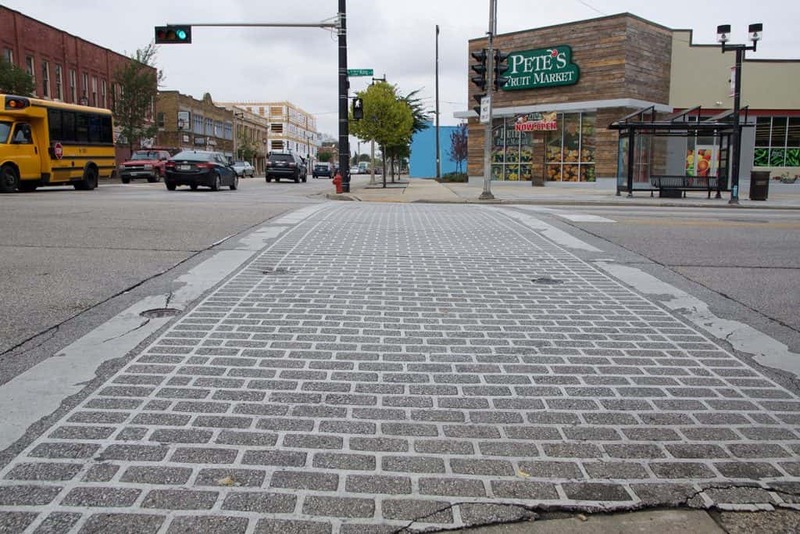 In celebration of the opening of Fiserv Forum, the Fourth Annual Bucks Summer Block Party took place on Juneau Avenue between Vel R. Phillips Avenue and 5th Street. 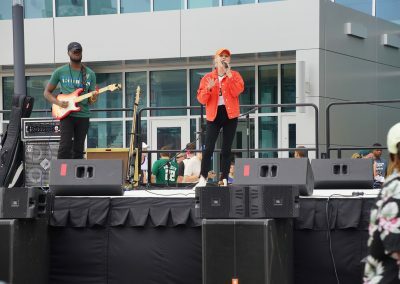 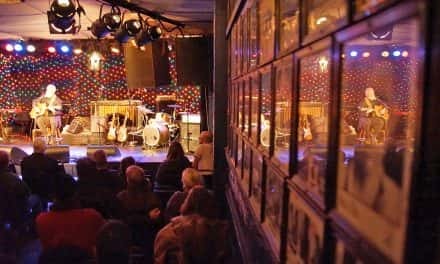 There was live, local music including Grace Weber, Wait for Morning, Shonn Hinton, and Shotgun. 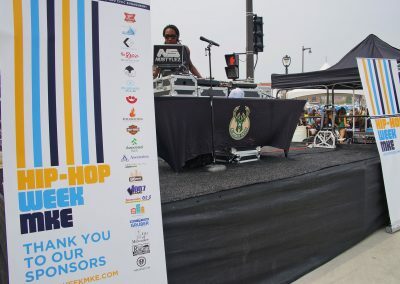 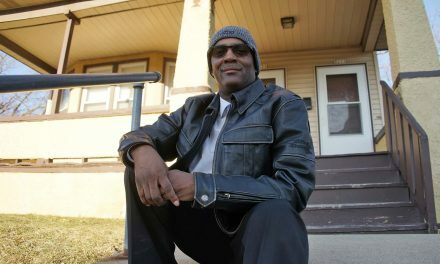 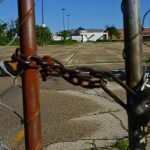 National hip-hop icon Skyzoo, a lineup of local hip-hop performers, and a separate stage featuring local DJs also performed as part of Milwaukee’s first Hip-Hop Week. 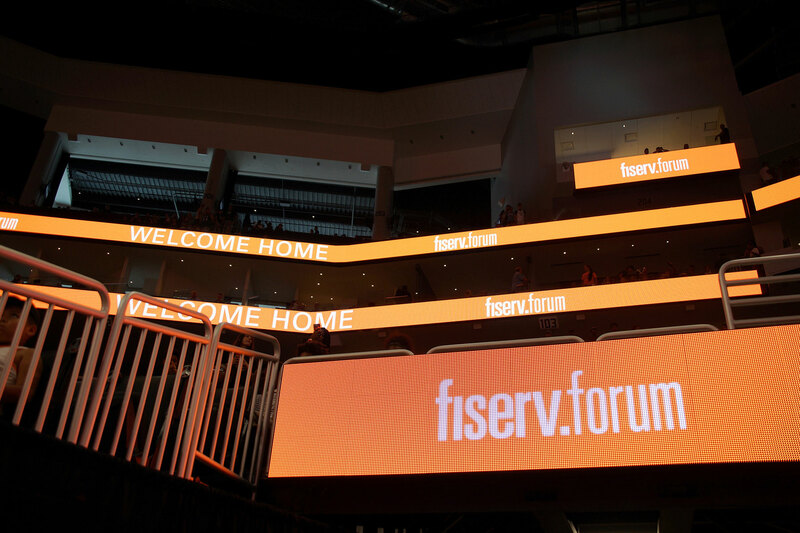 Fiserv Forum will host its first-ever show on September 4, when global superstar rock band The KiIIers perform the Grand Opening concert with Milwaukee natives Violent Femmes.